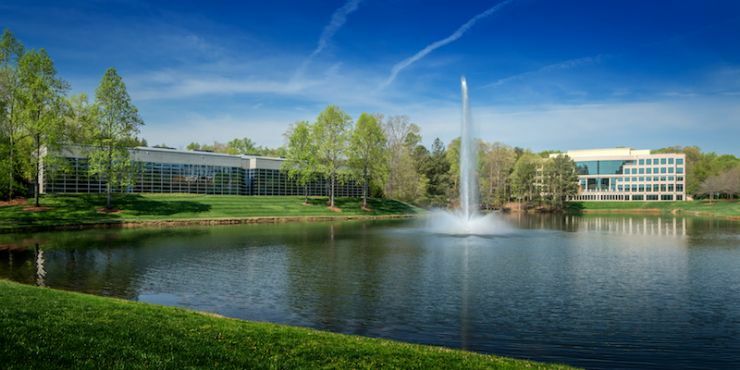 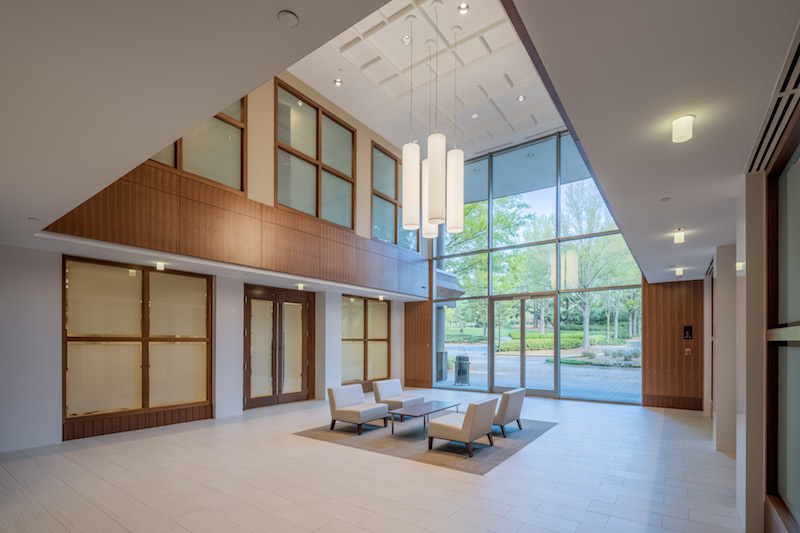 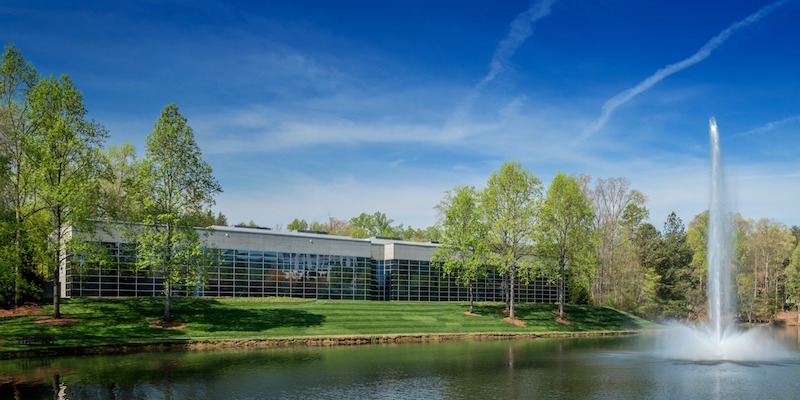 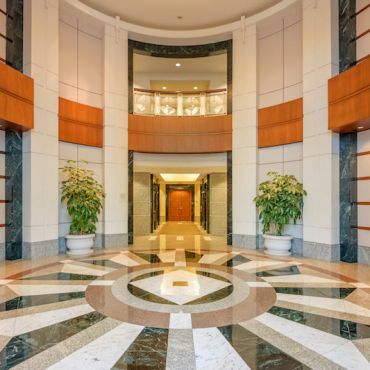 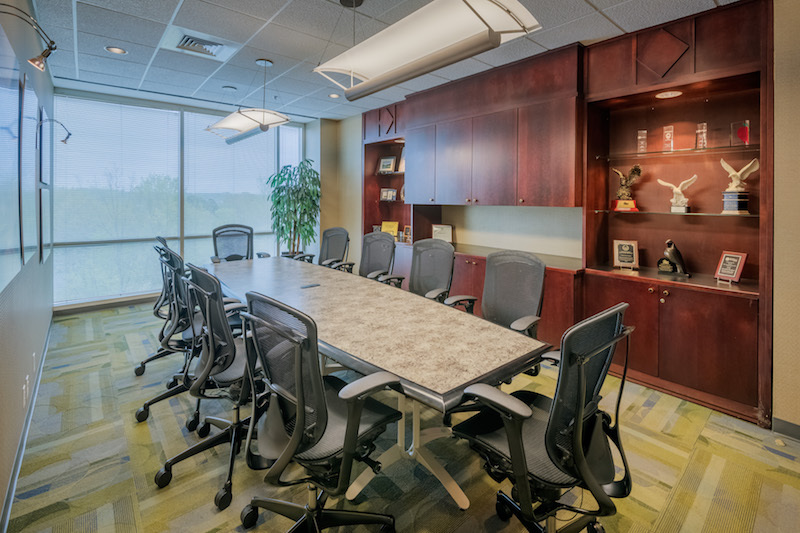 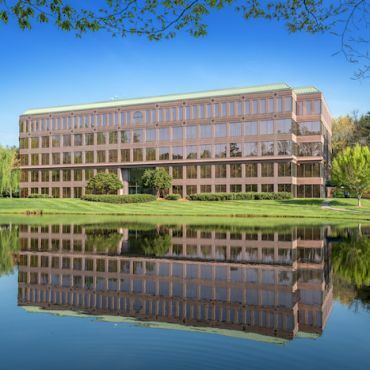 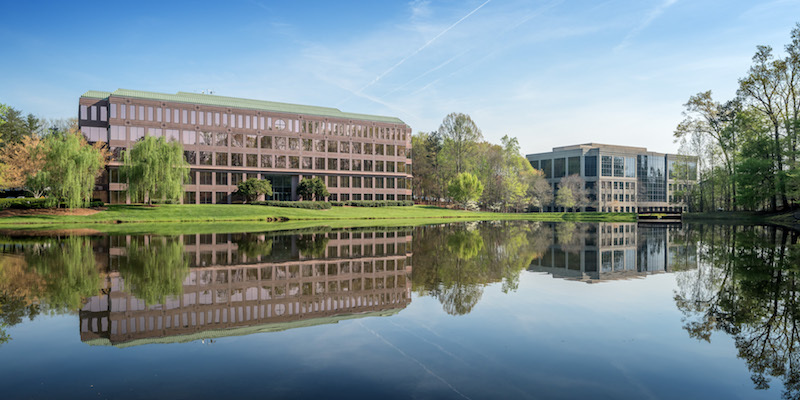 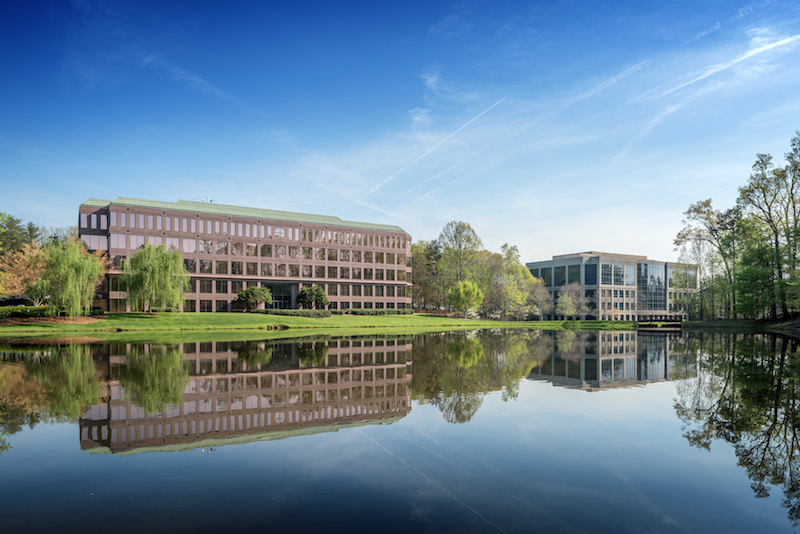 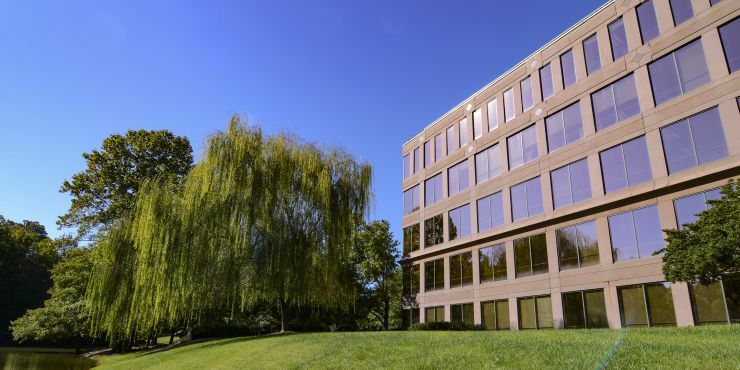 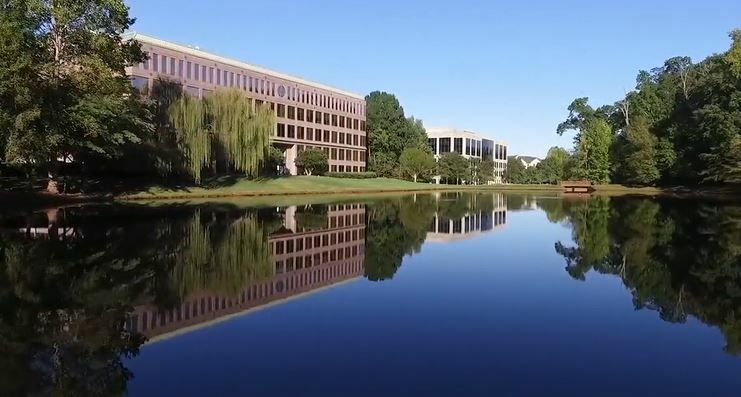 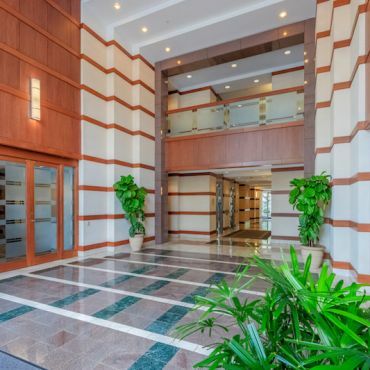 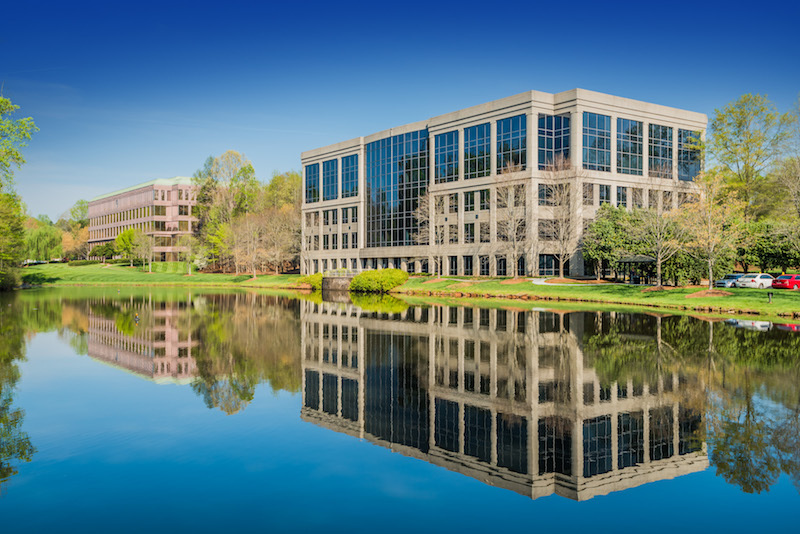 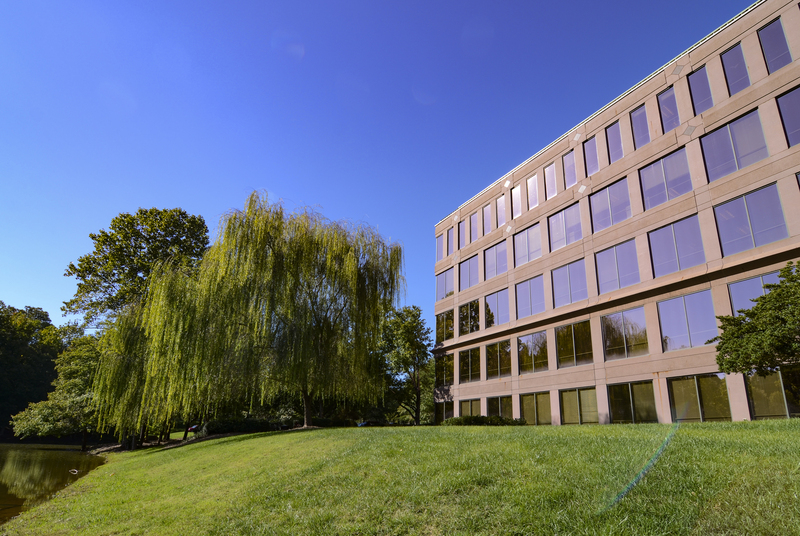 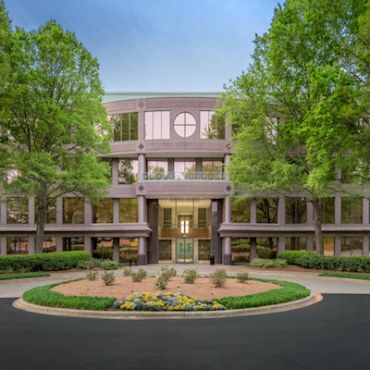 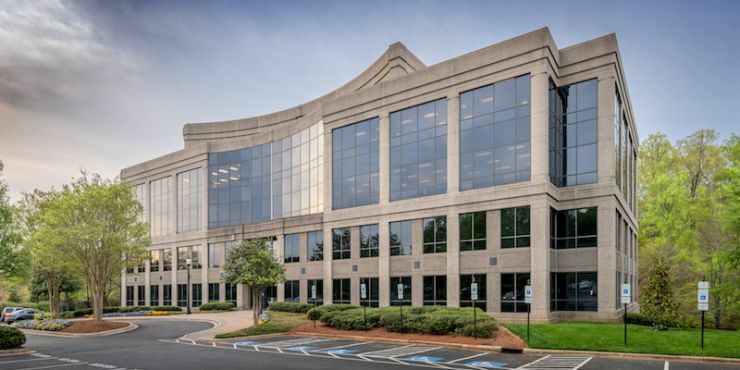 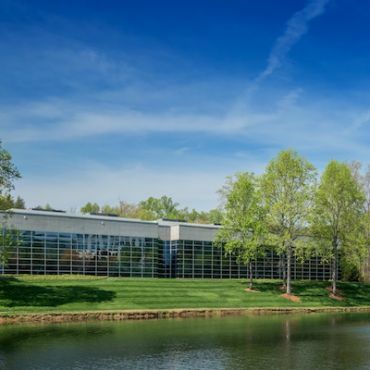 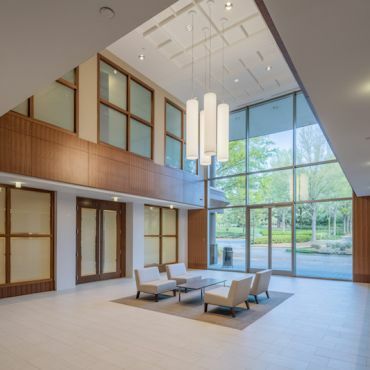 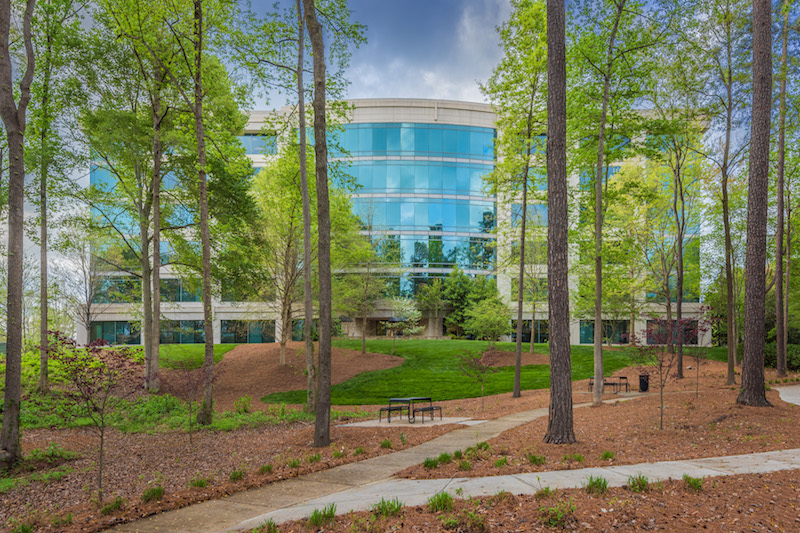 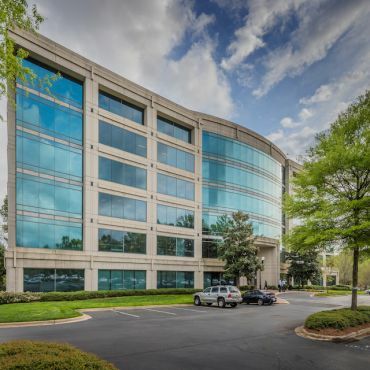 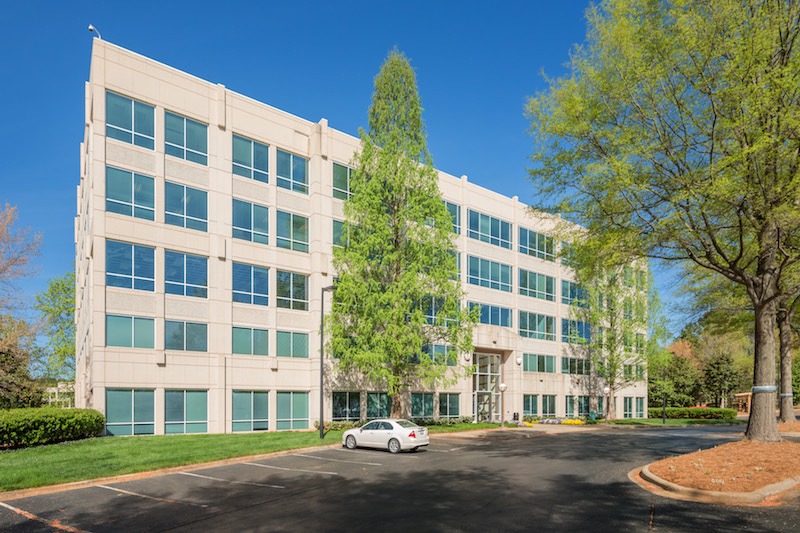 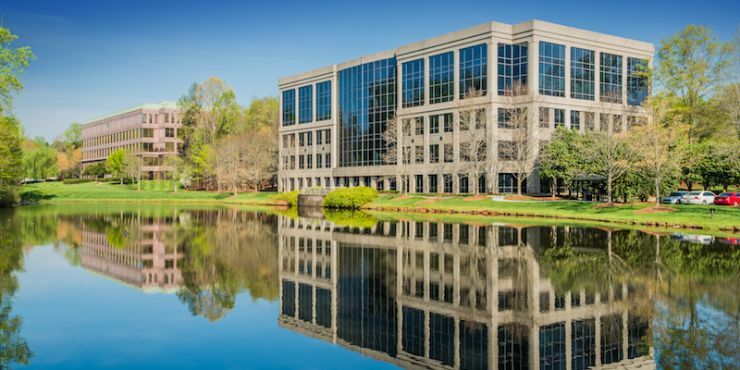 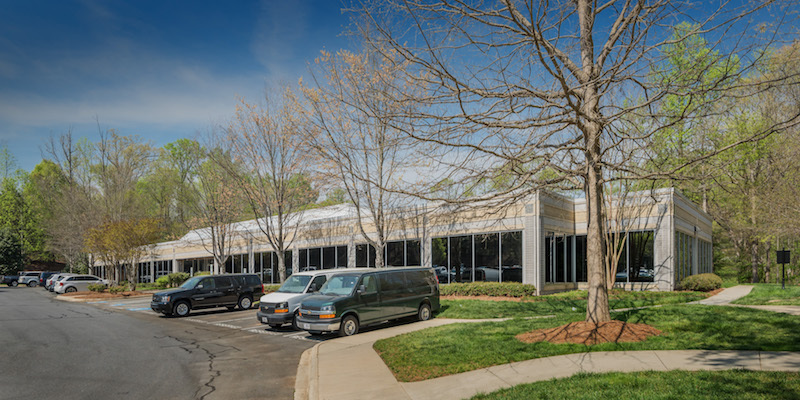 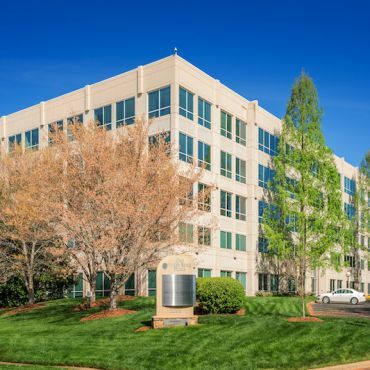 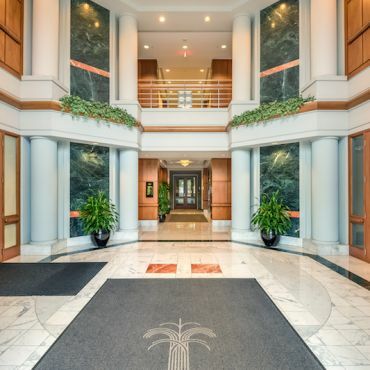 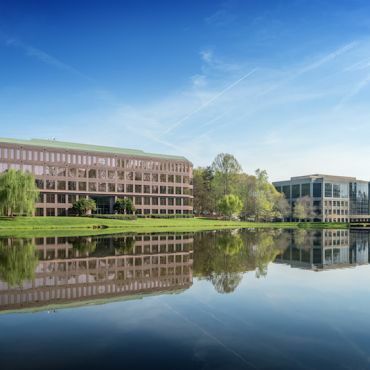 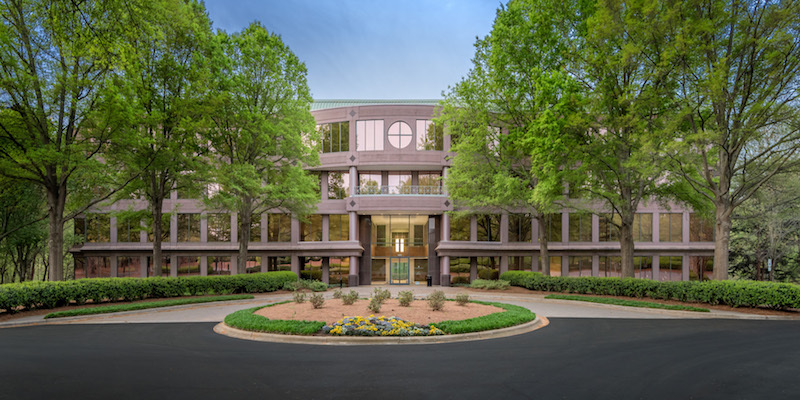 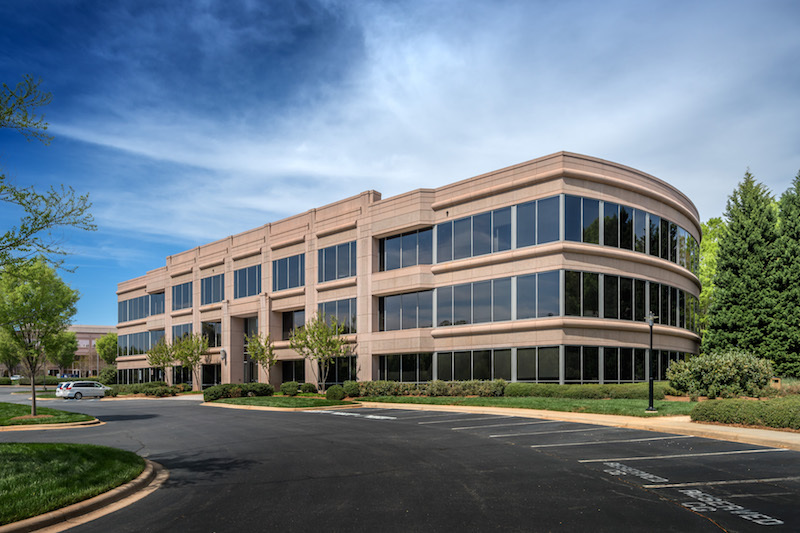 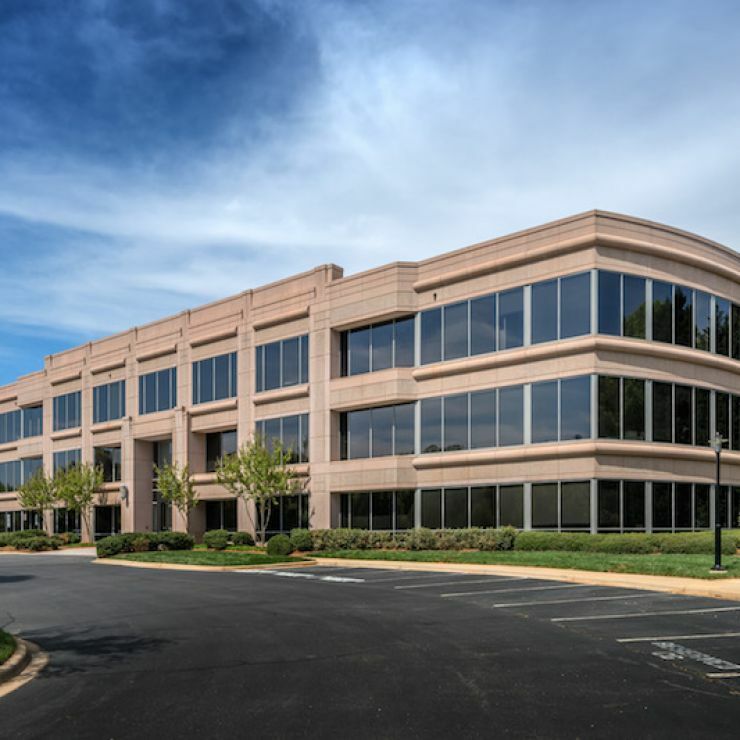 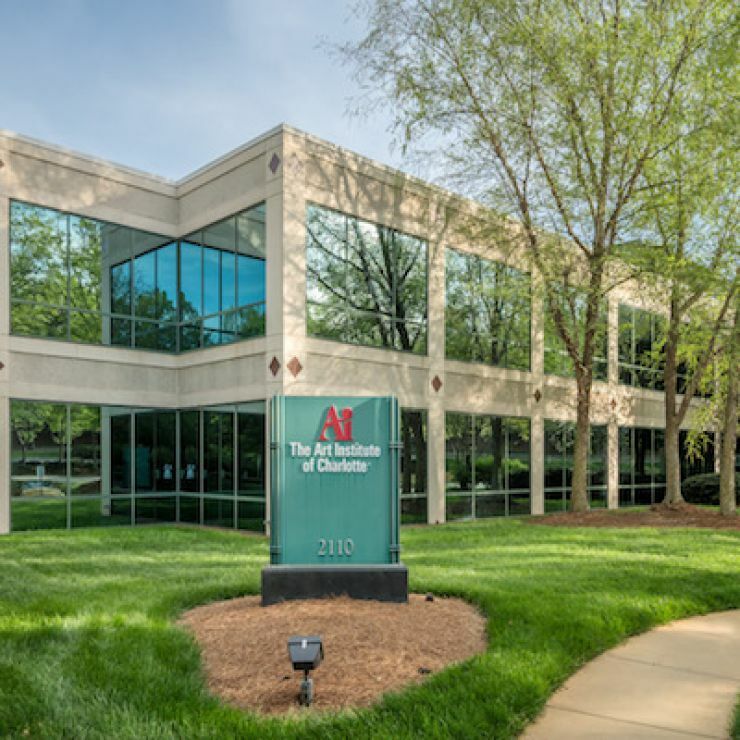 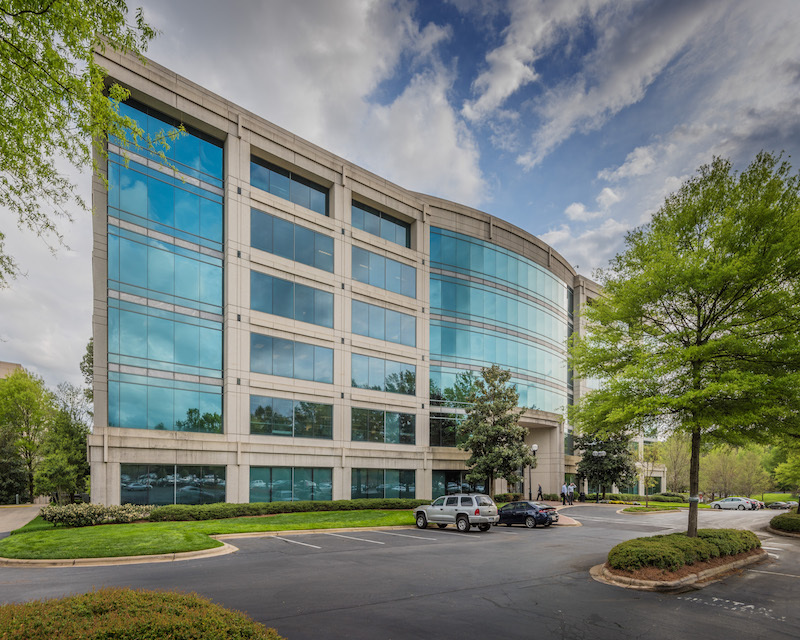 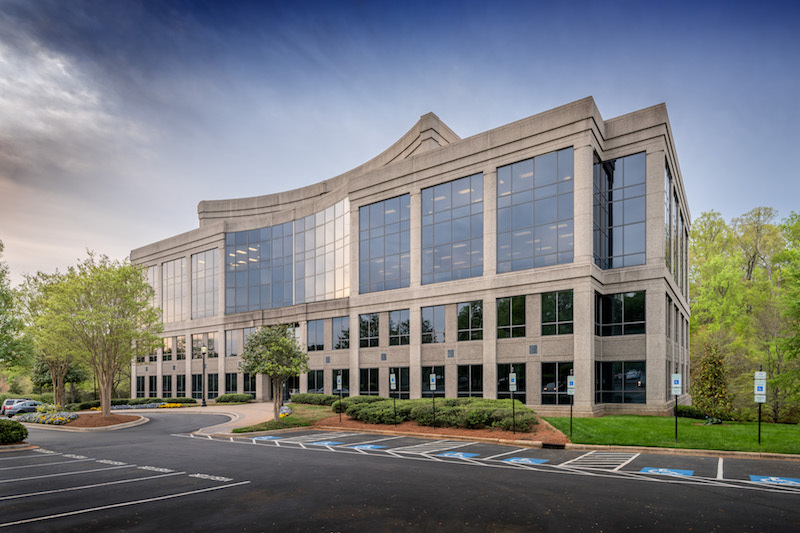 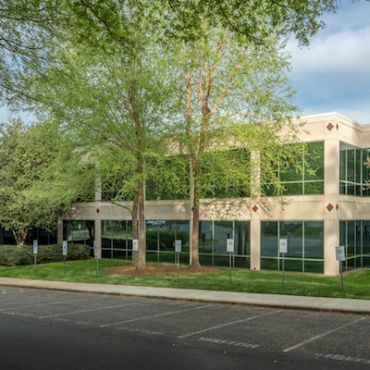 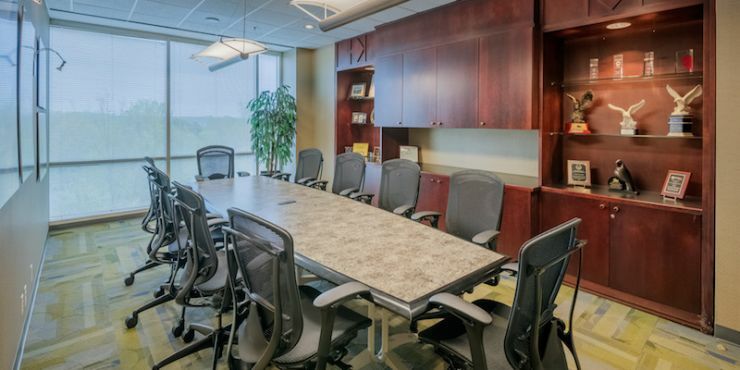 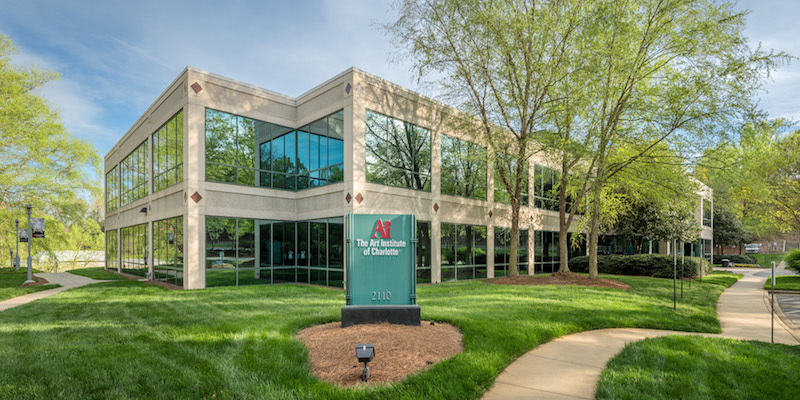 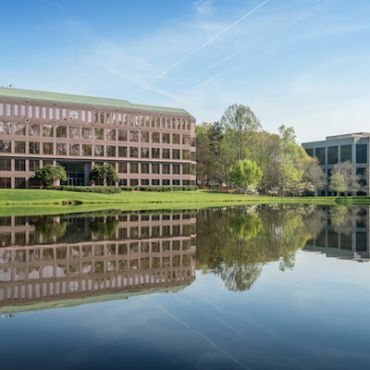 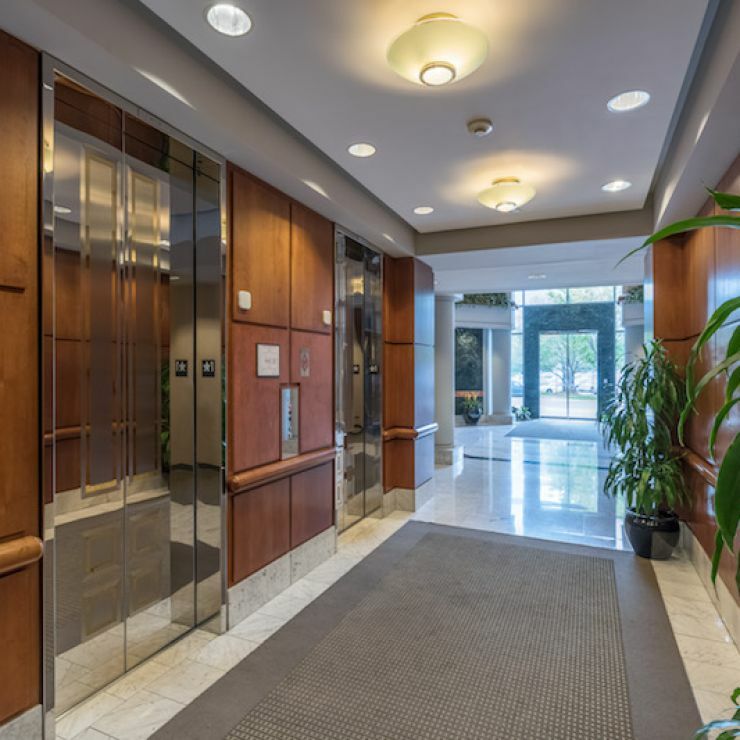 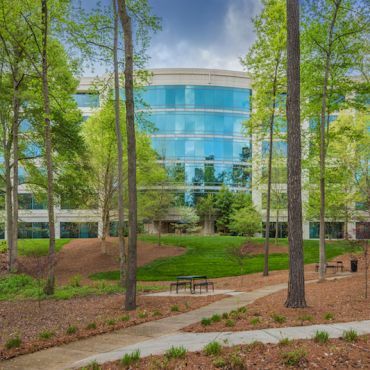 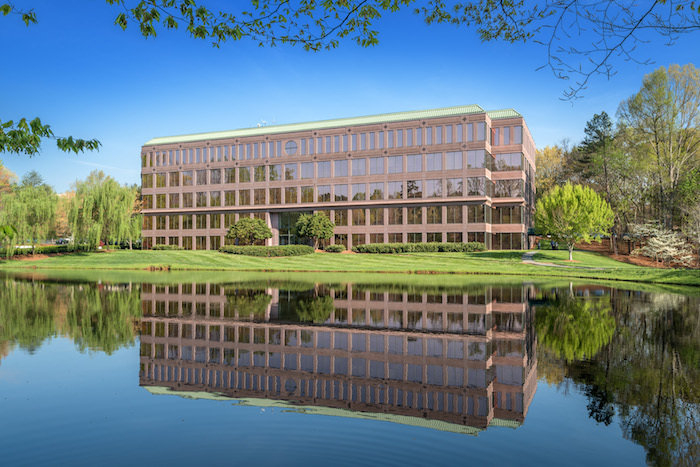 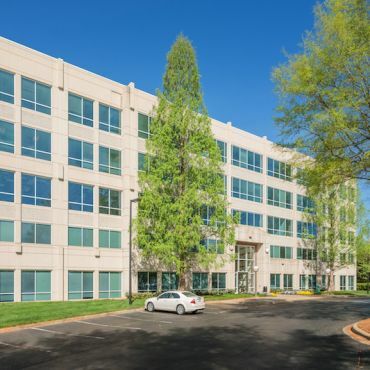 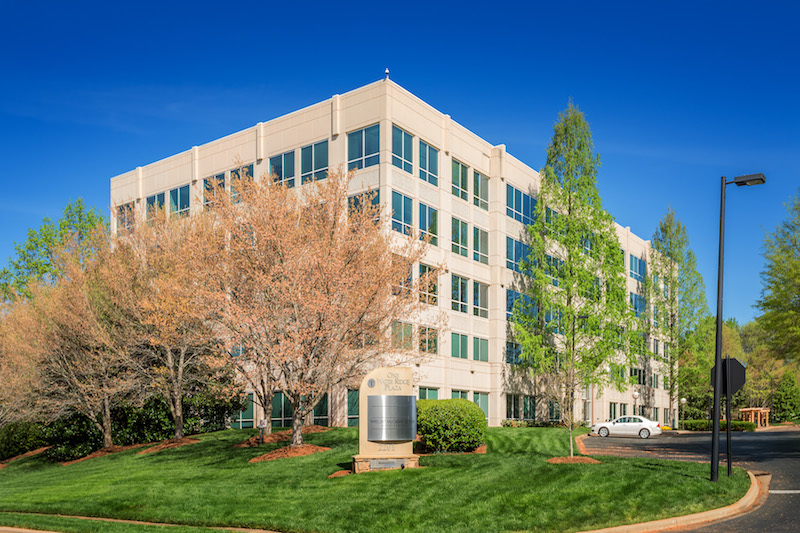 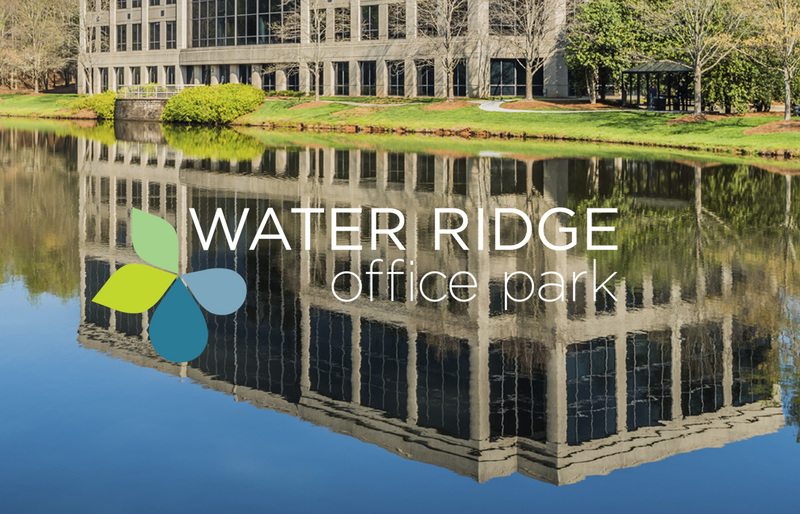 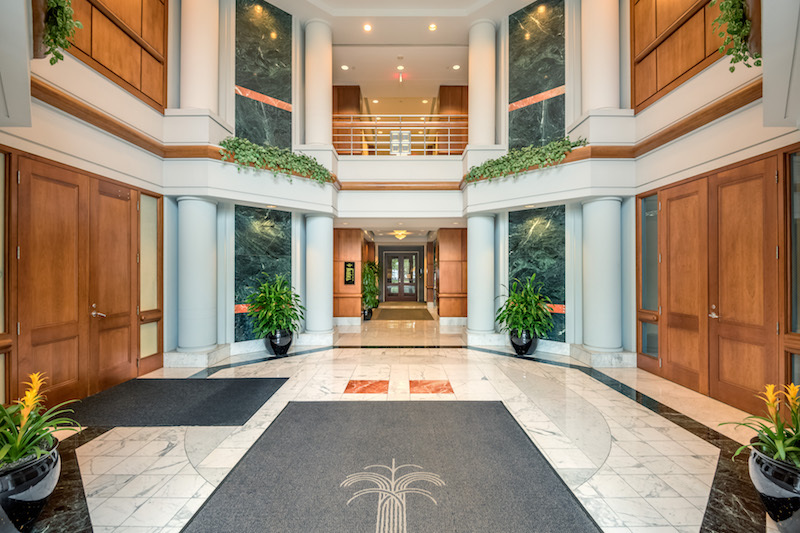 Water Ridge Office Park is located at the intersection of West Tyvola Road and North Falls Drive, just two and a half miles from Charlotte Douglas International Airport. 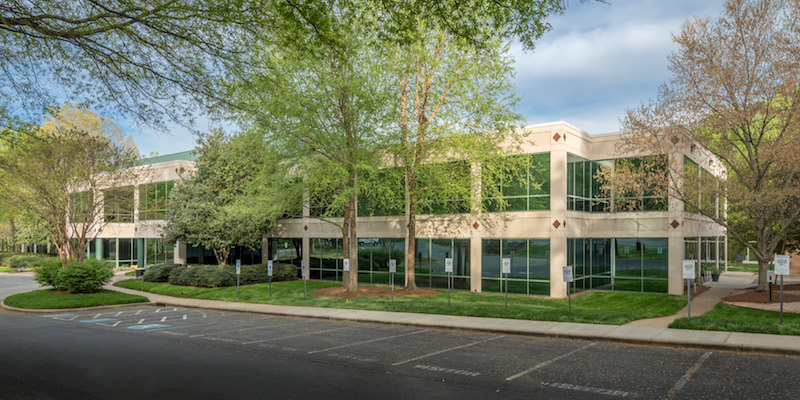 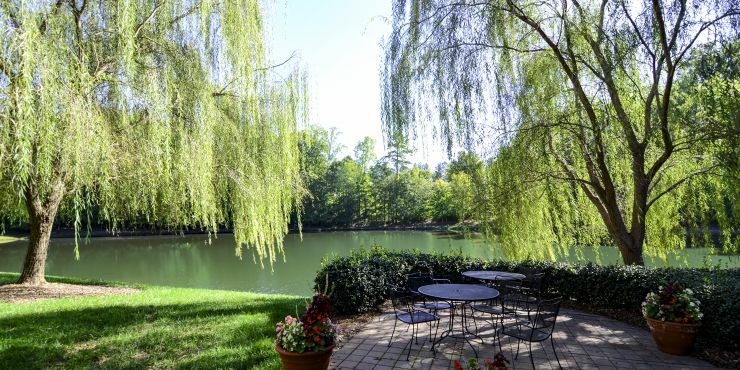 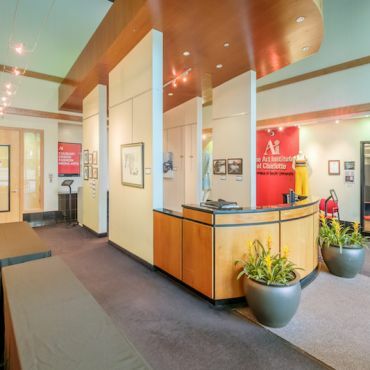 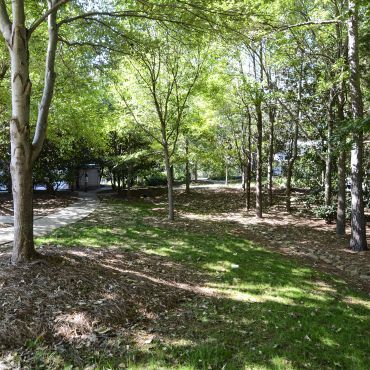 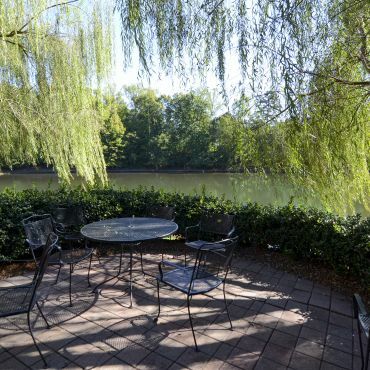 Situated in the Interstate 77/Southwest submarket, the property is proximate to Uptown and SouthPark, and is directly across from the 170-acre City Park master-planned community. 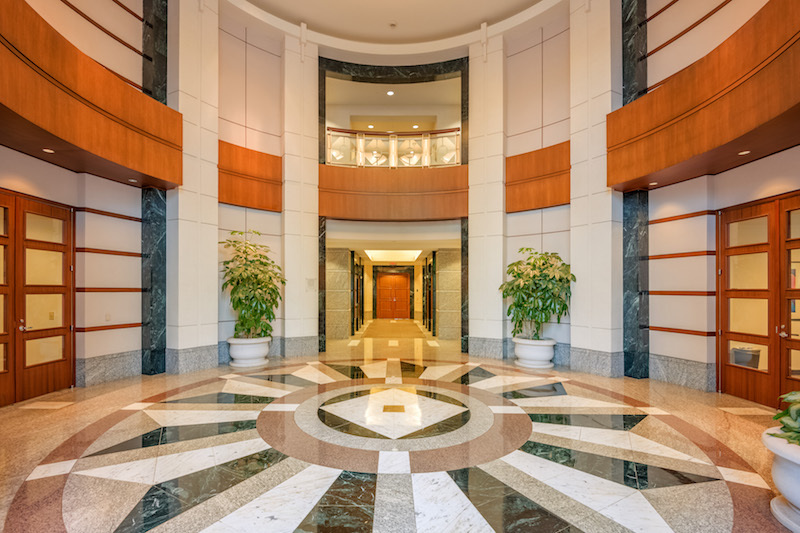 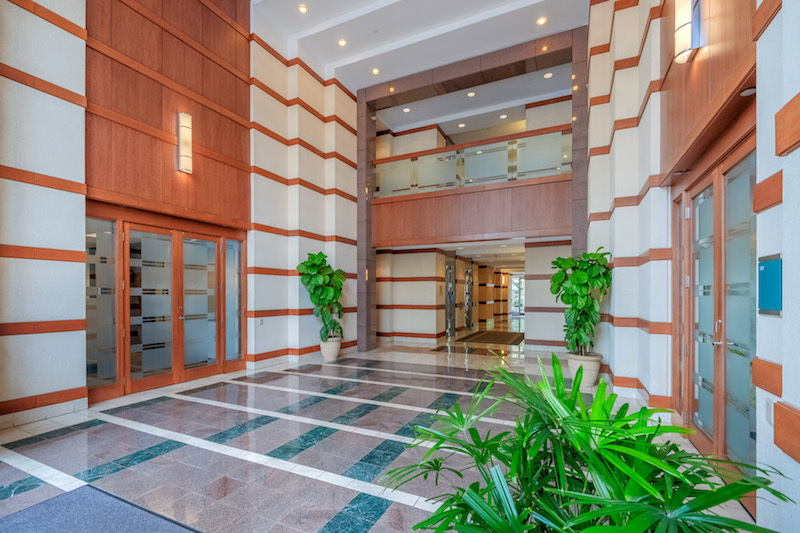 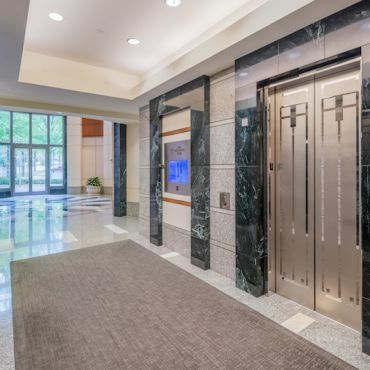 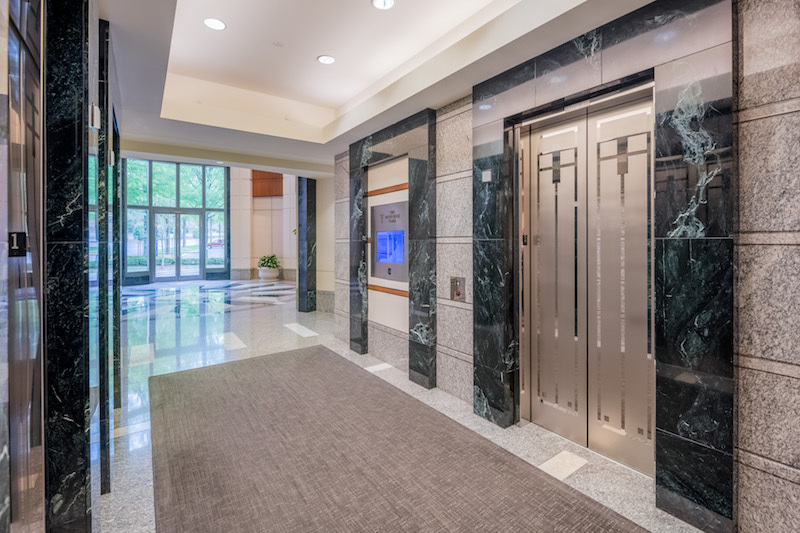 The park has undergone an extensive renovation in the past year with updates to many of the lobbies, restrooms and elevators throughout the park. 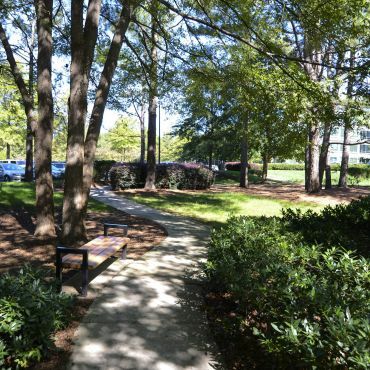 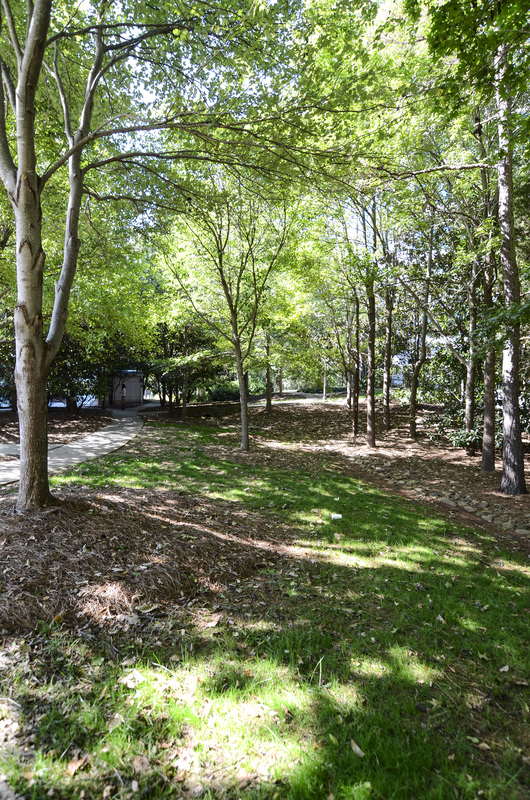 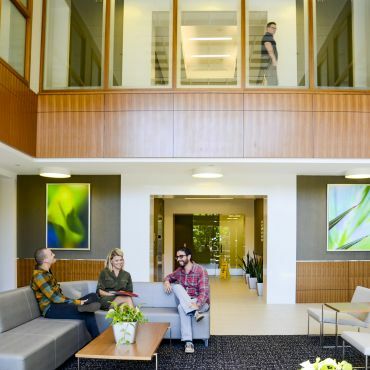 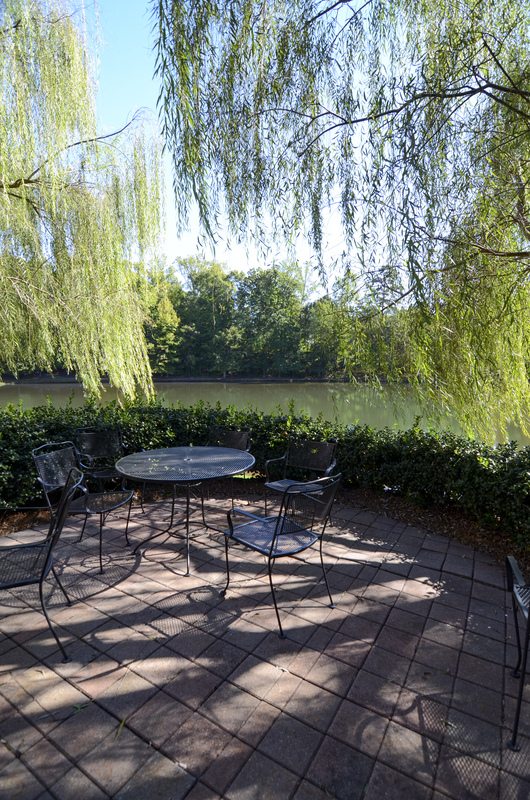 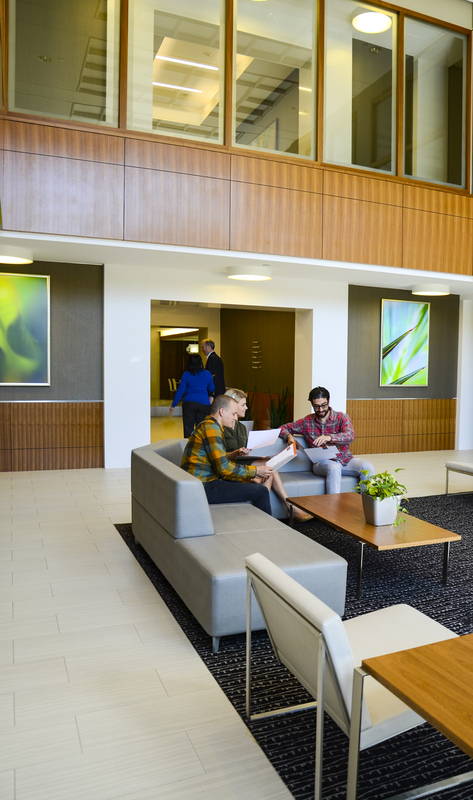 Additional amenities have also been added, including outdoor picnic areas and walking trails, fitness centers with locker rooms, and a tenant lounge. 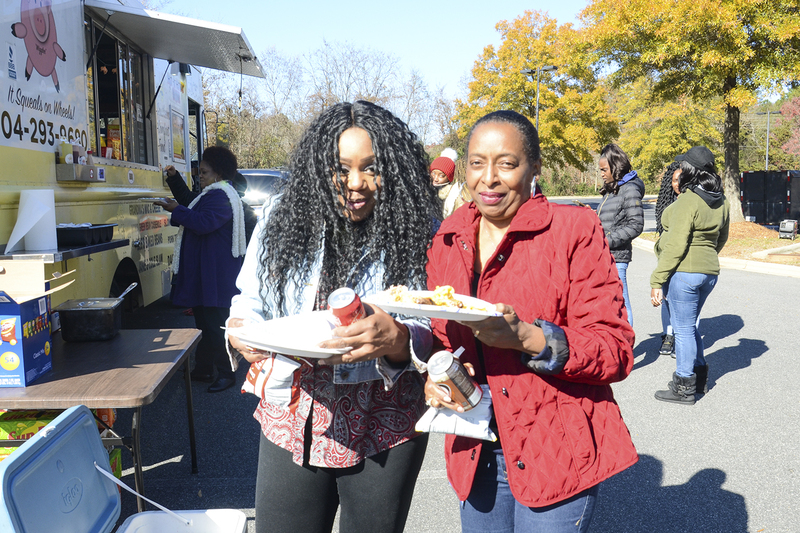 Good food is our priority! 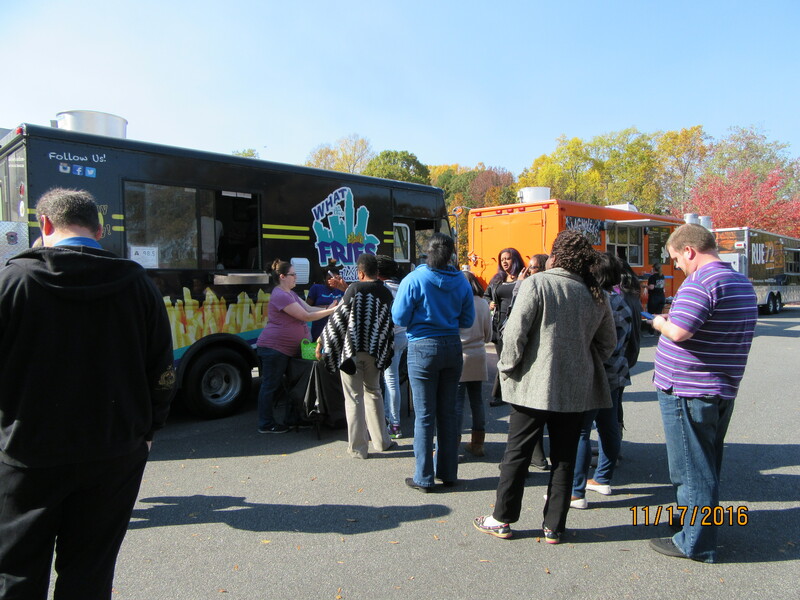 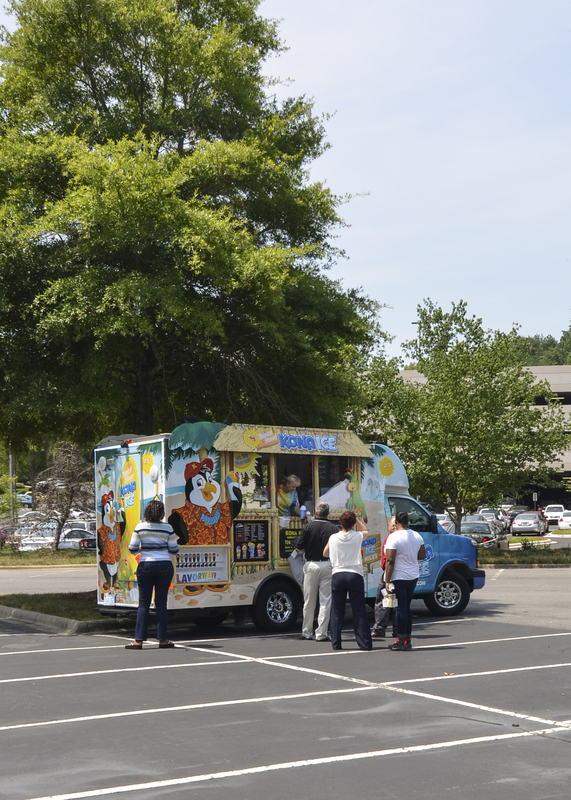 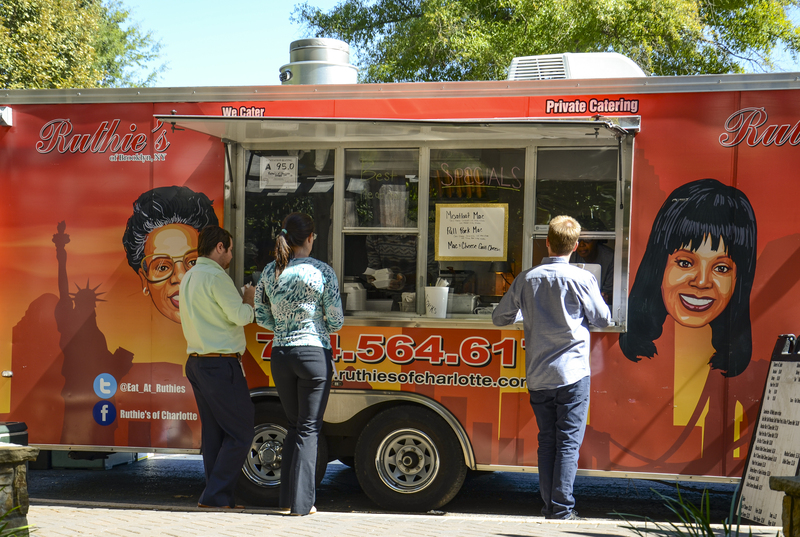 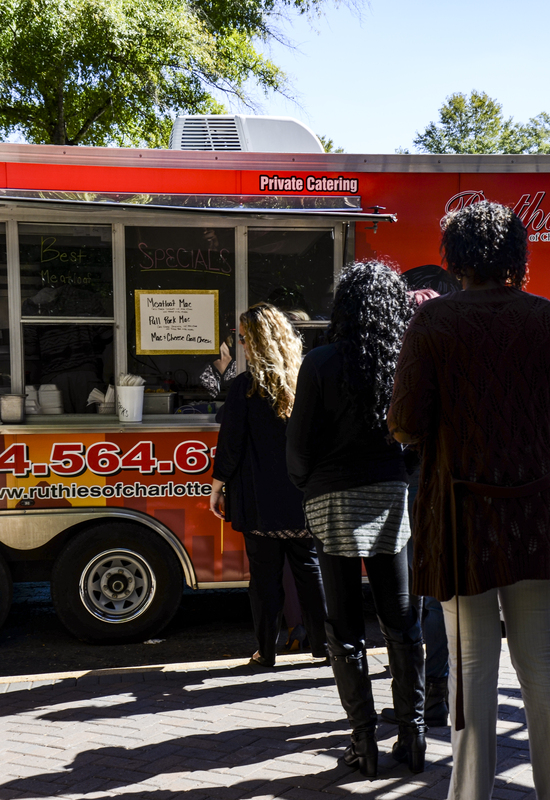 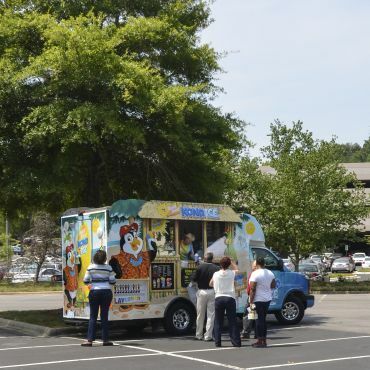 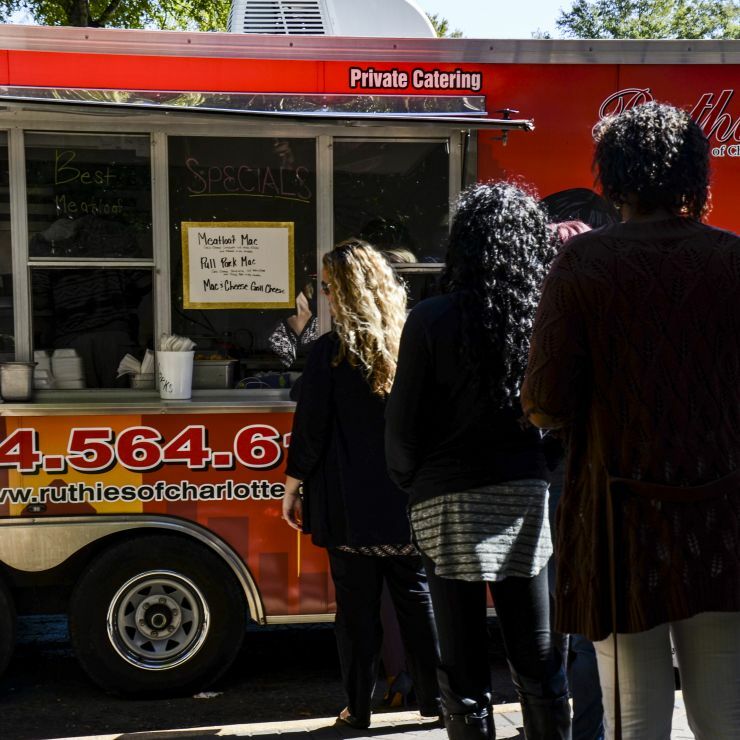 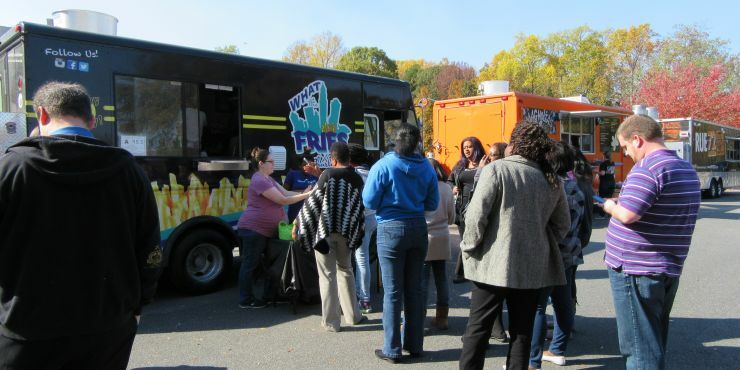 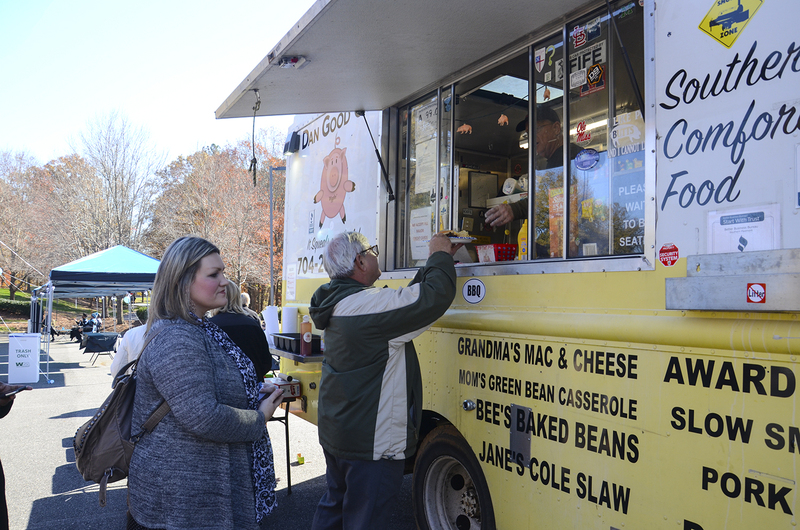 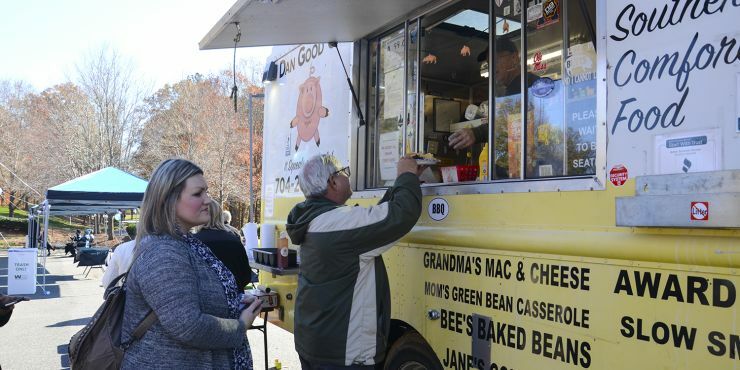 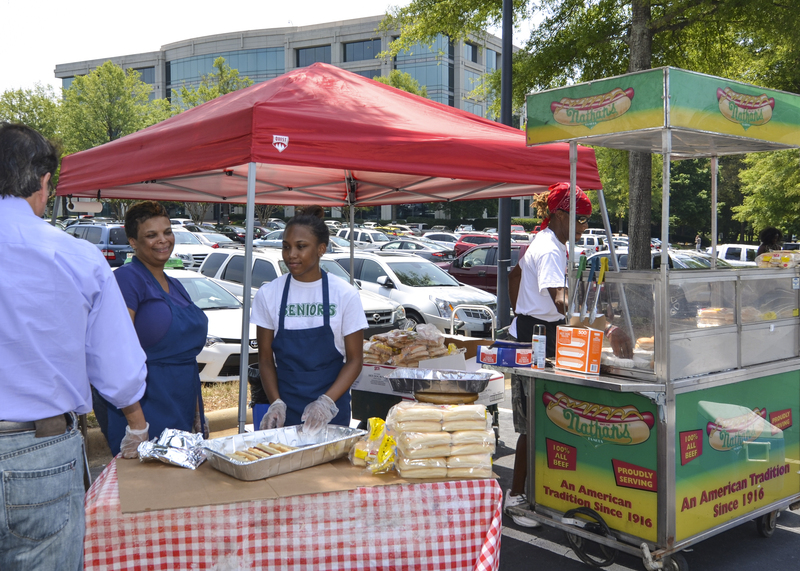 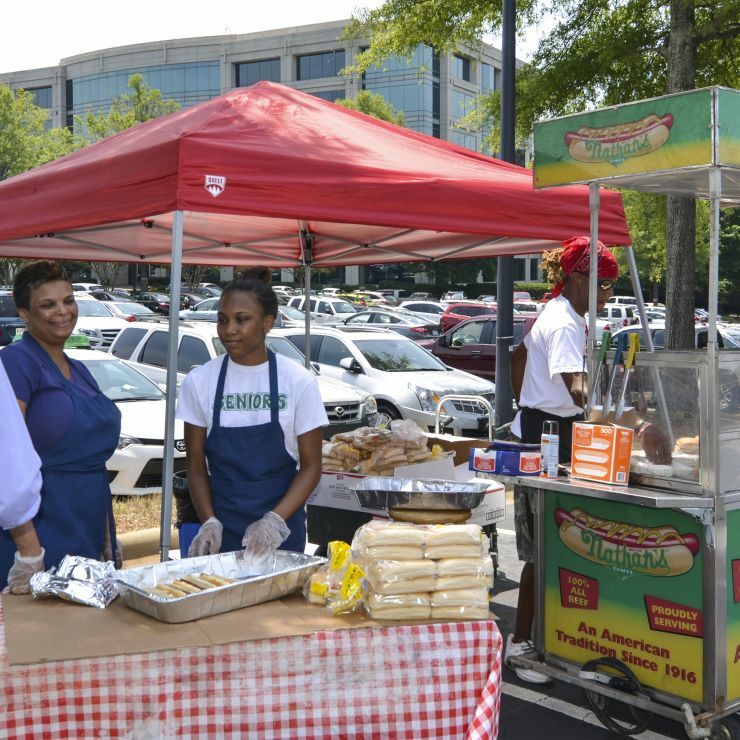 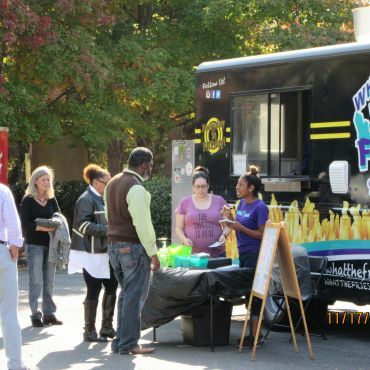 We host food trucks in the summer months with options rotated each month. 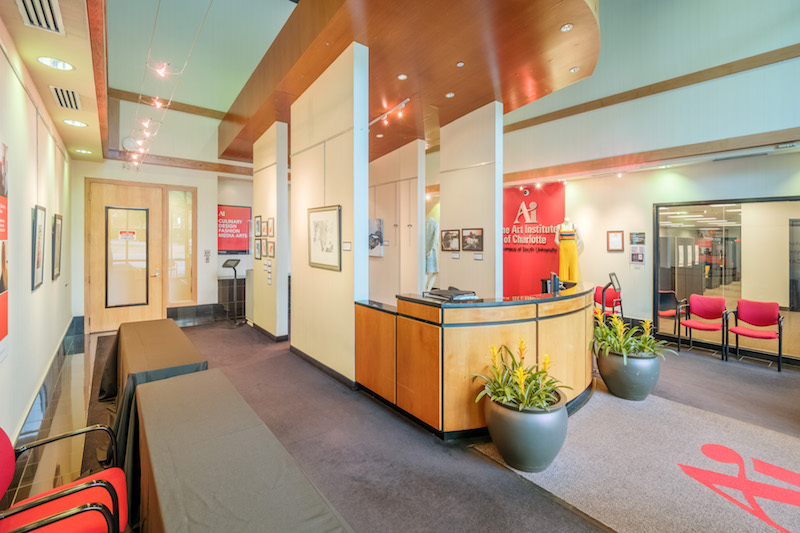 Check out the schedule under our Events section. 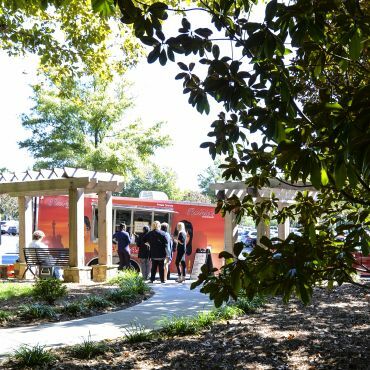 If you're in the mood for something different, there are over 19 restaurants within a mile of the park - Jocks & Jill's Sports Grill, Starbucks, Panera Bread, Chipotle Mexican Grill, Salsarita's Fresh Mexican Grill, and Jersey Mike's Subs, just to name a few. 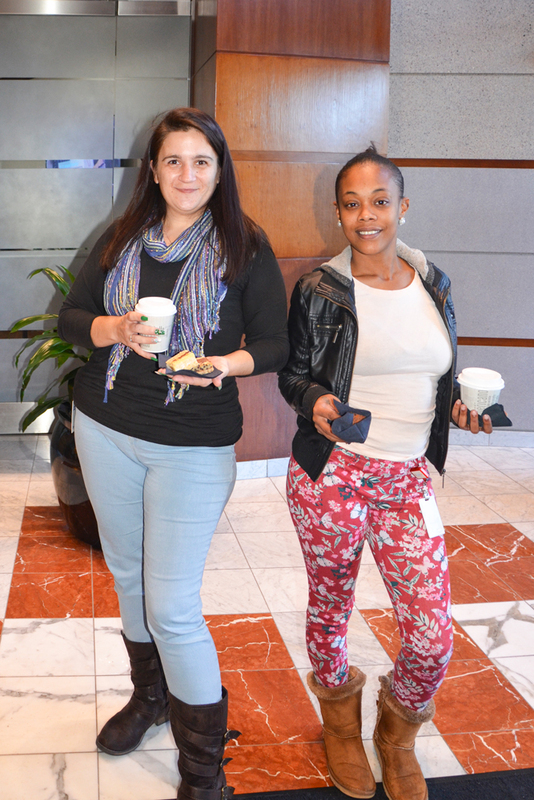 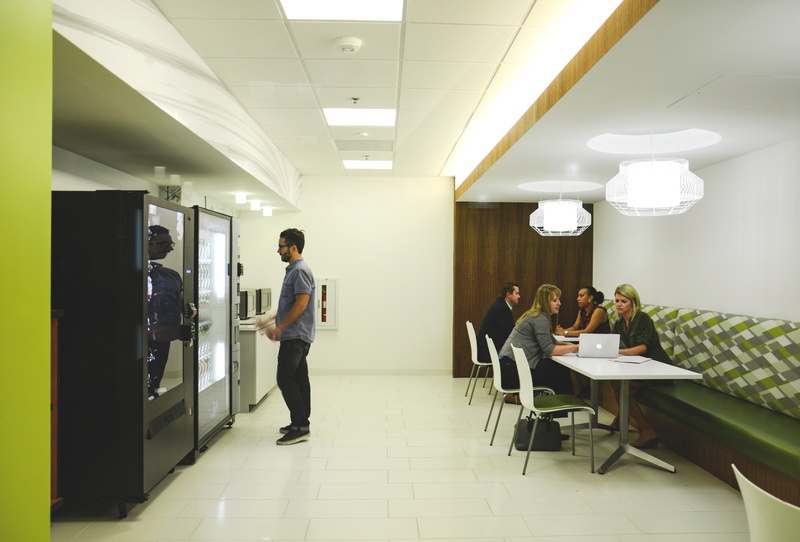 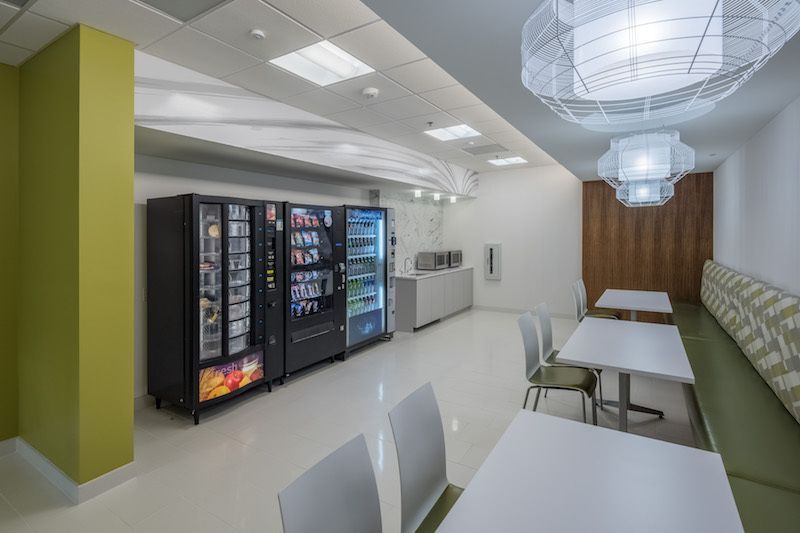 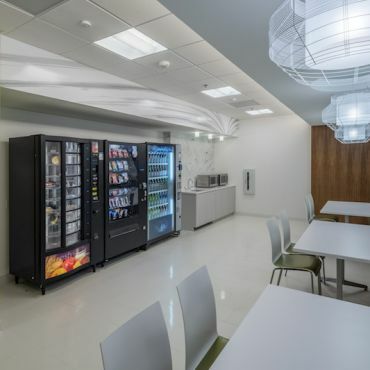 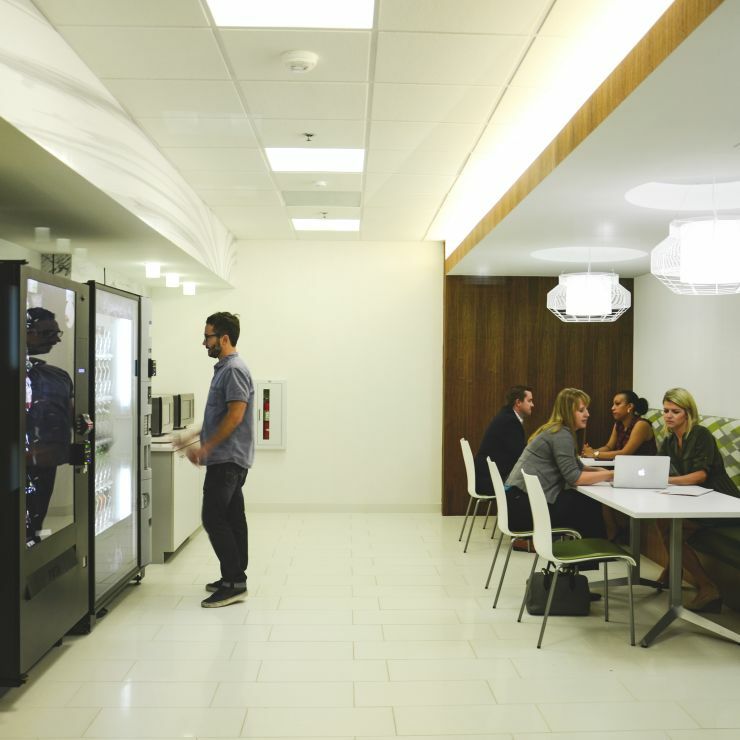 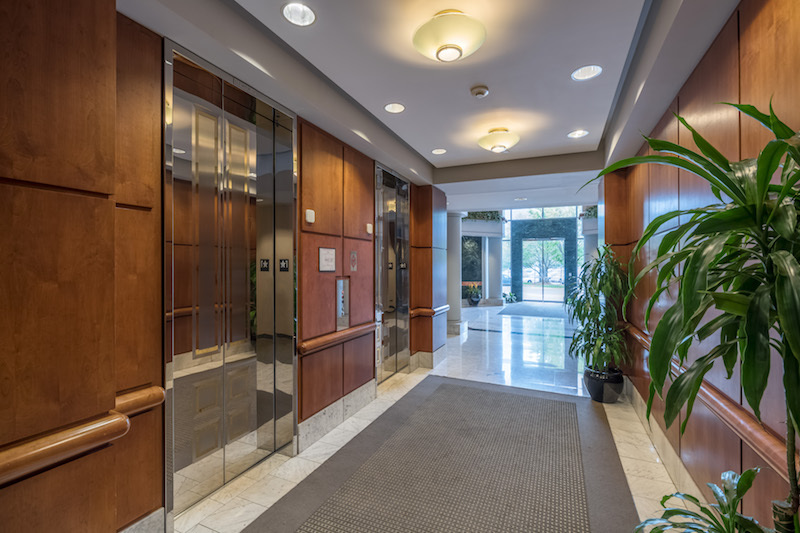 With our Foodsby program, you don't even have to leave your building! 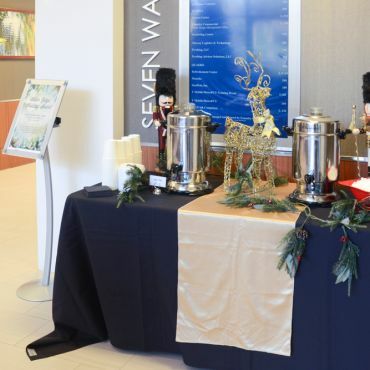 If you're in 2, 7, 8, 9, or 11 Water Ridge, just visit Foodsby.com for different restaurant options daily, delivered right to your lobby with only a $1.99 flat fee. 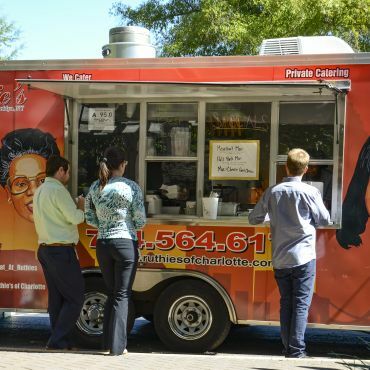 No tipping and no minimum orders. 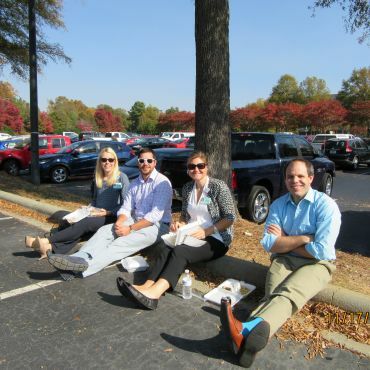 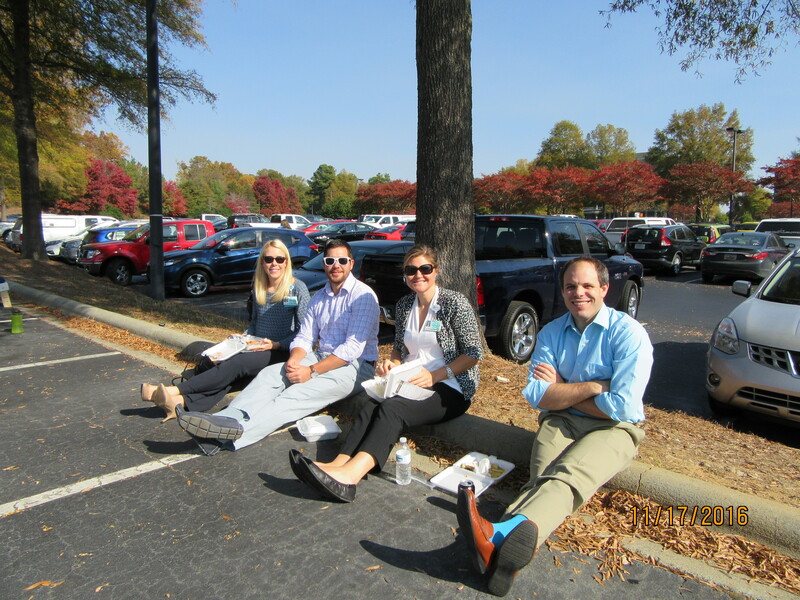 Happy lunching! 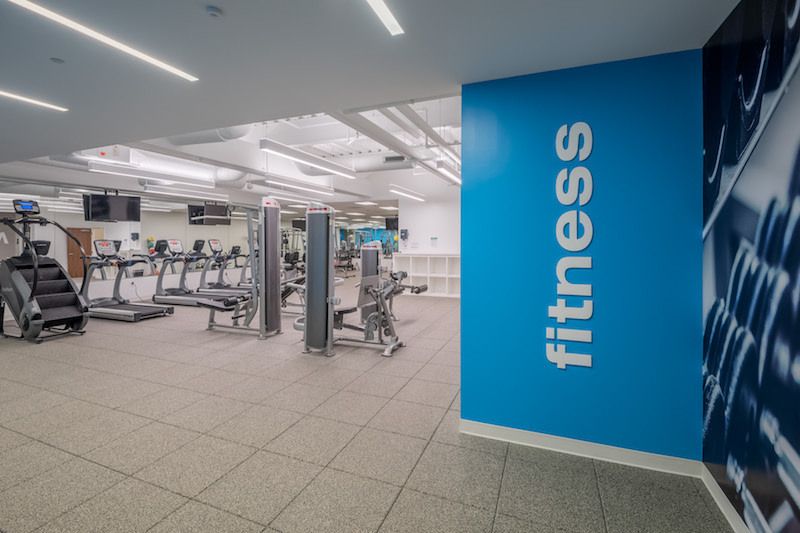 We know you're busy, so we've added fitness programs right here at the park! 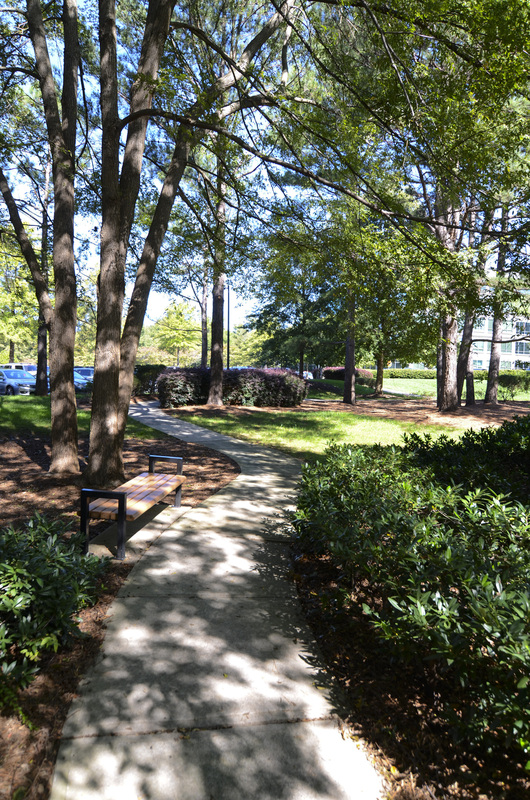 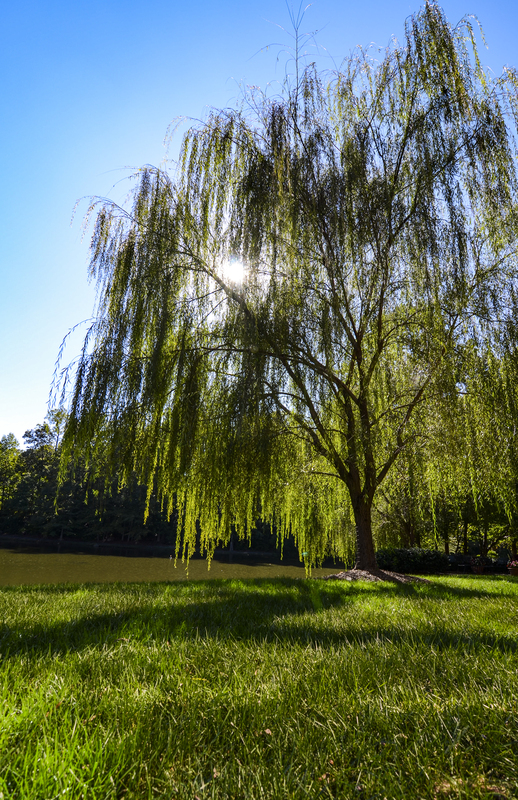 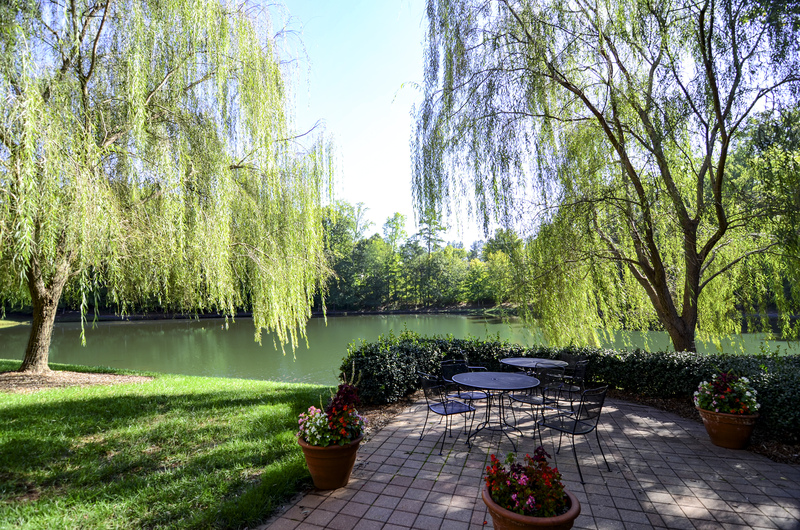 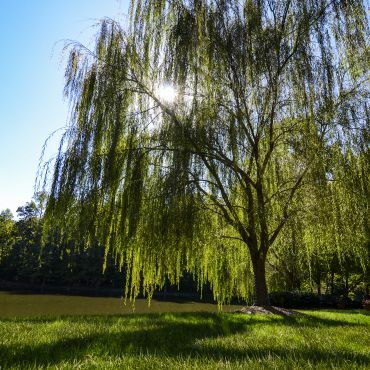 Enjoy over three miles of natural walking trails, complimentary use of the Fitness Centers in 2, 7, and 9 Water Ridge, and FREE Cross Training and Yoga classes! 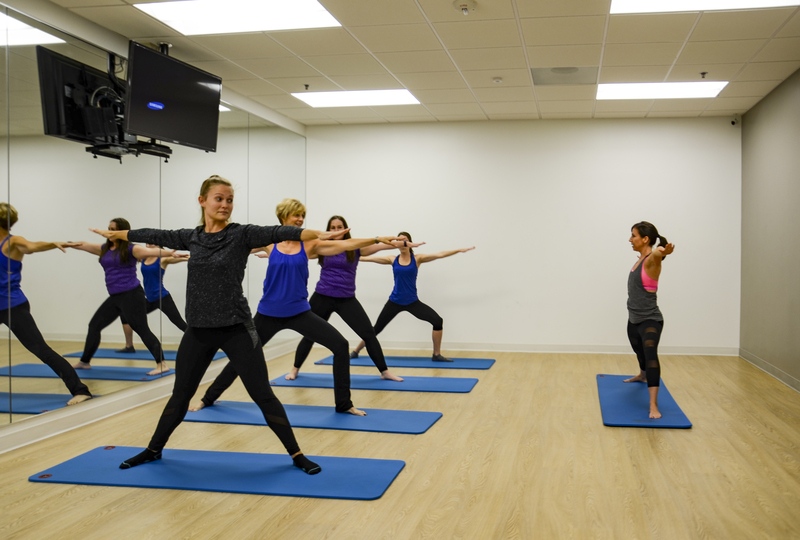 Staying healthy shouldn't be hard! 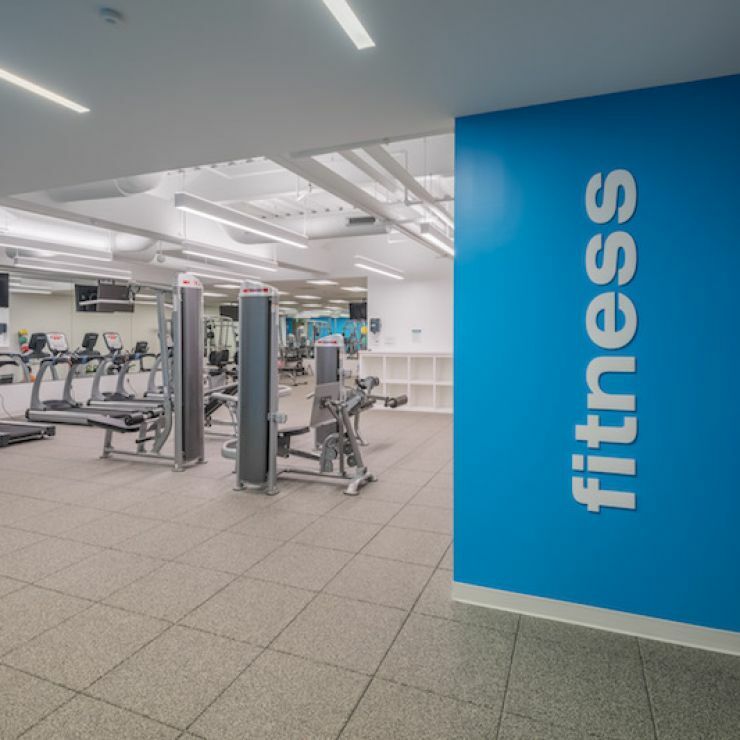 Fridays from noon to 1 pm in the 7 Water Ridge Fitness Center. 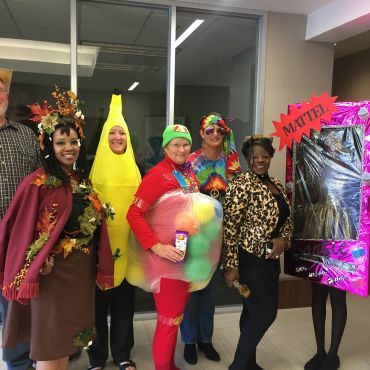 Work should be fun! 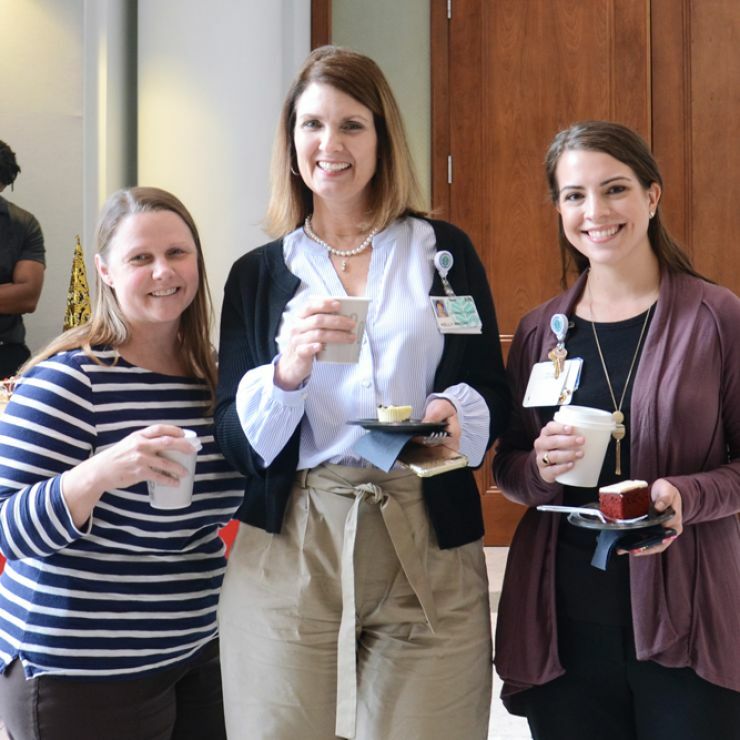 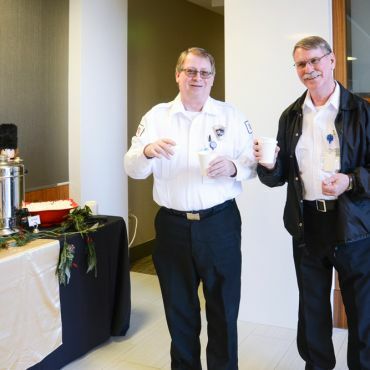 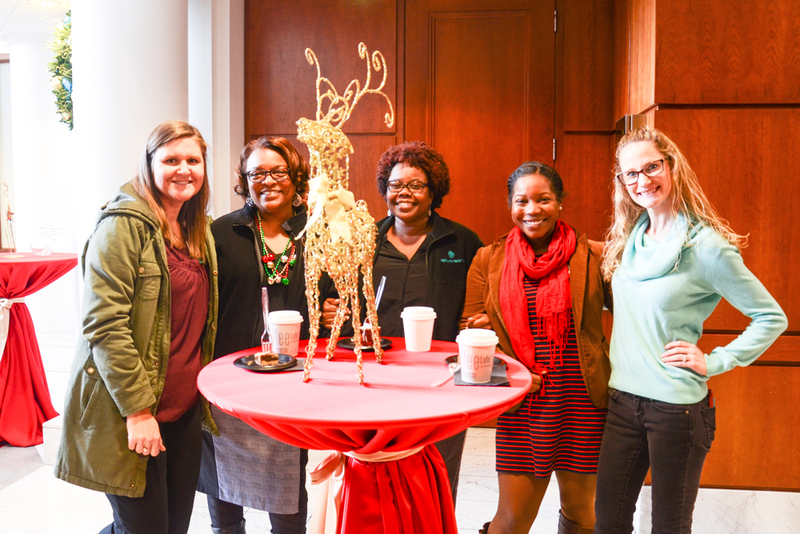 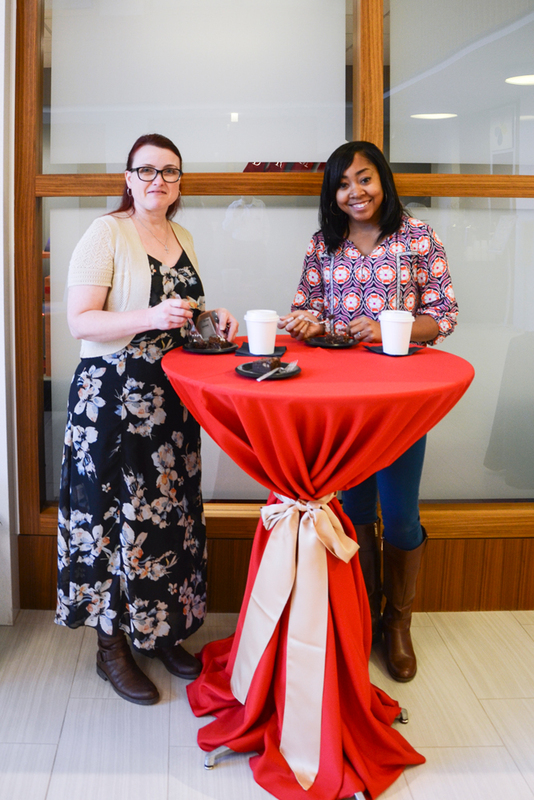 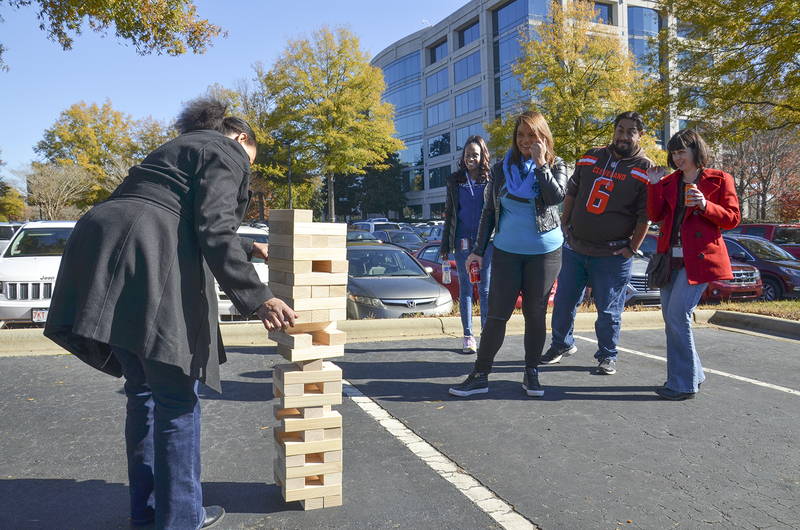 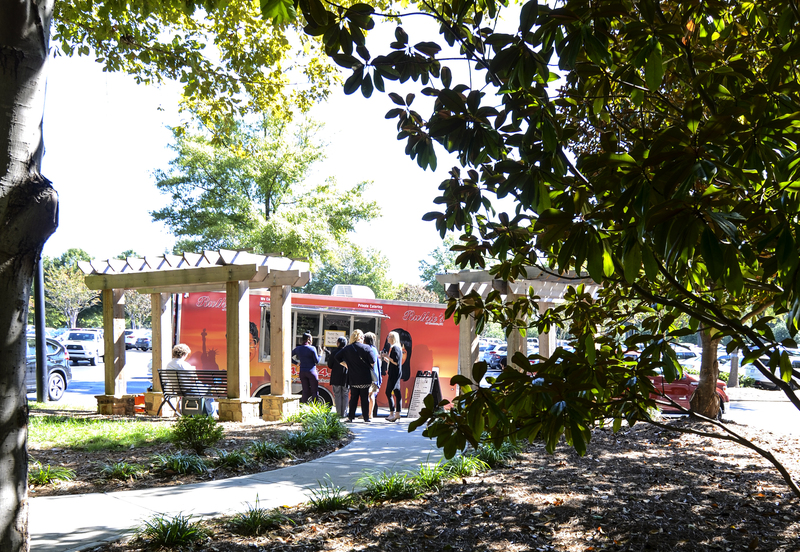 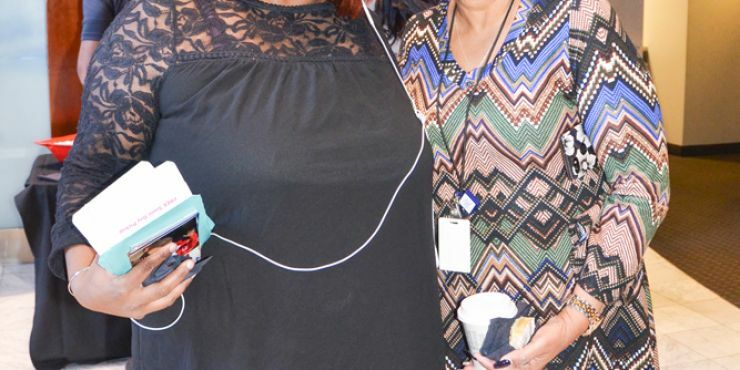 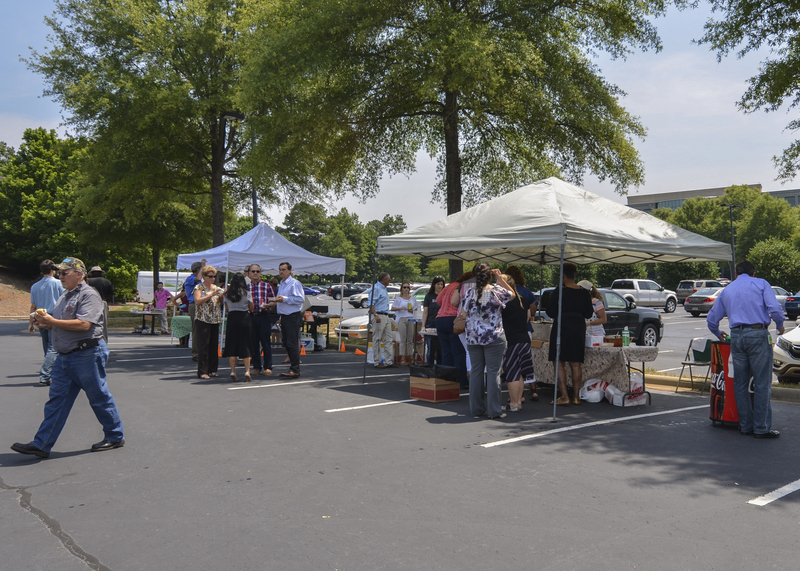 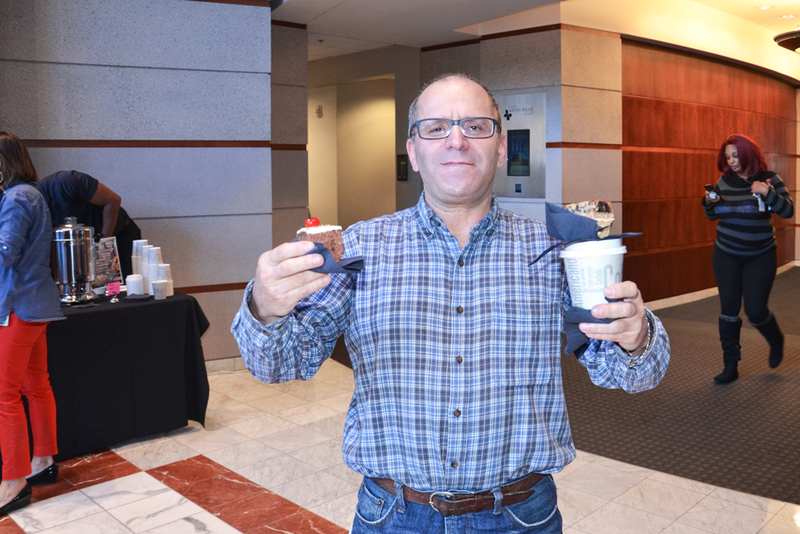 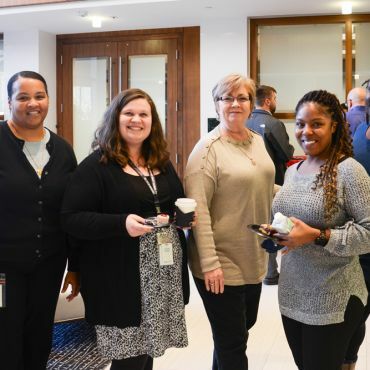 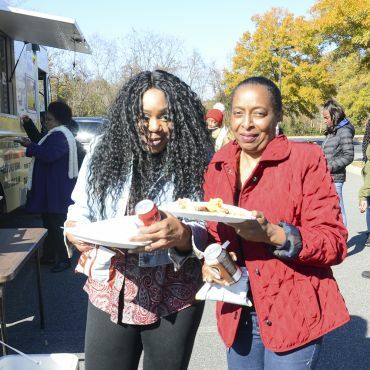 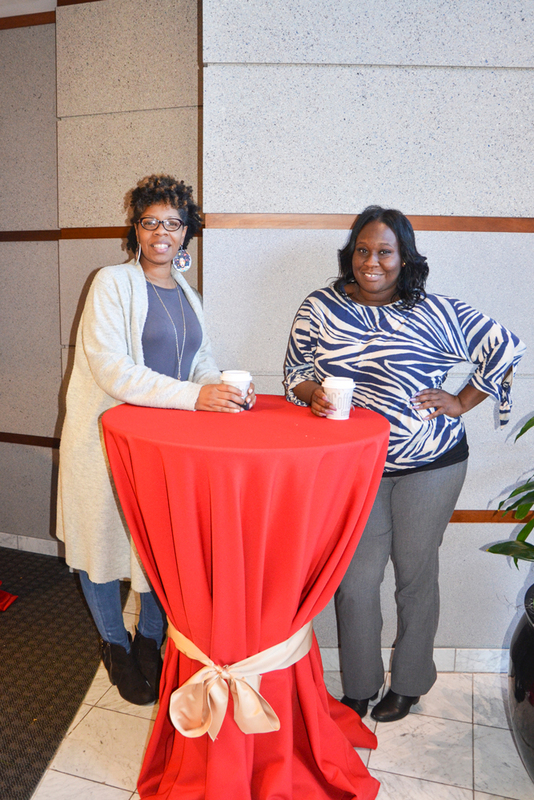 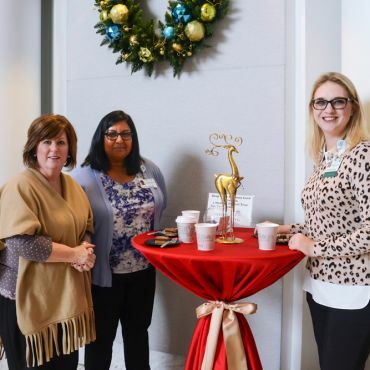 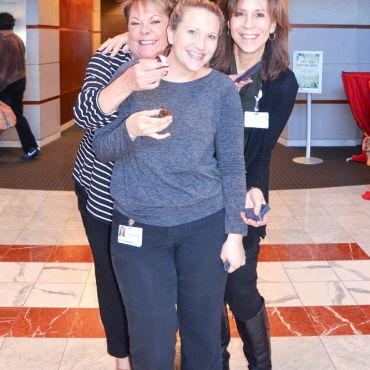 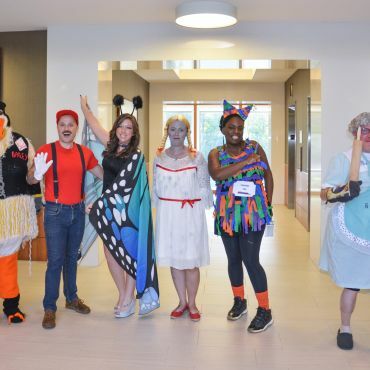 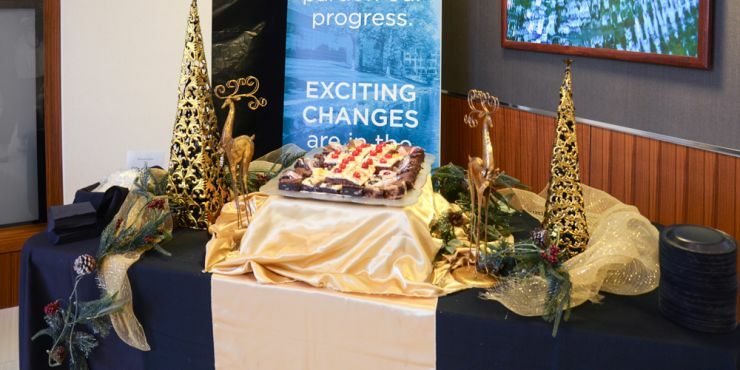 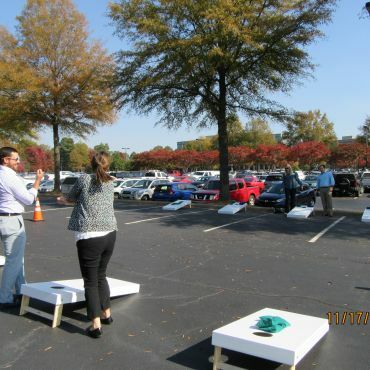 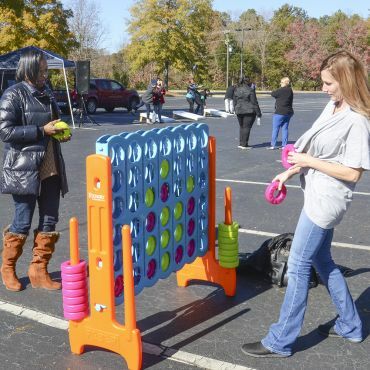 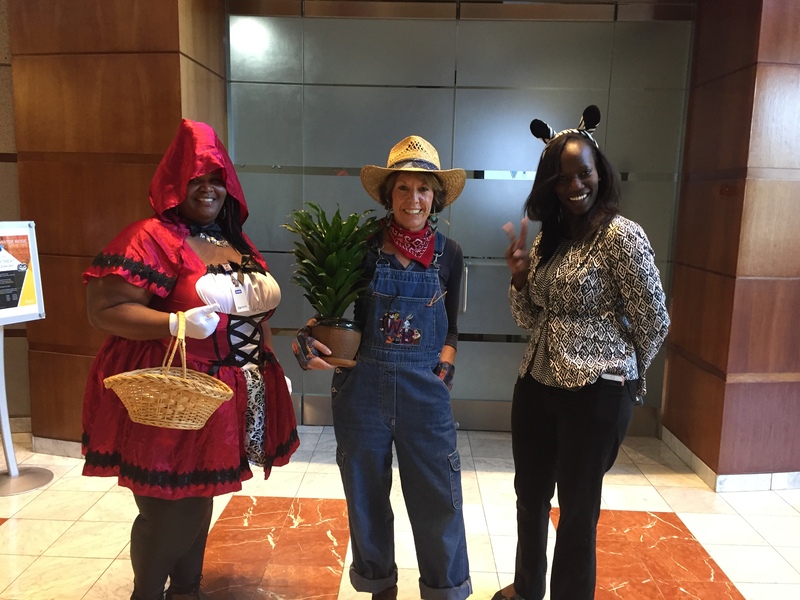 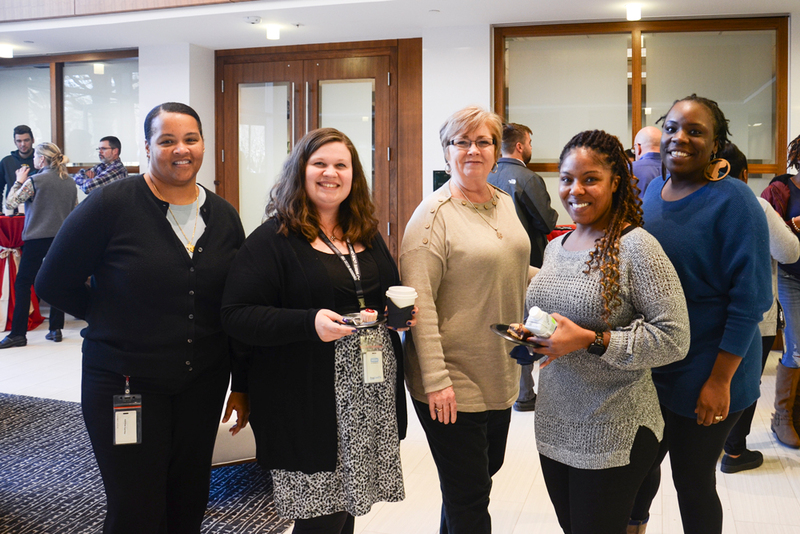 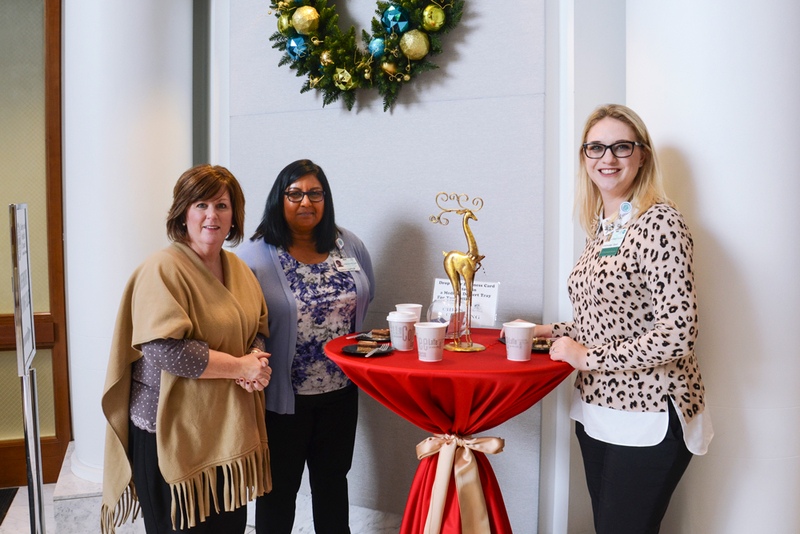 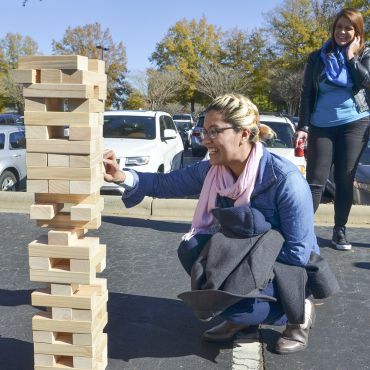 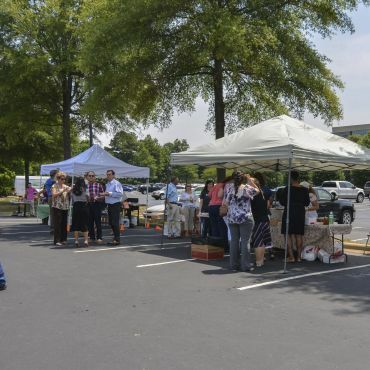 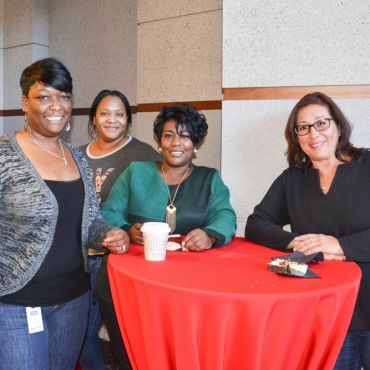 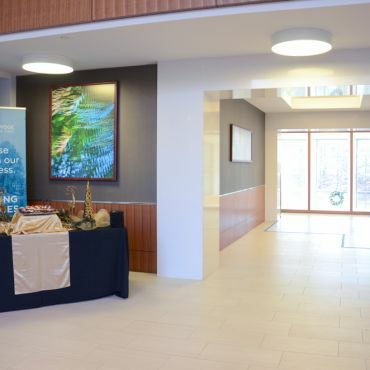 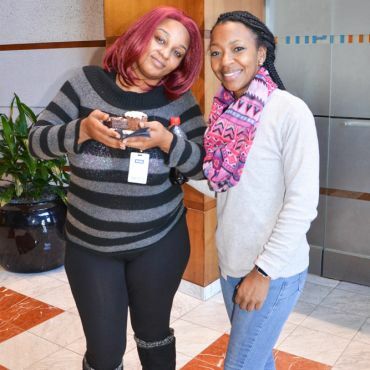 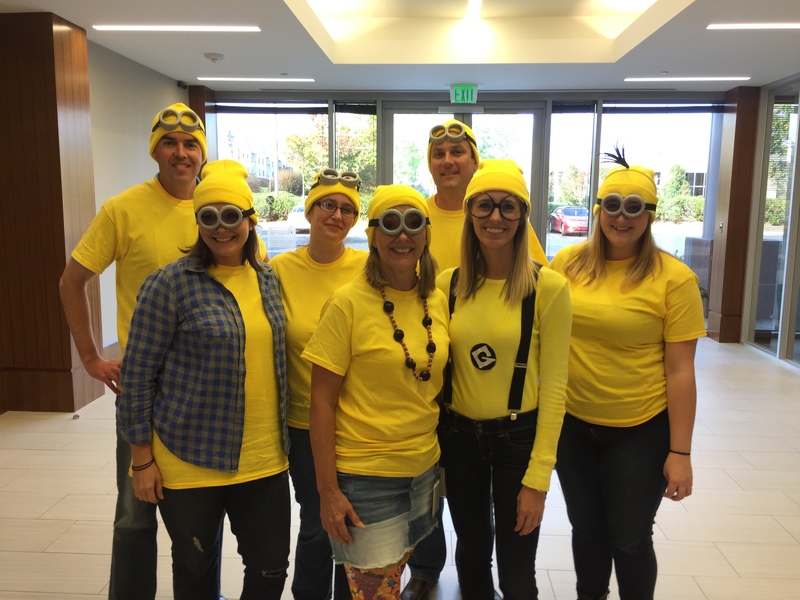 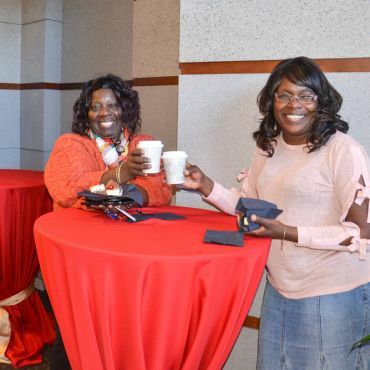 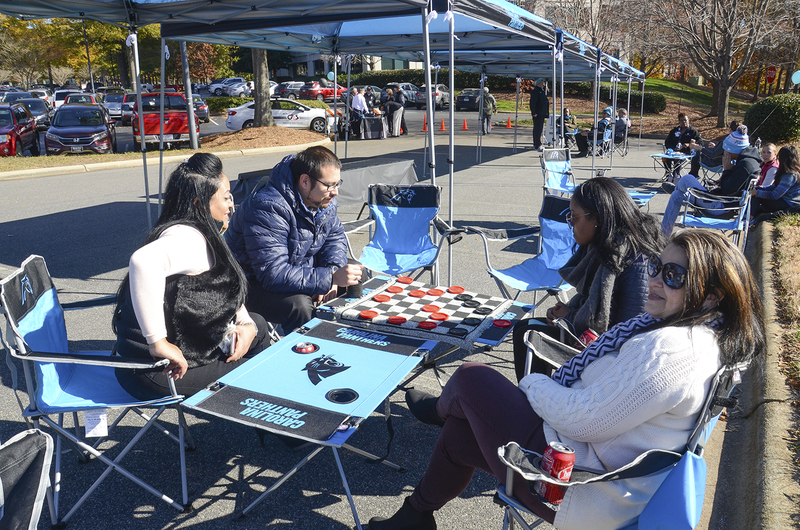 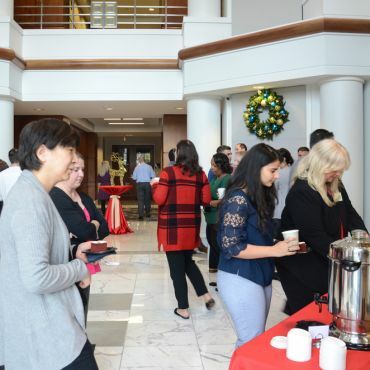 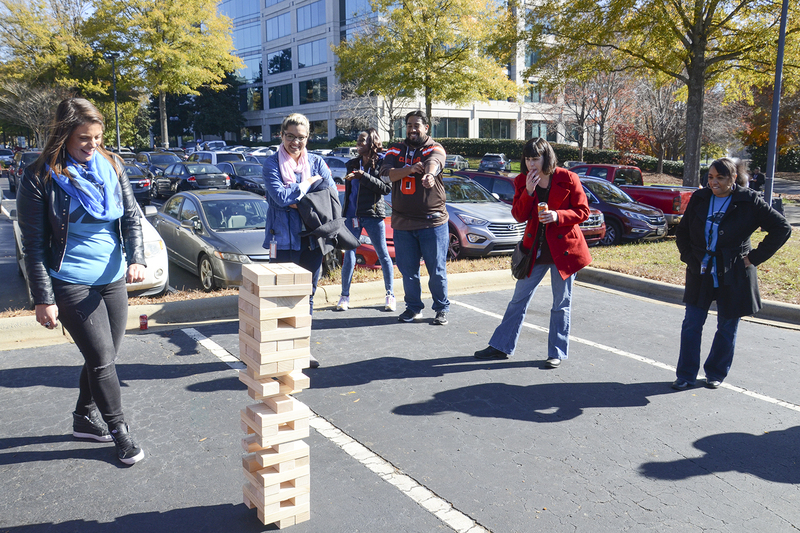 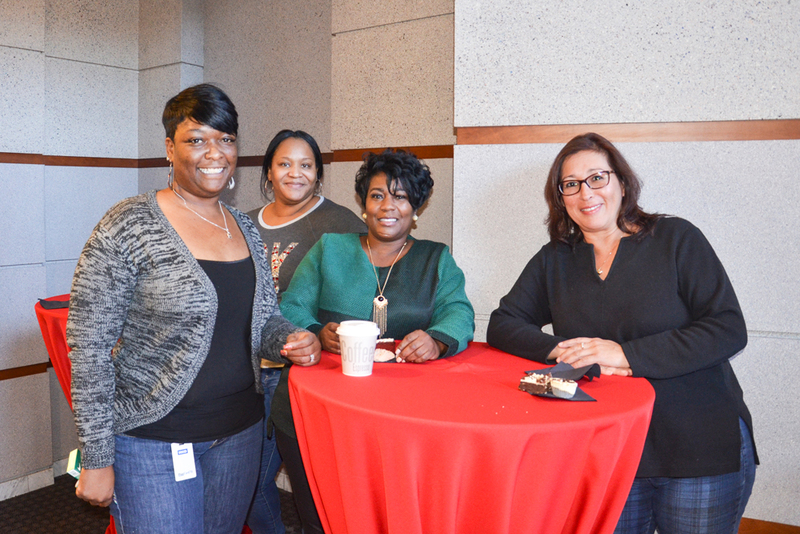 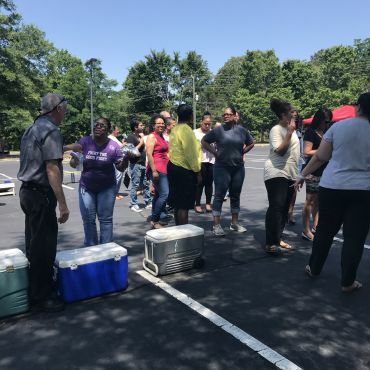 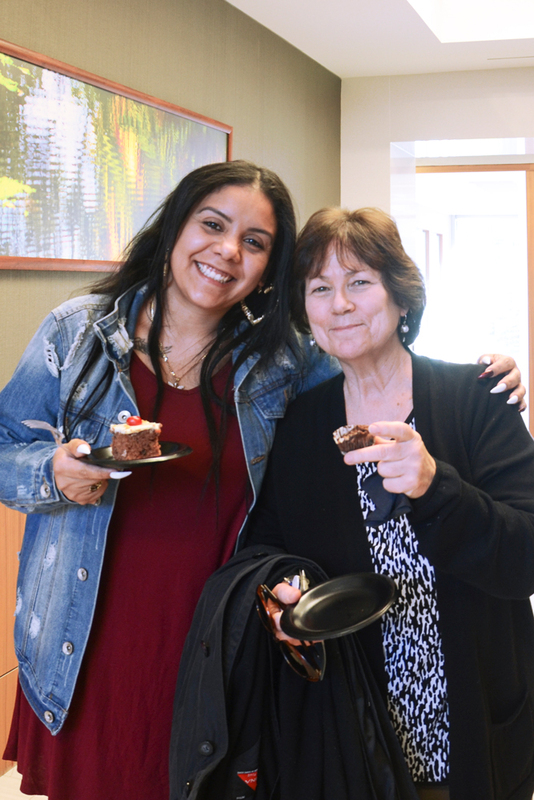 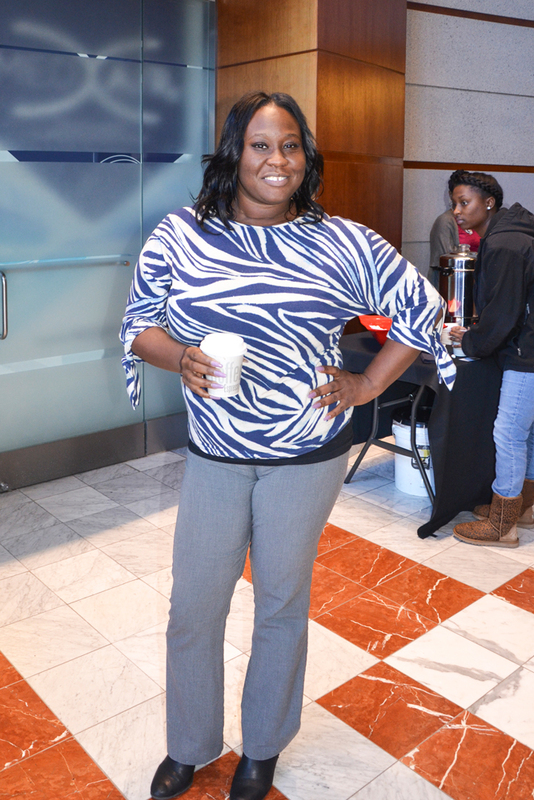 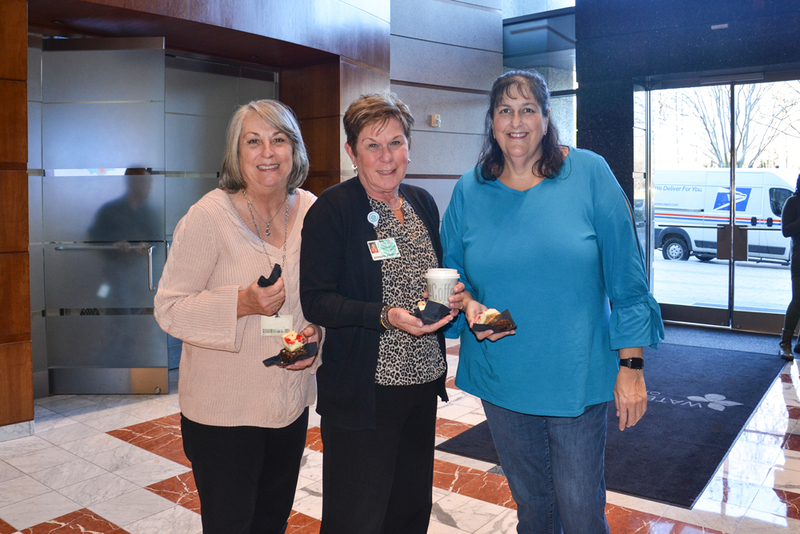 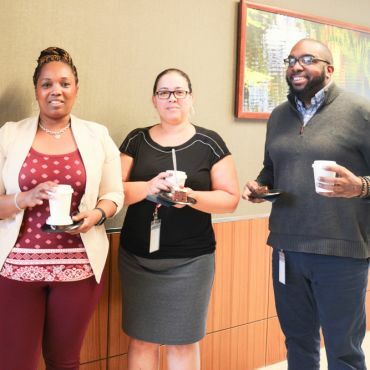 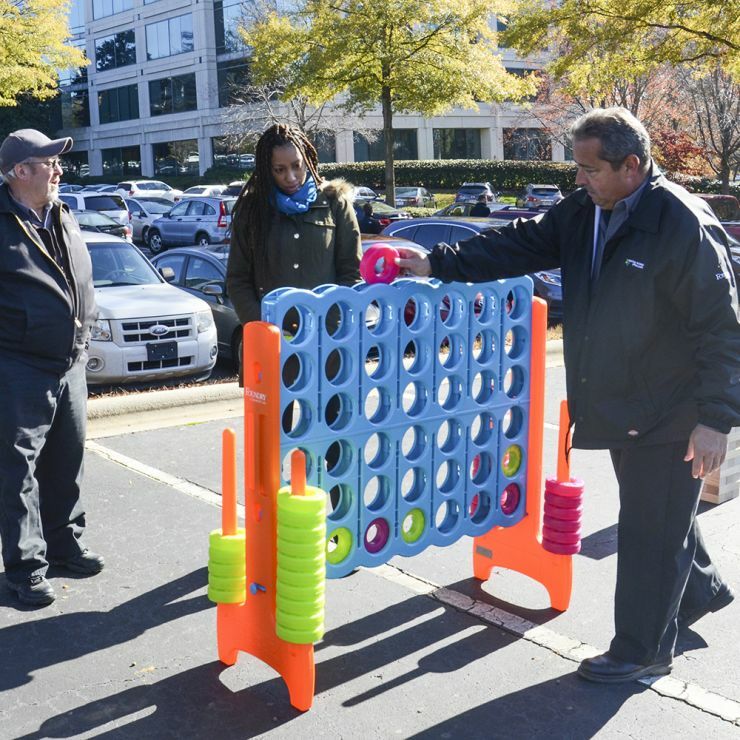 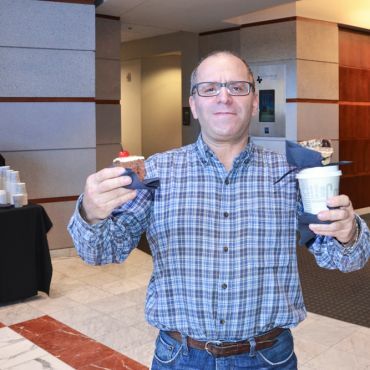 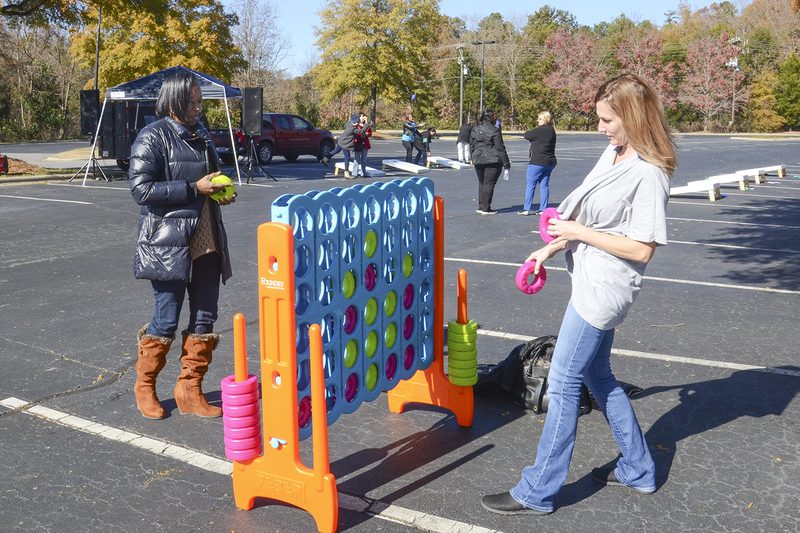 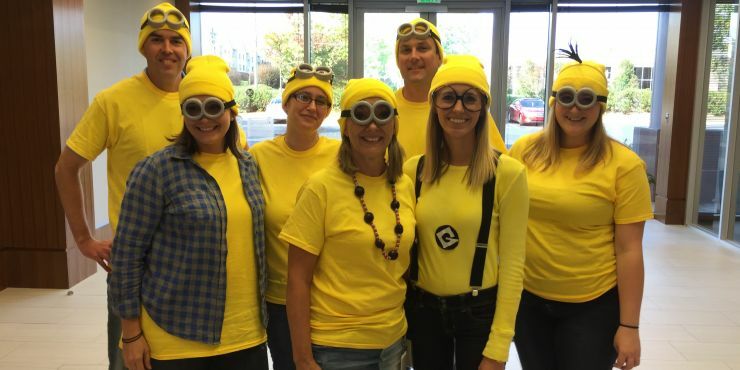 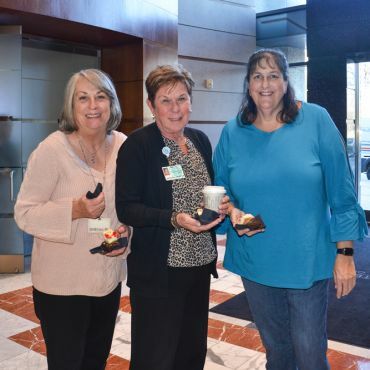 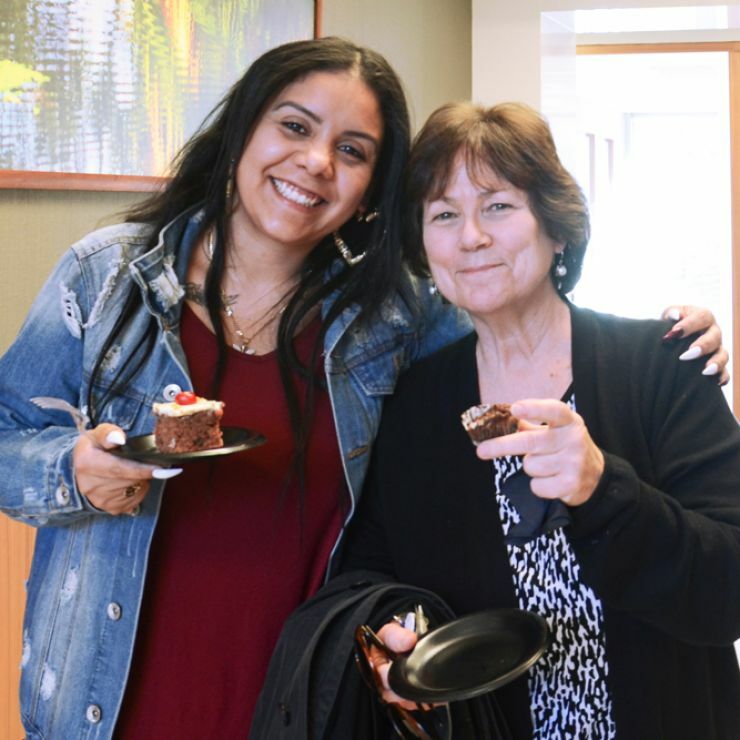 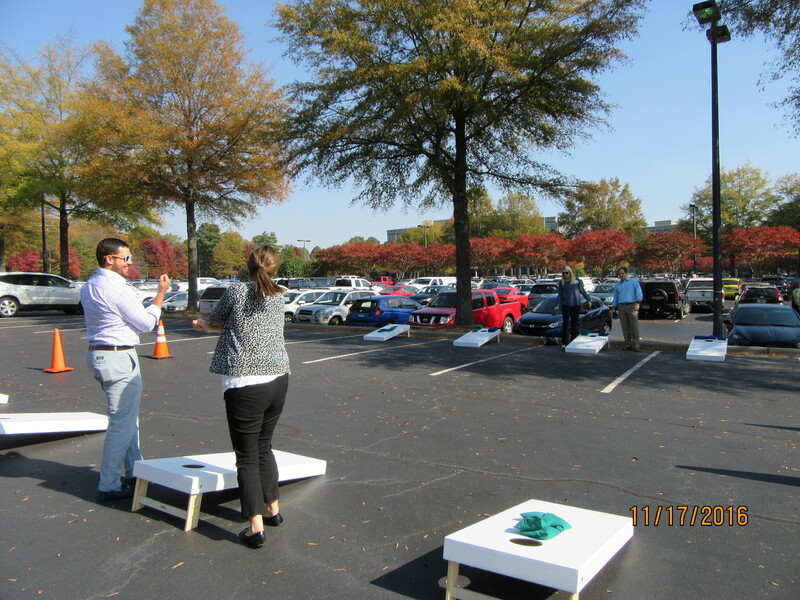 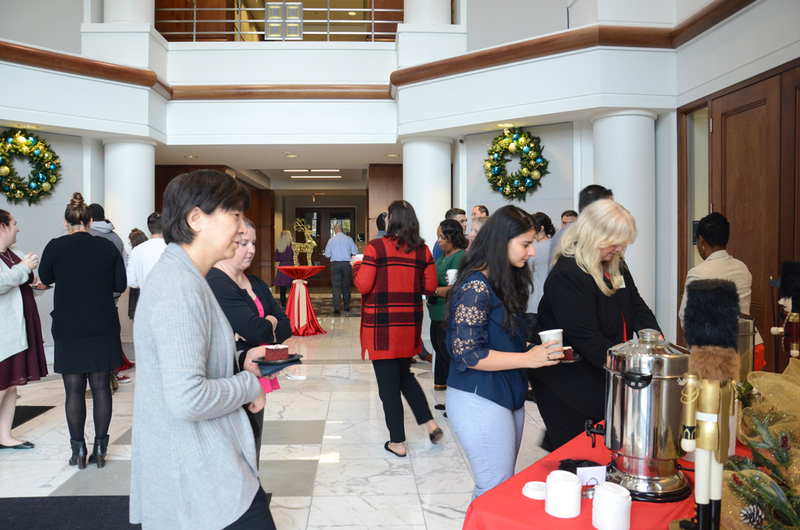 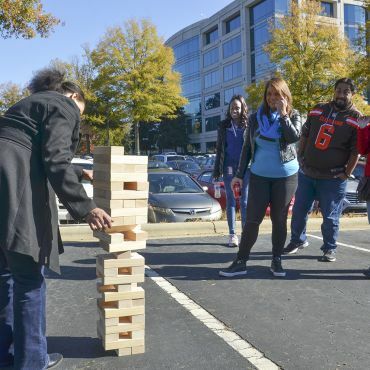 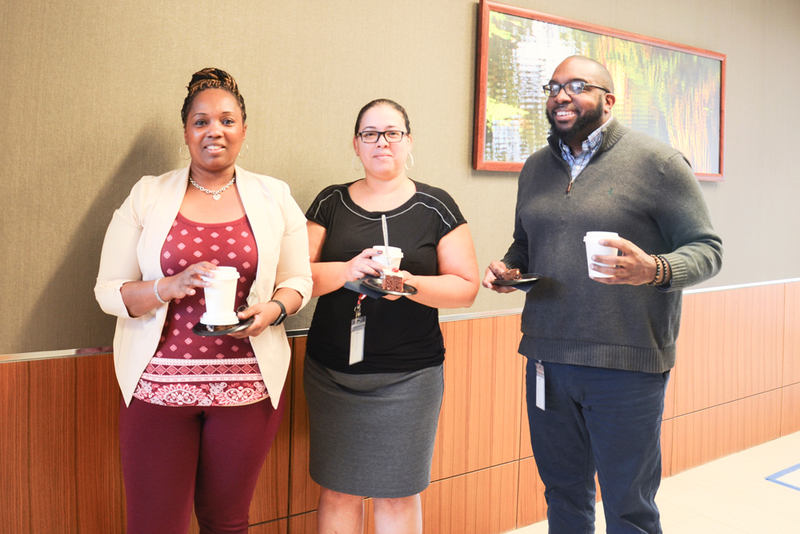 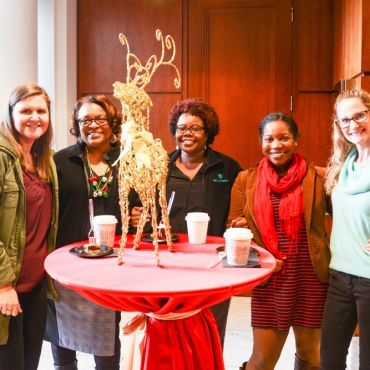 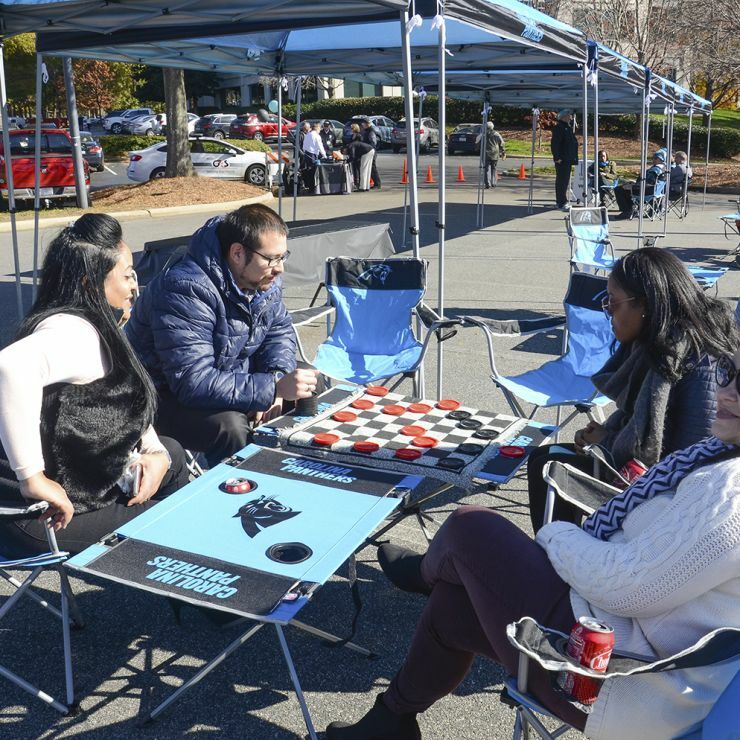 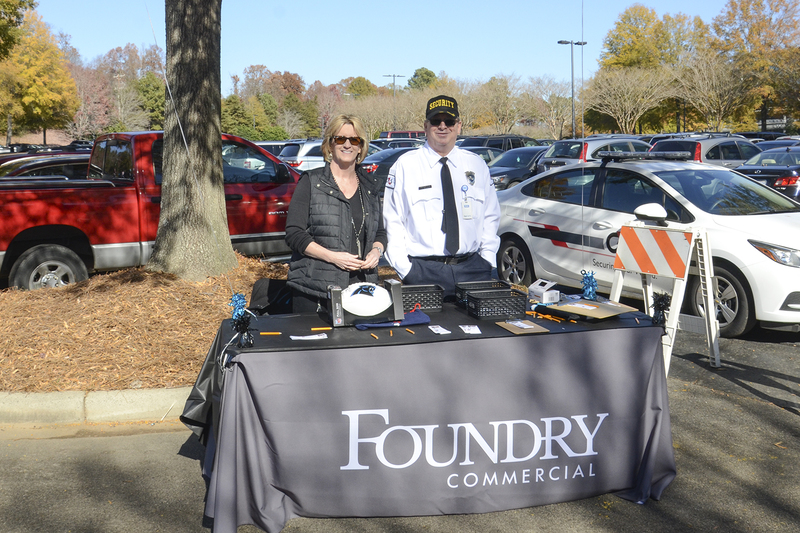 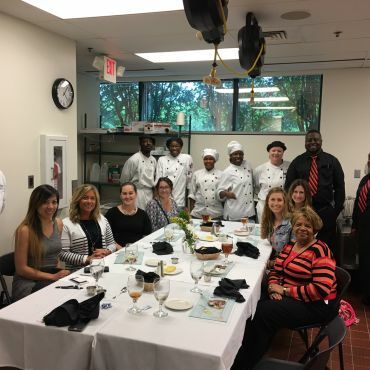 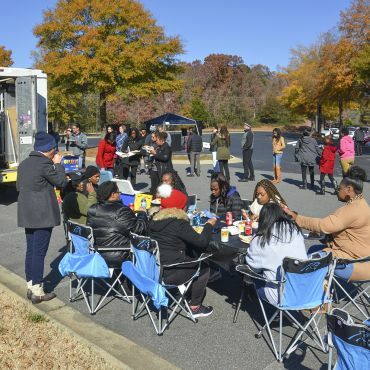 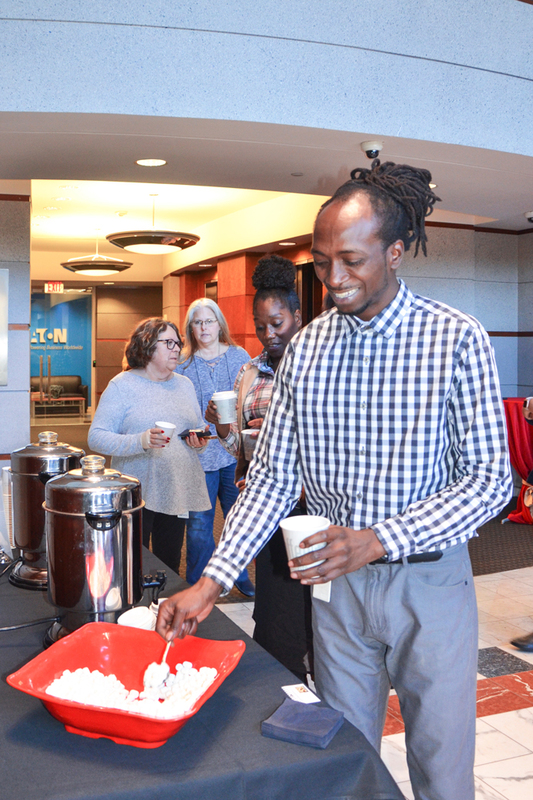 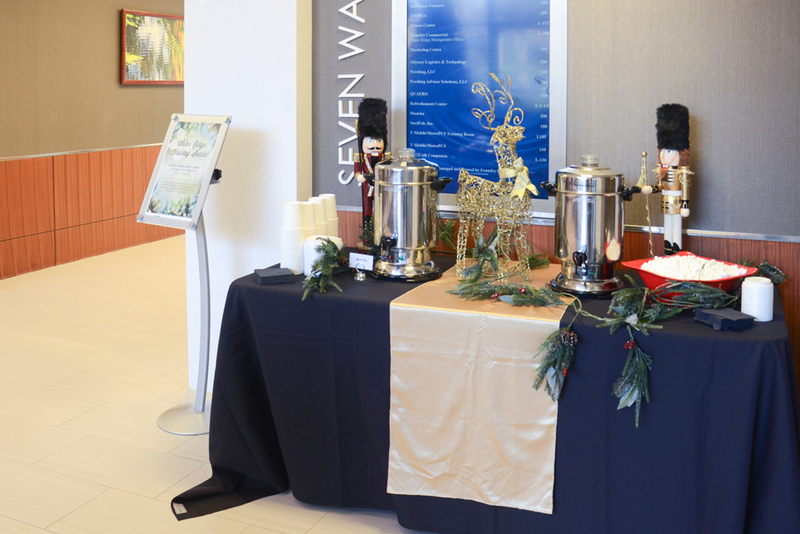 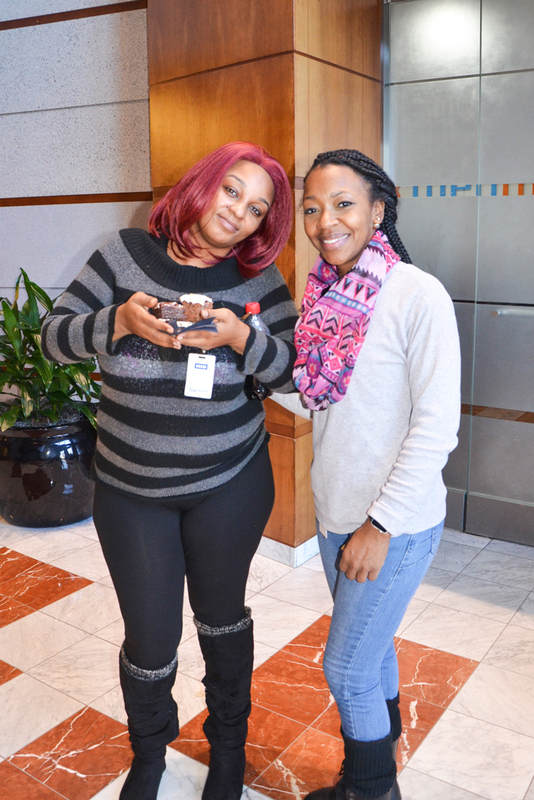 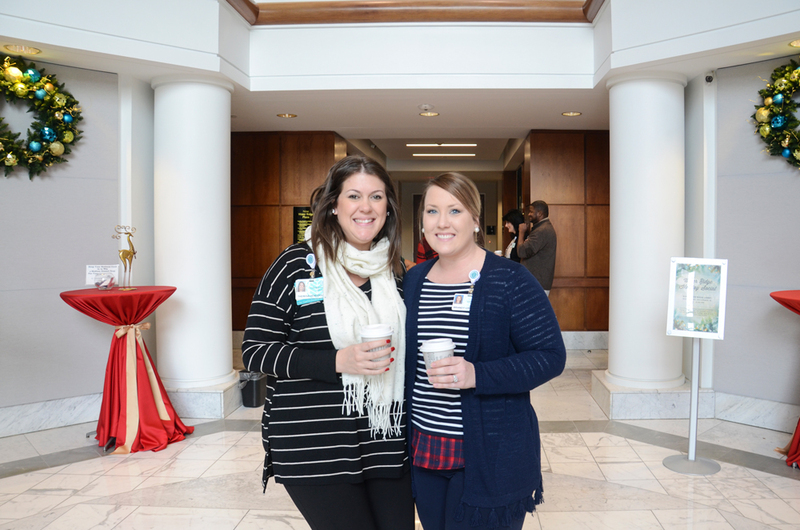 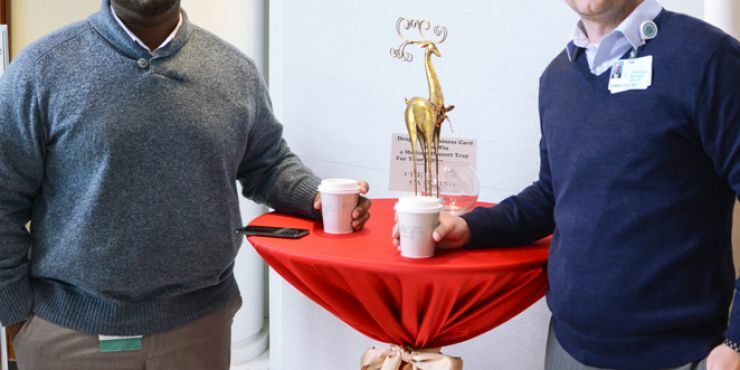 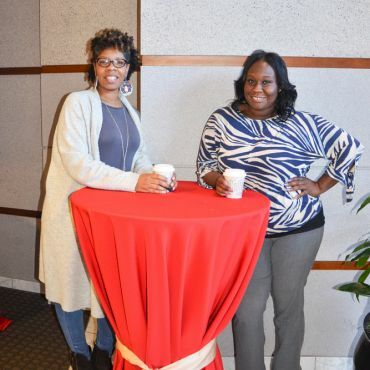 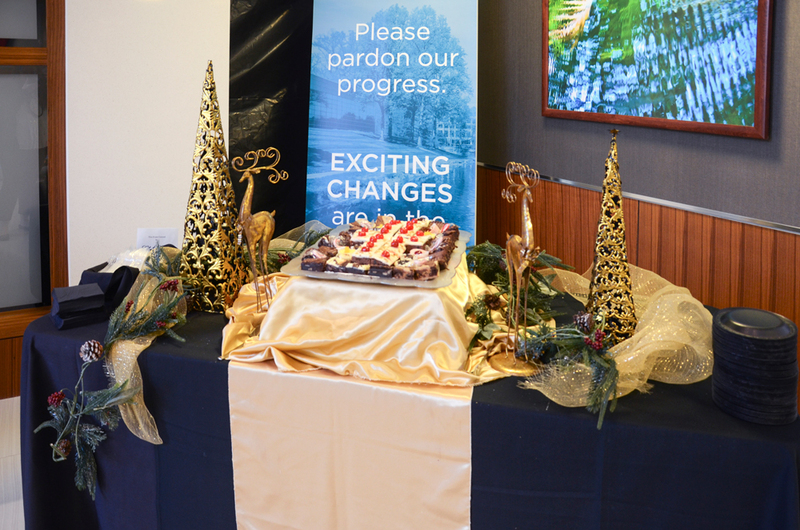 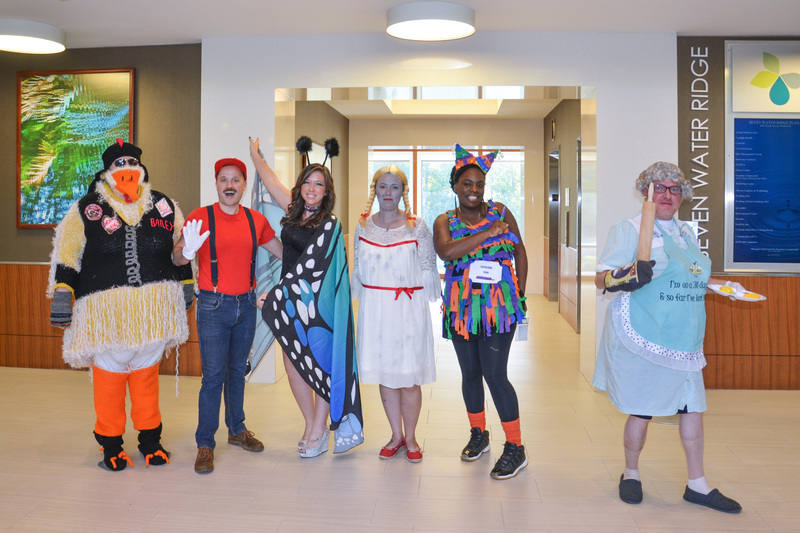 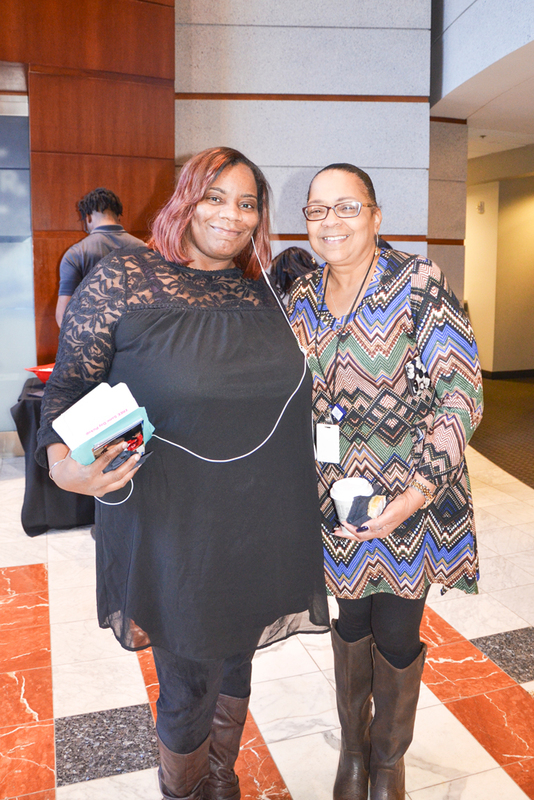 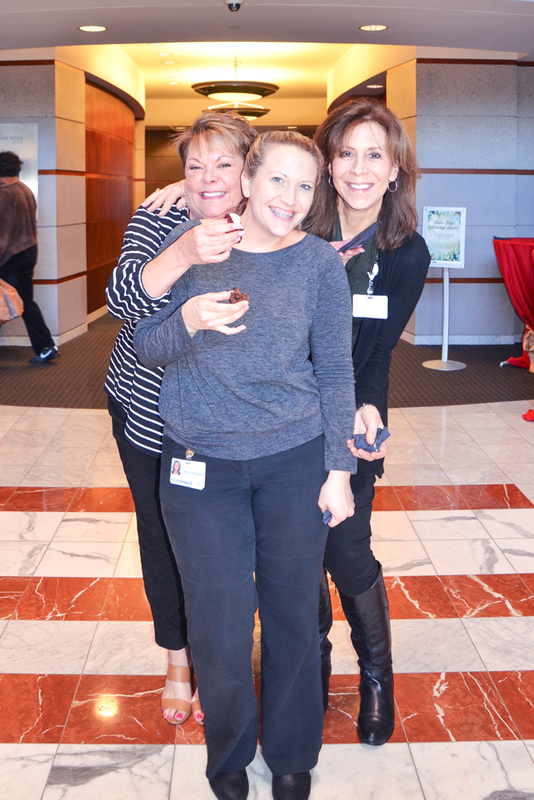 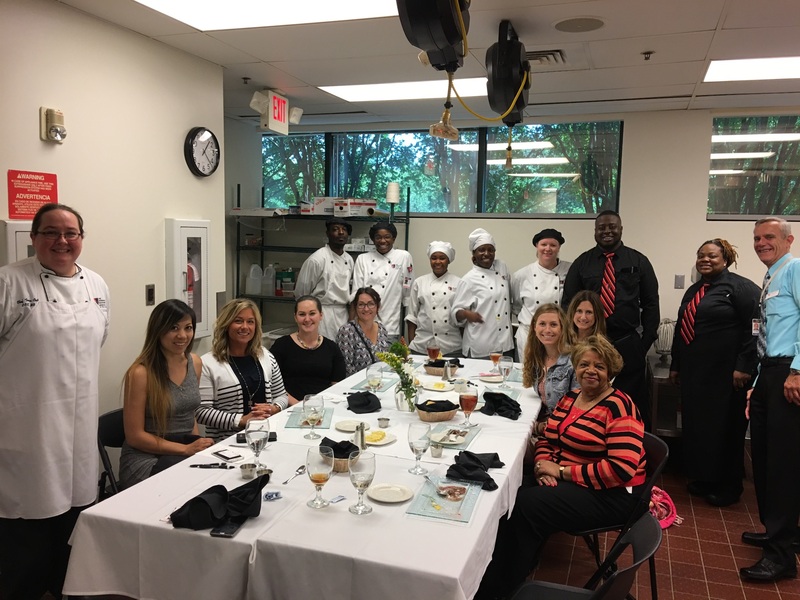 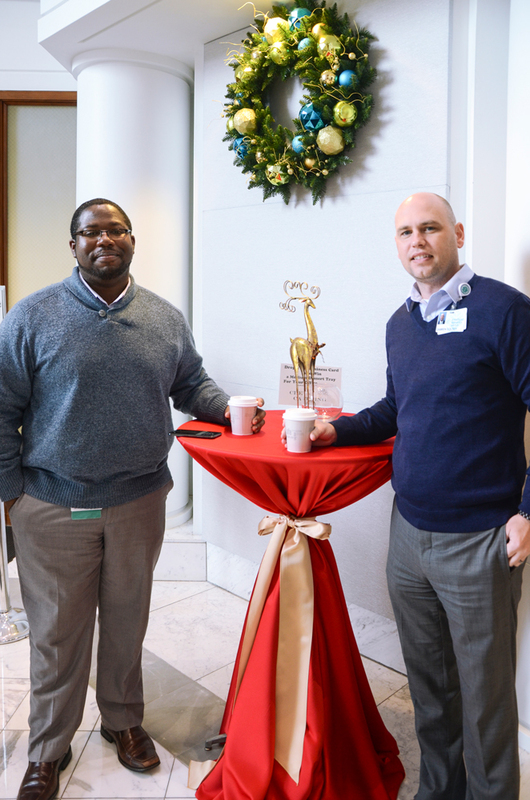 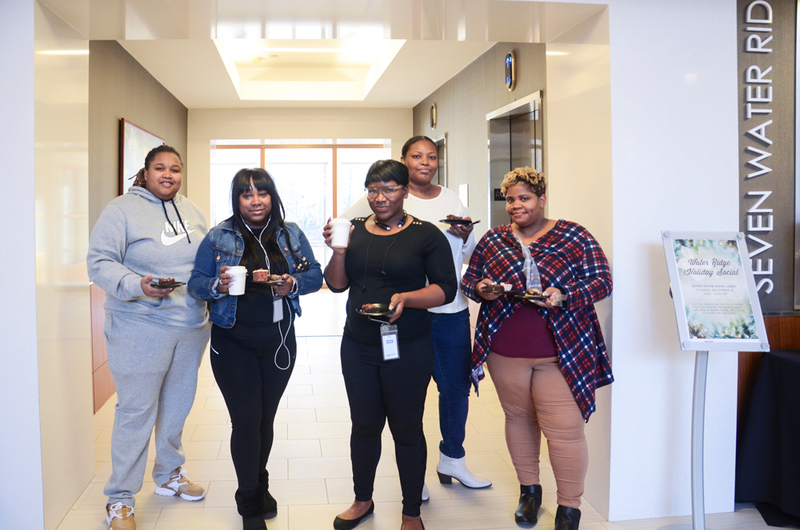 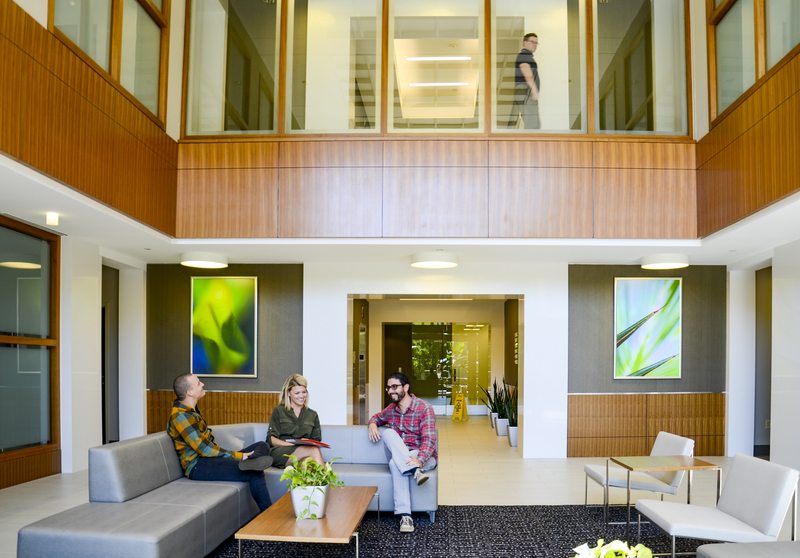 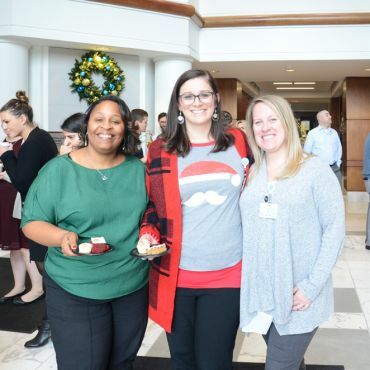 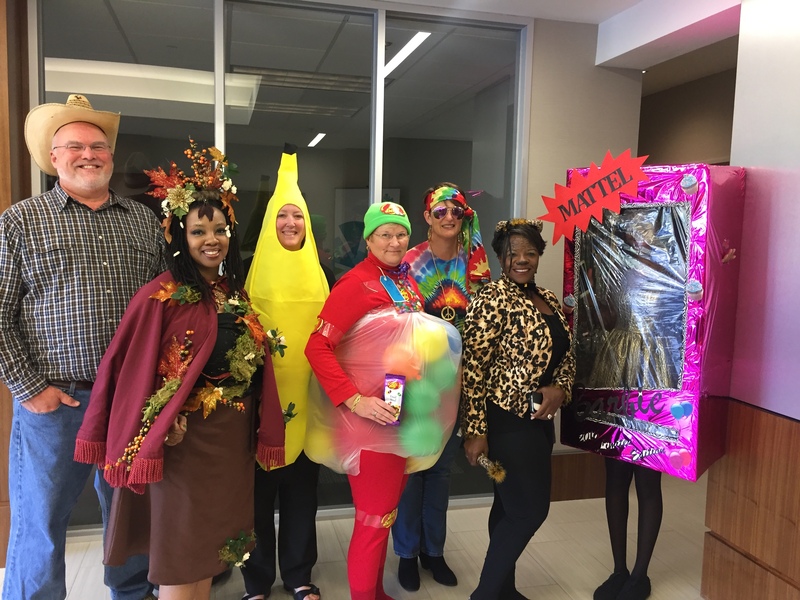 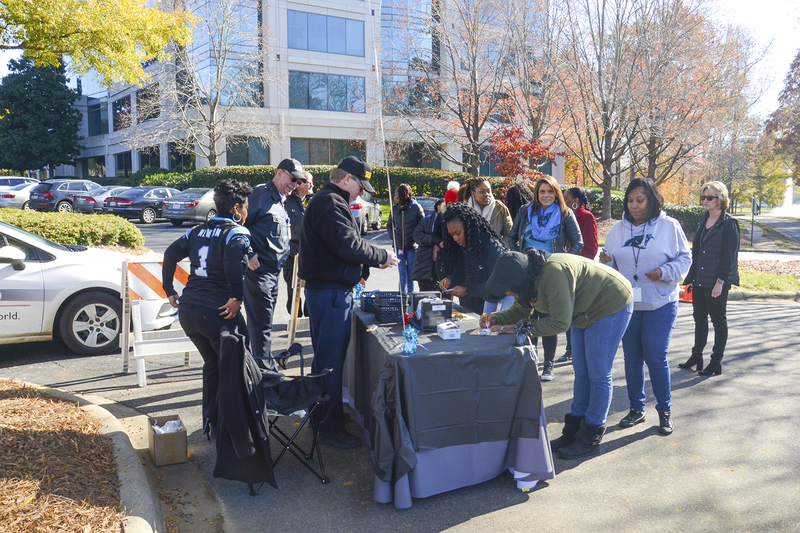 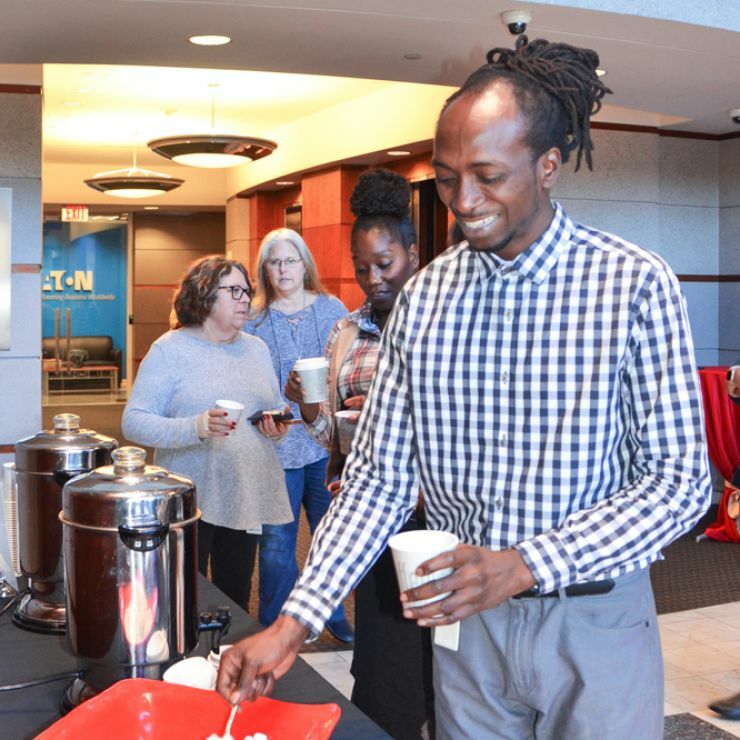 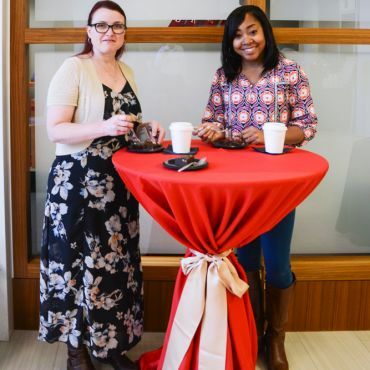 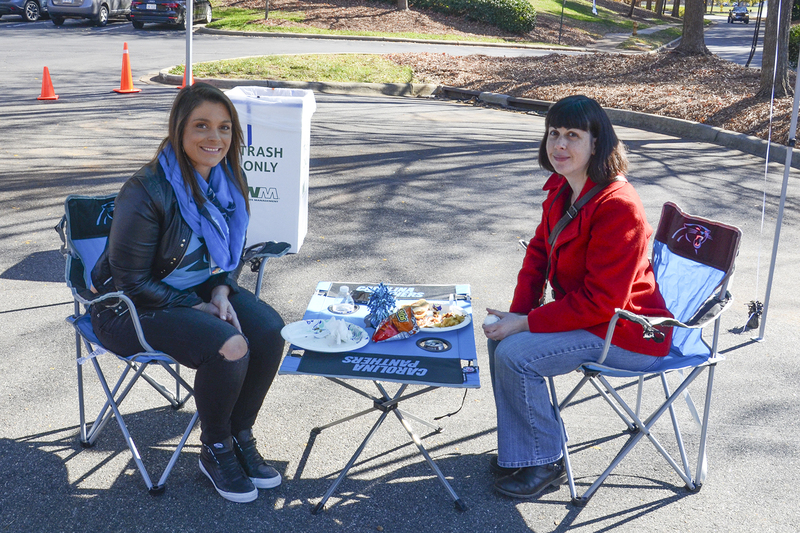 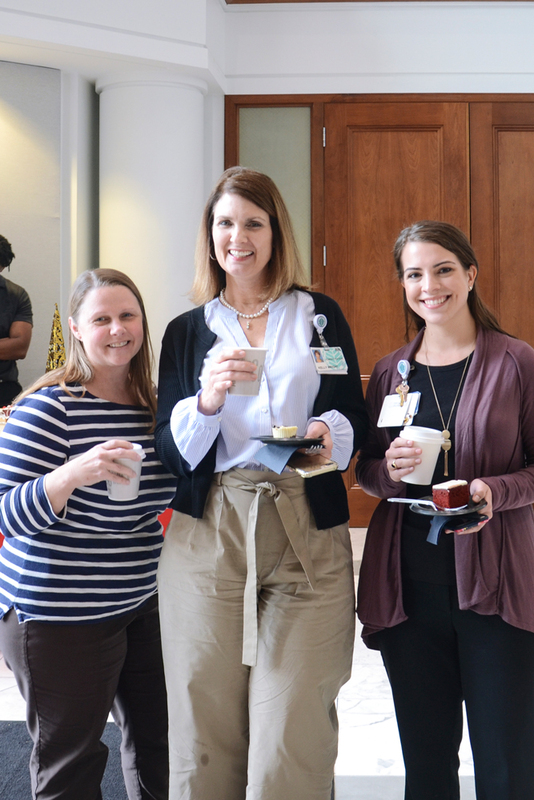 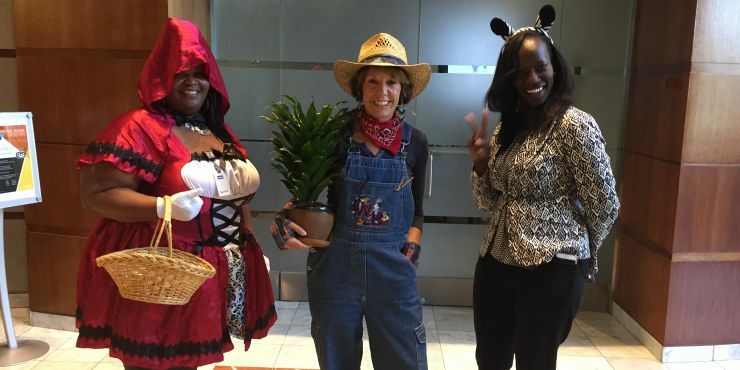 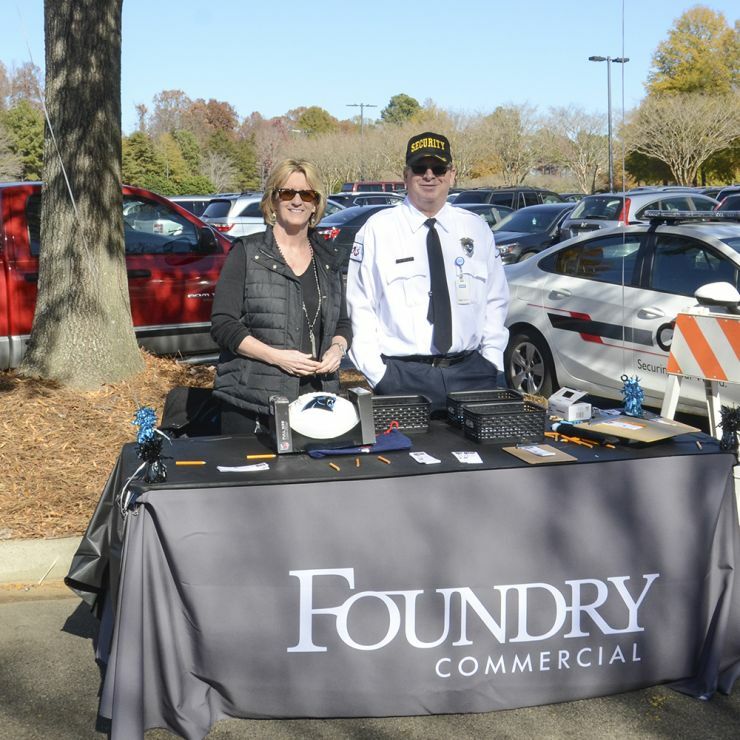 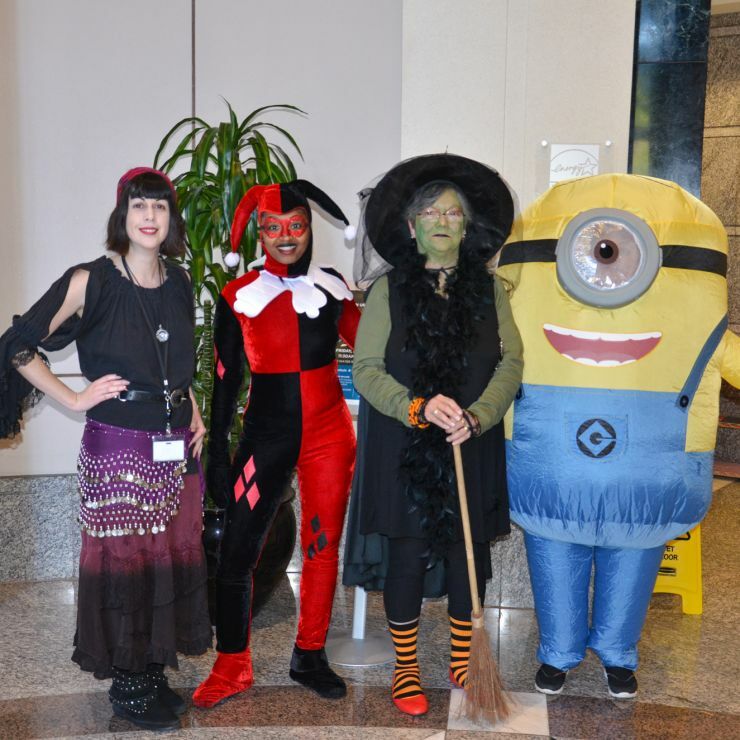 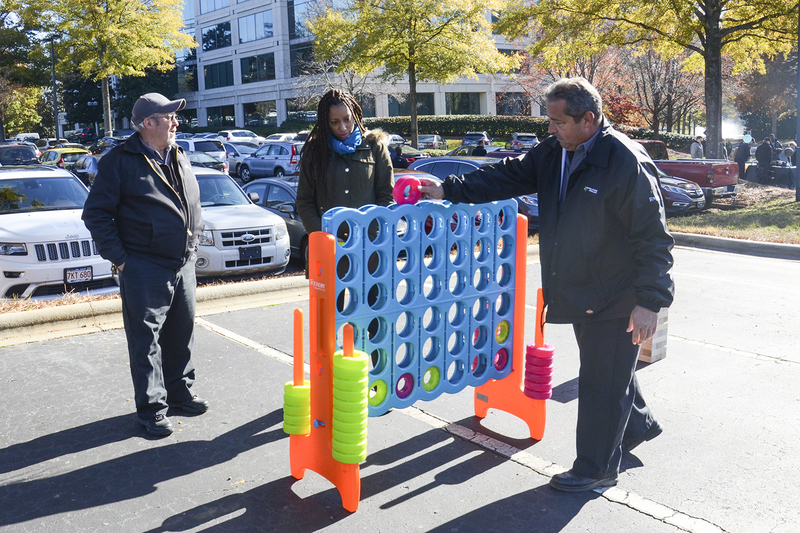 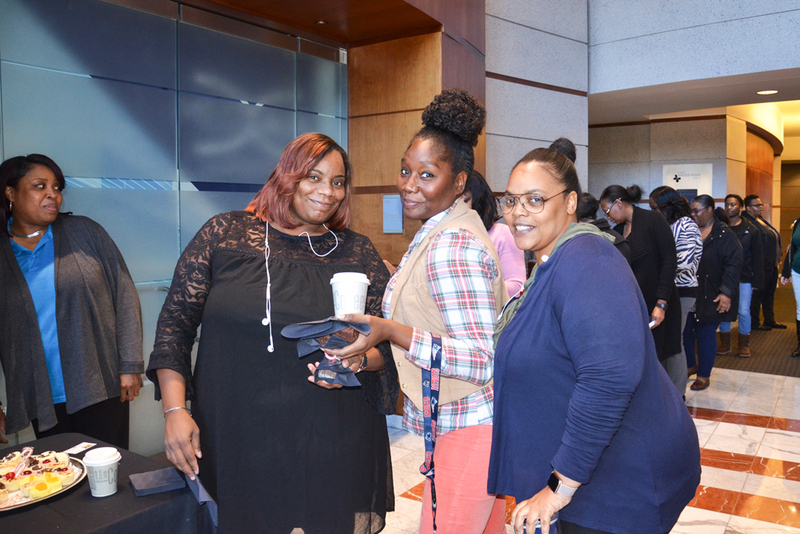 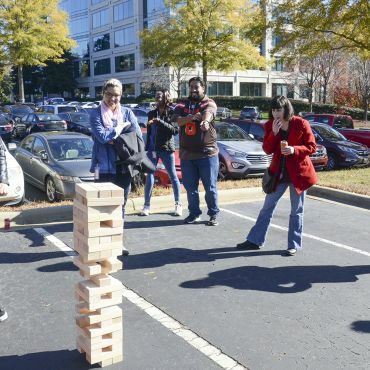 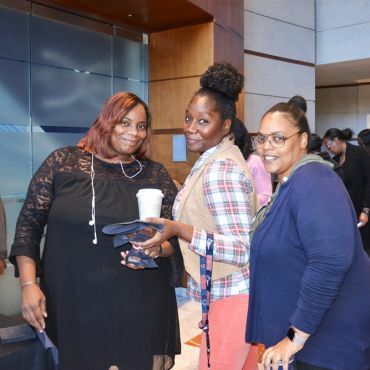 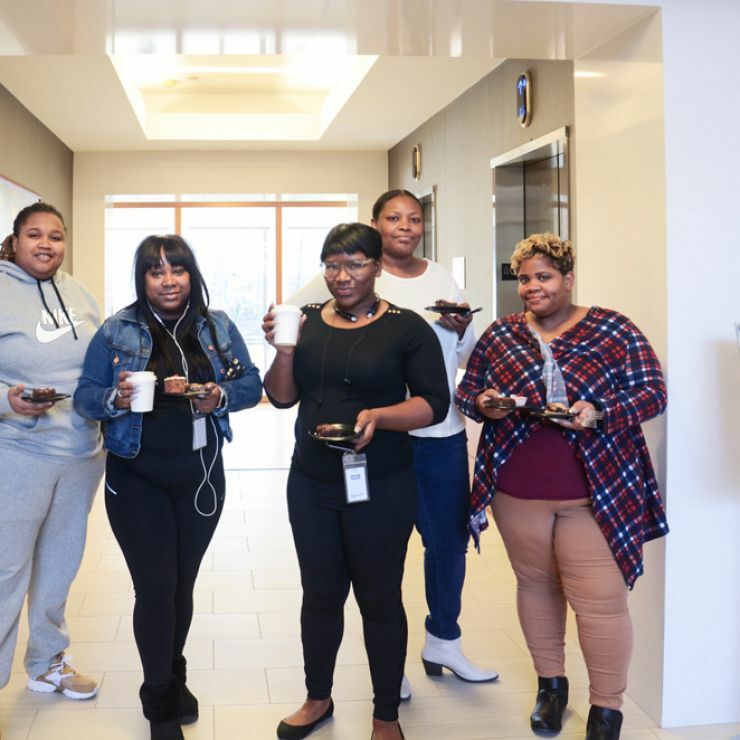 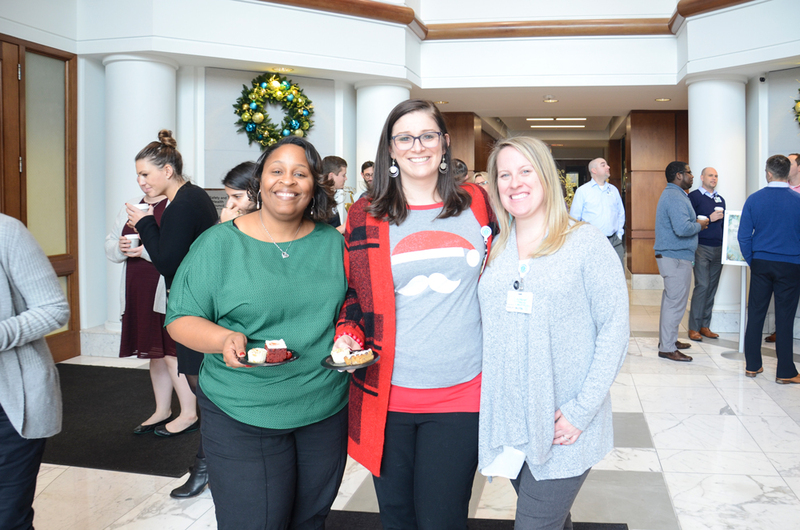 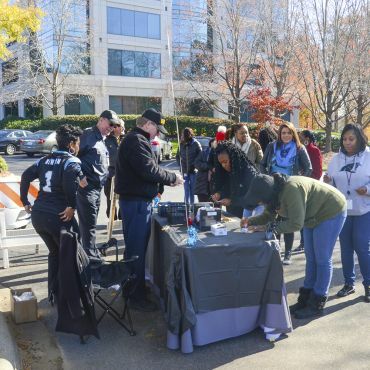 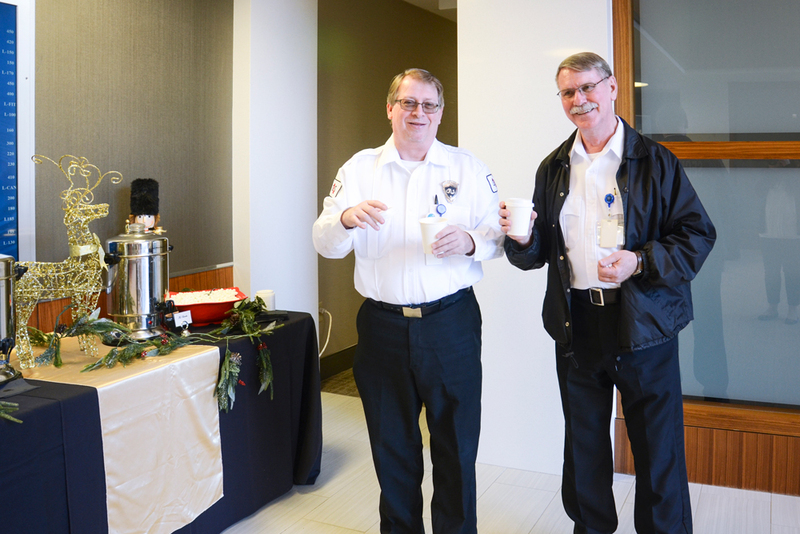 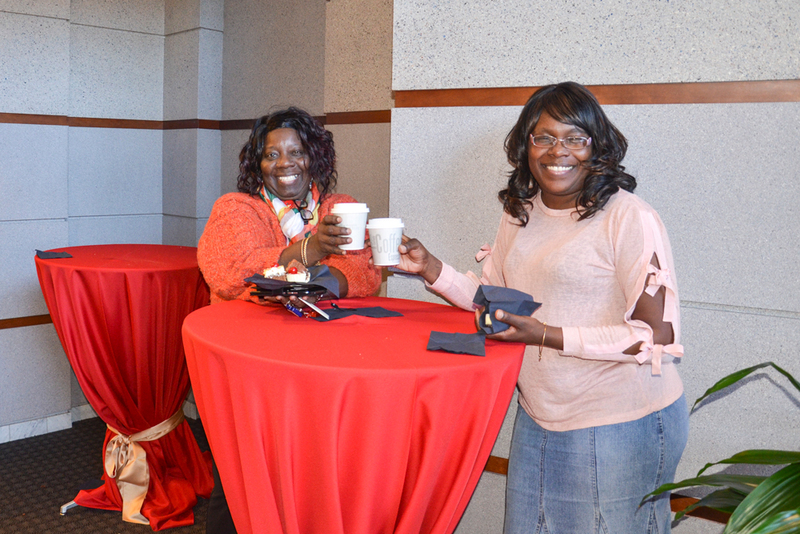 Throughout the year we host several fun events where you can mingle with people in other office buildings, enjoy delicious food and live music, and play games. 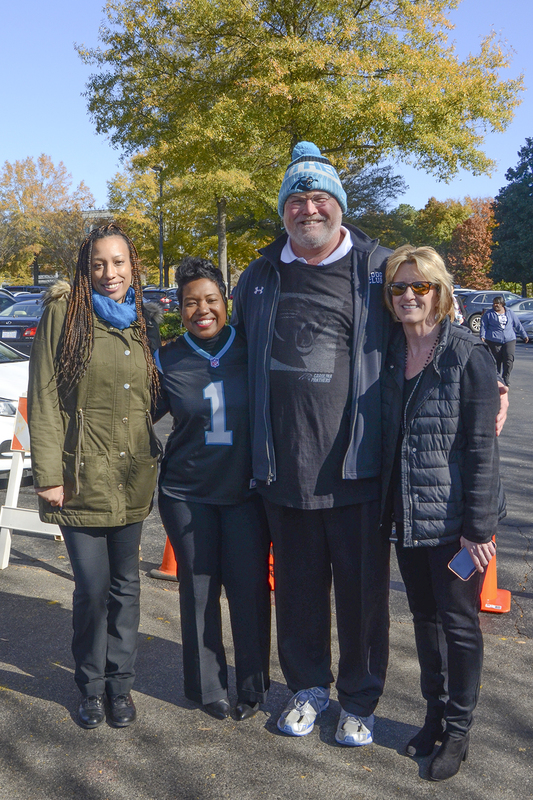 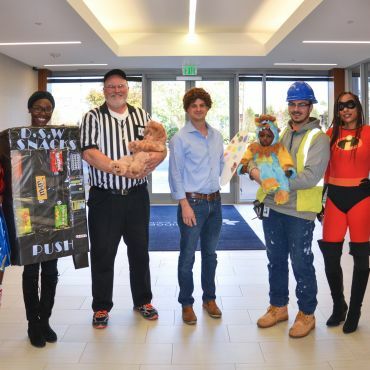 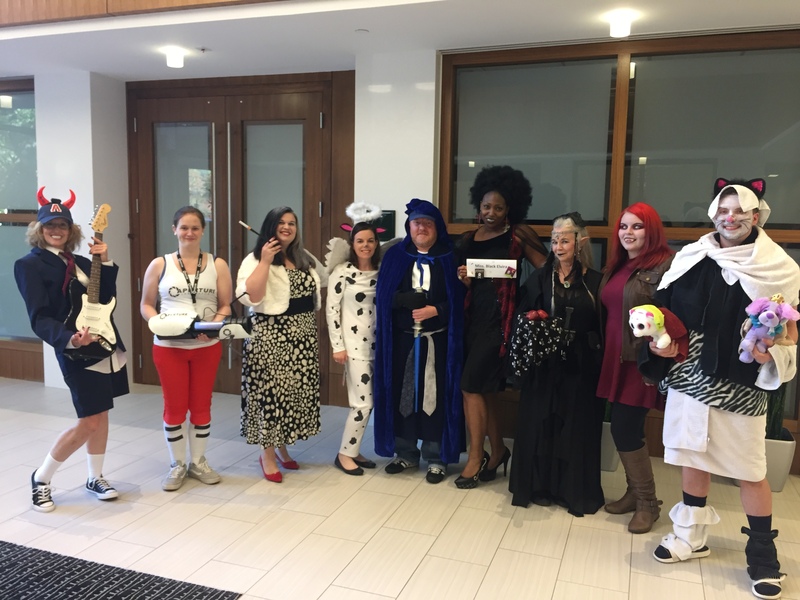 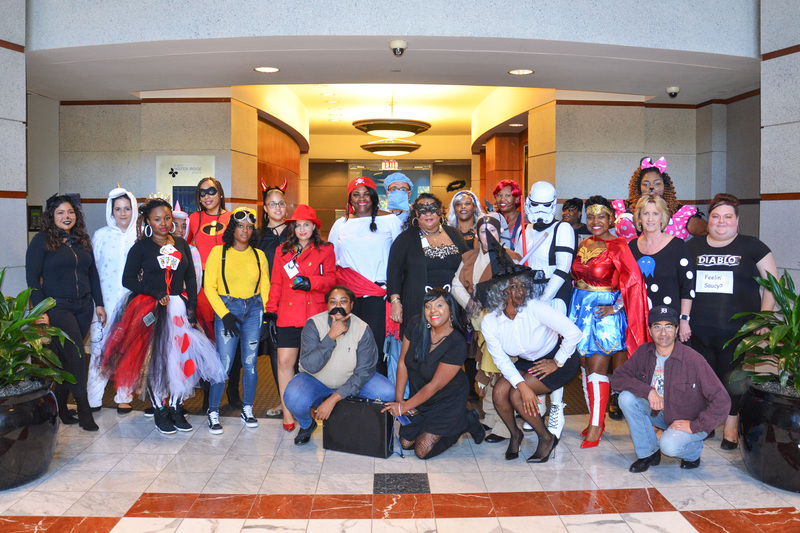 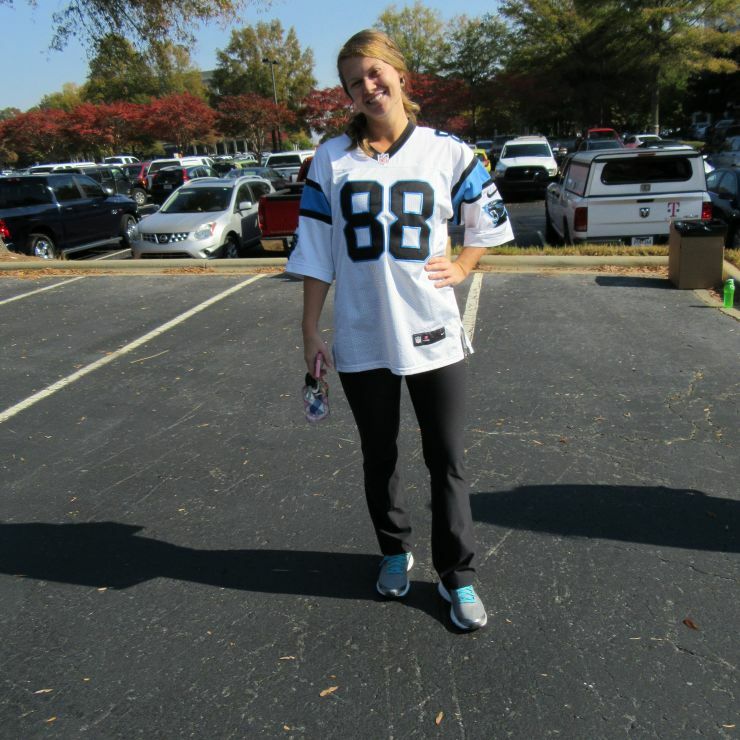 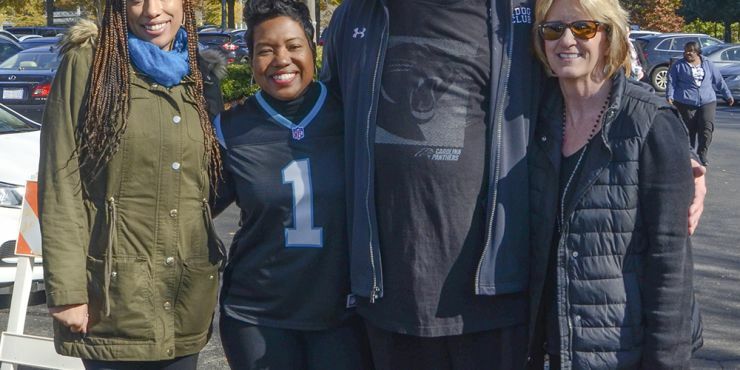 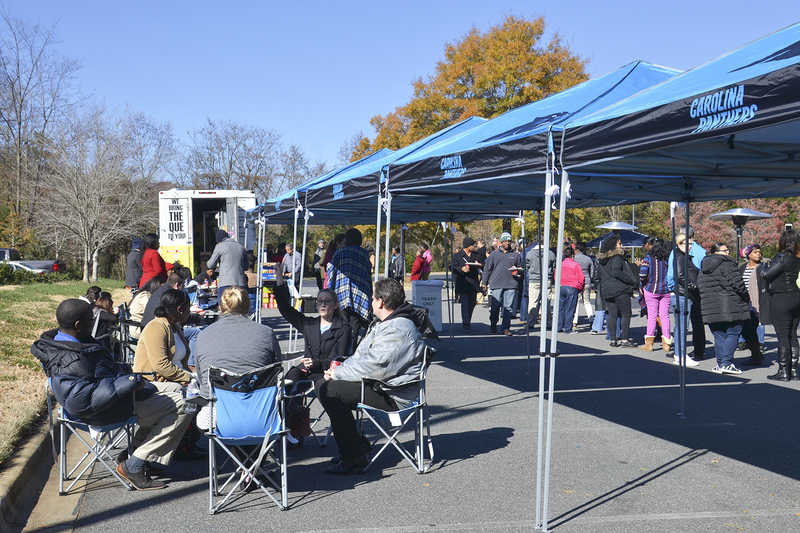 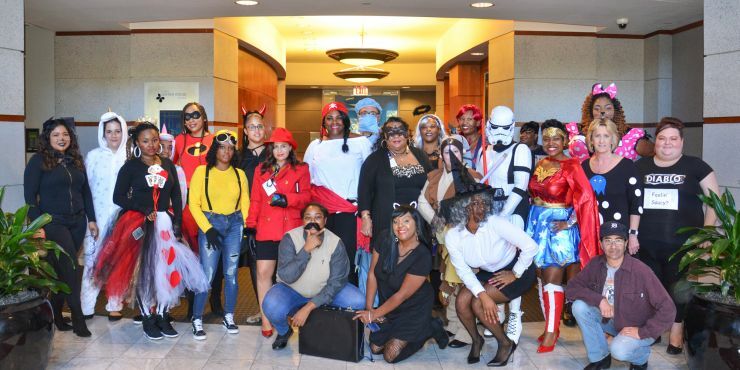 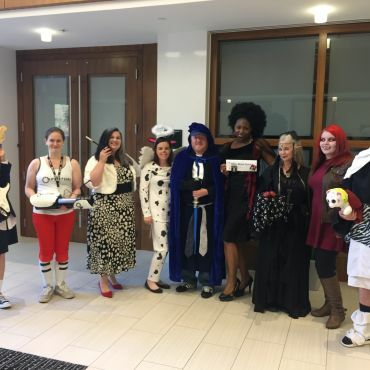 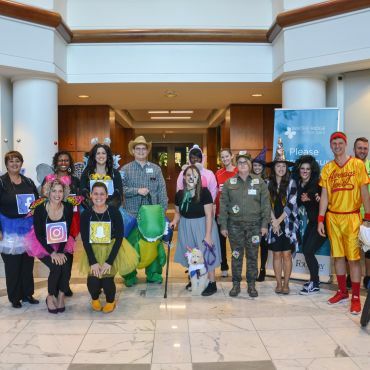 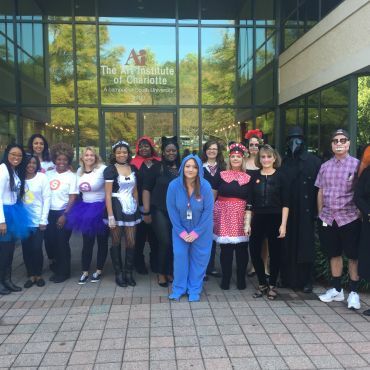 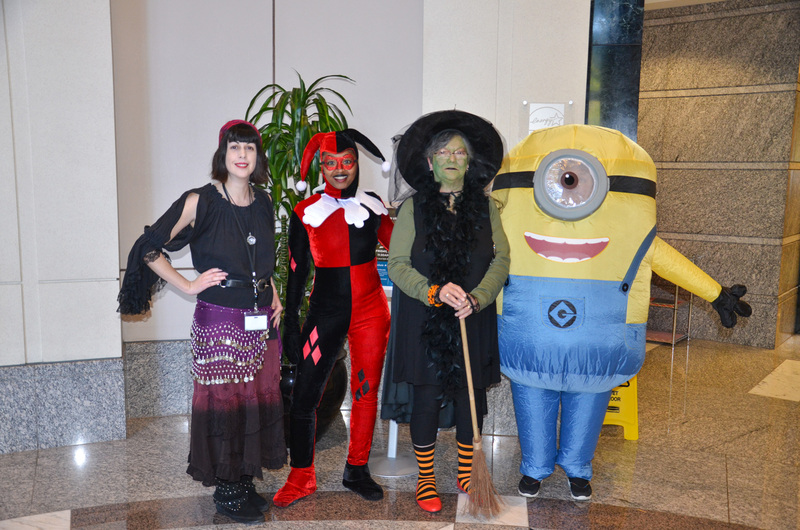 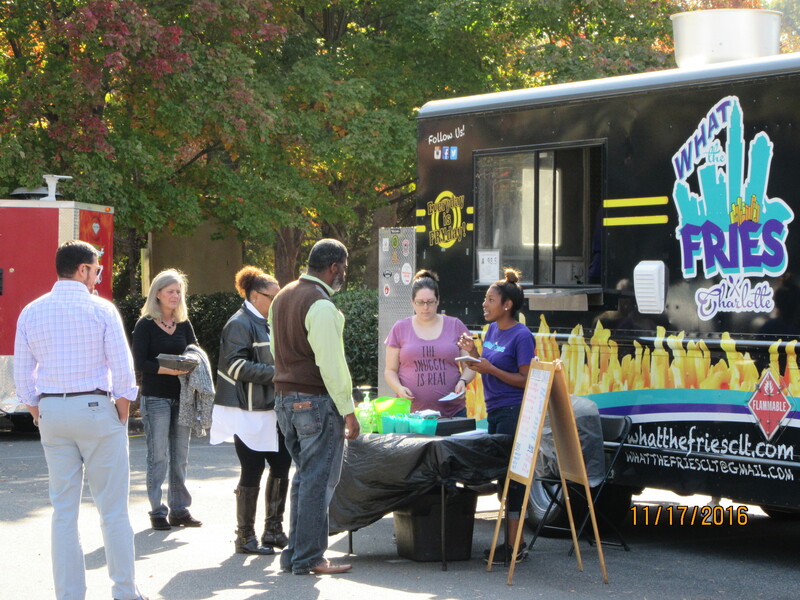 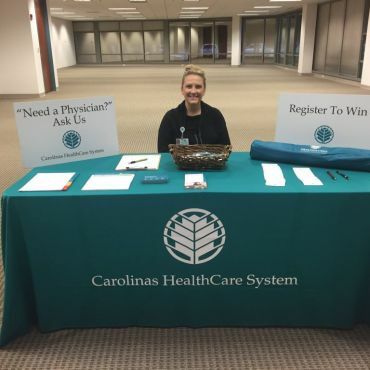 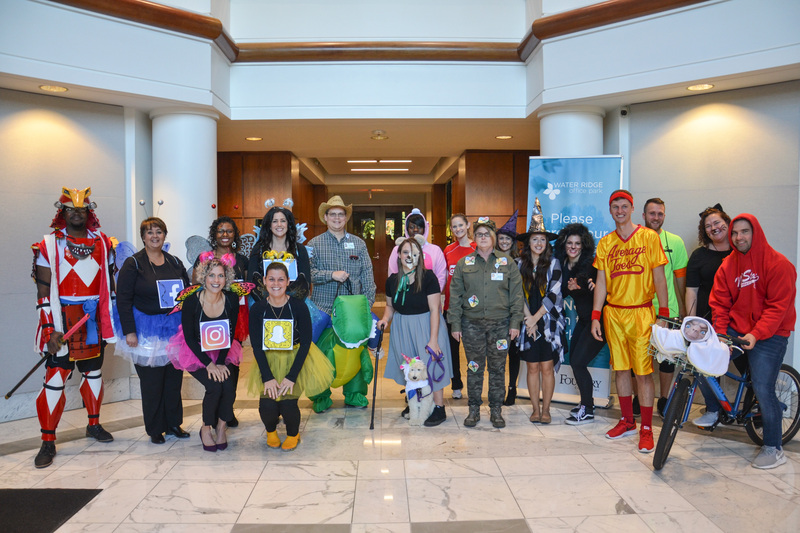 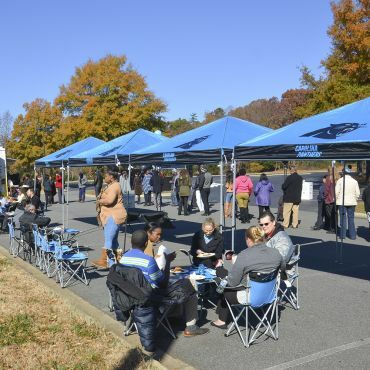 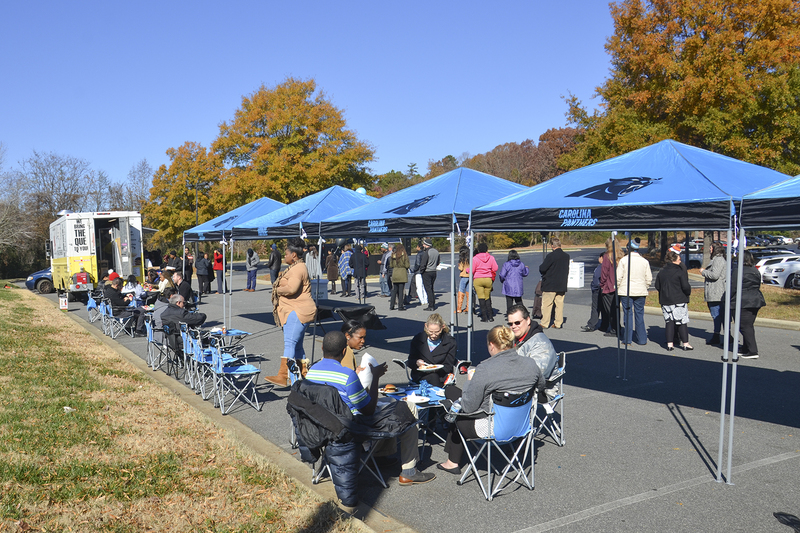 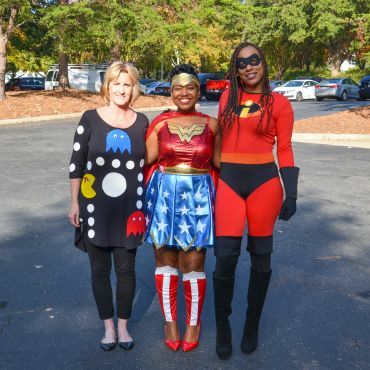 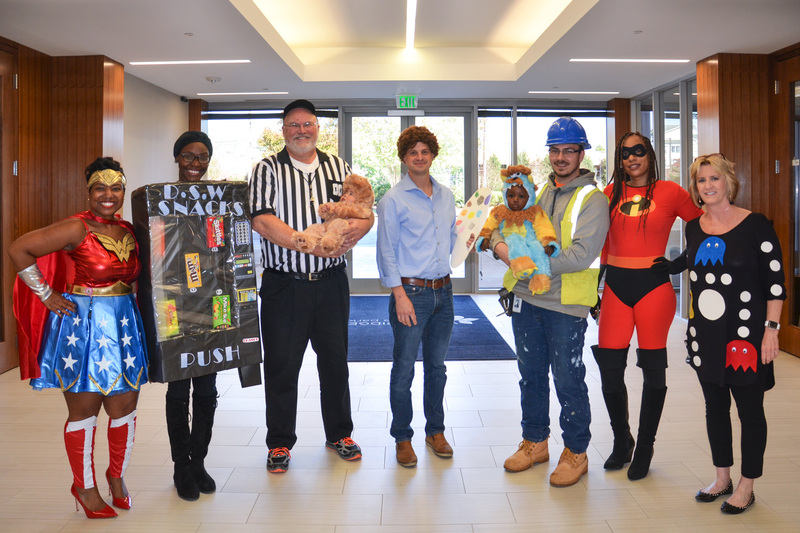 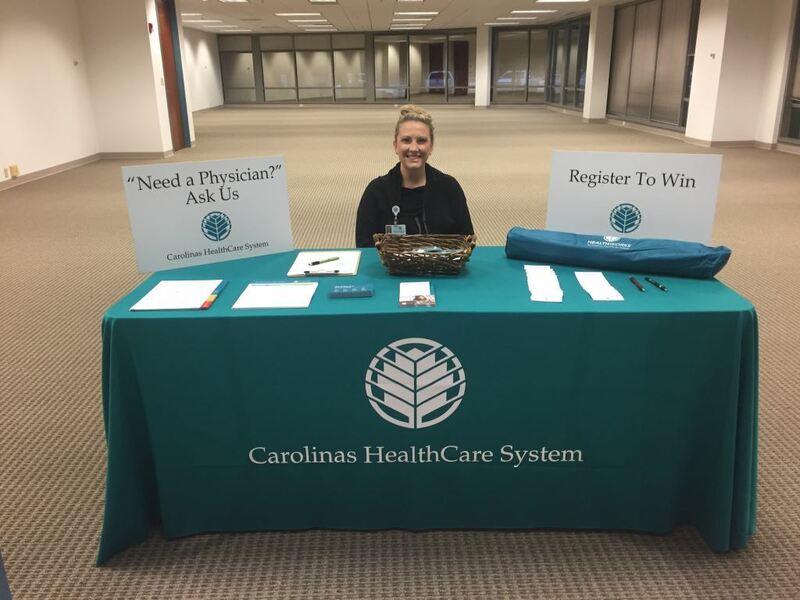 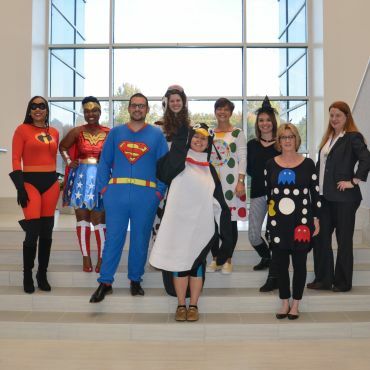 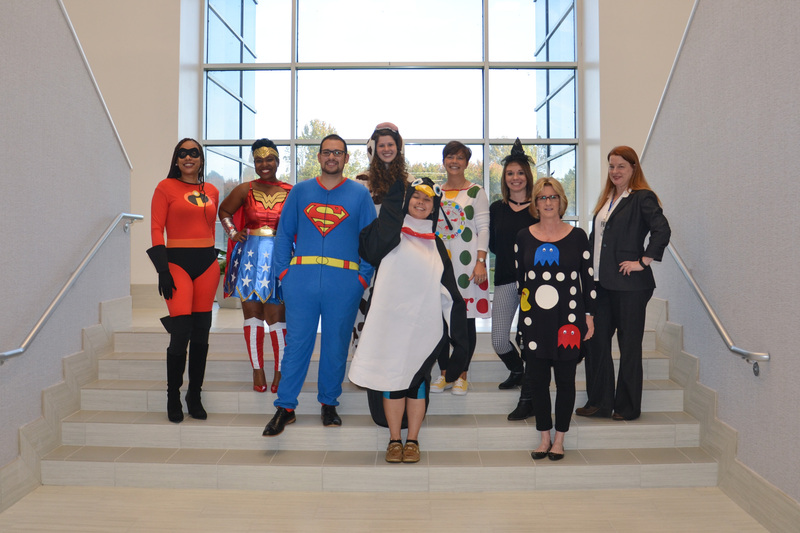 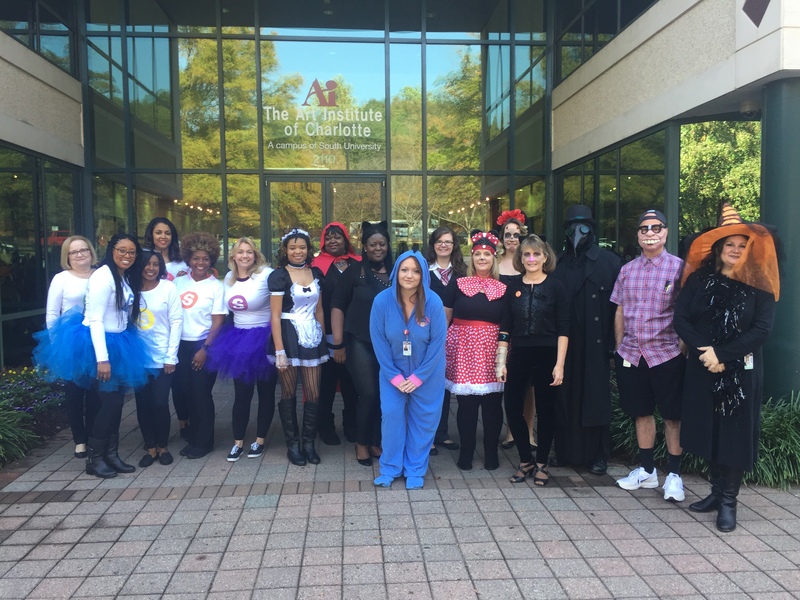 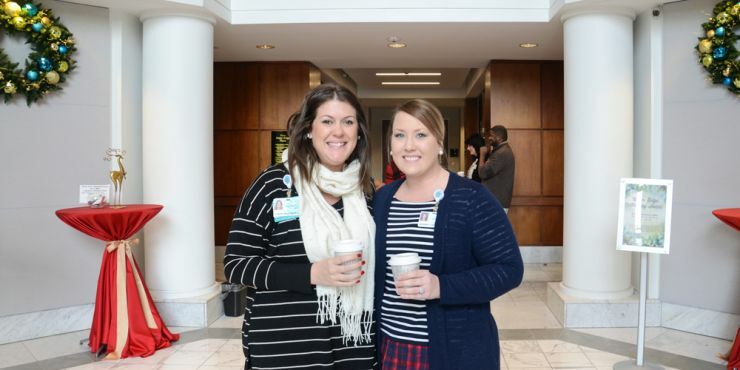 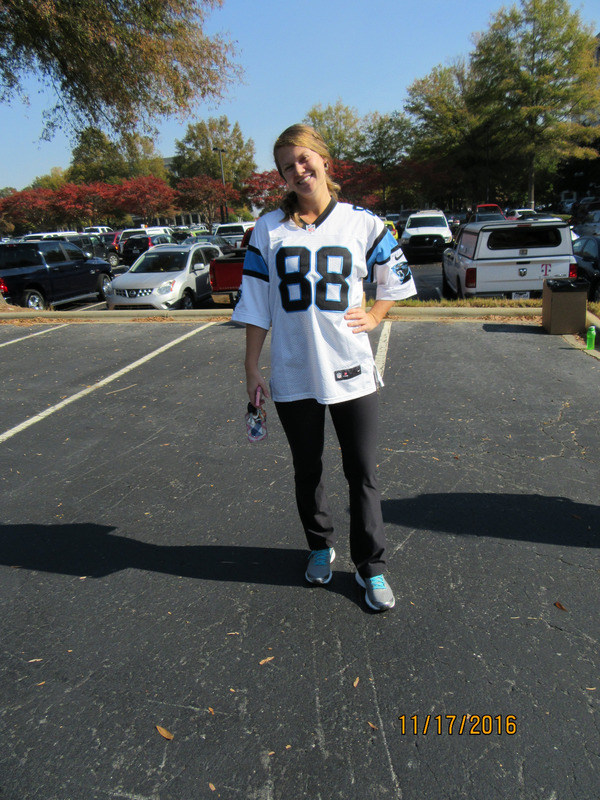 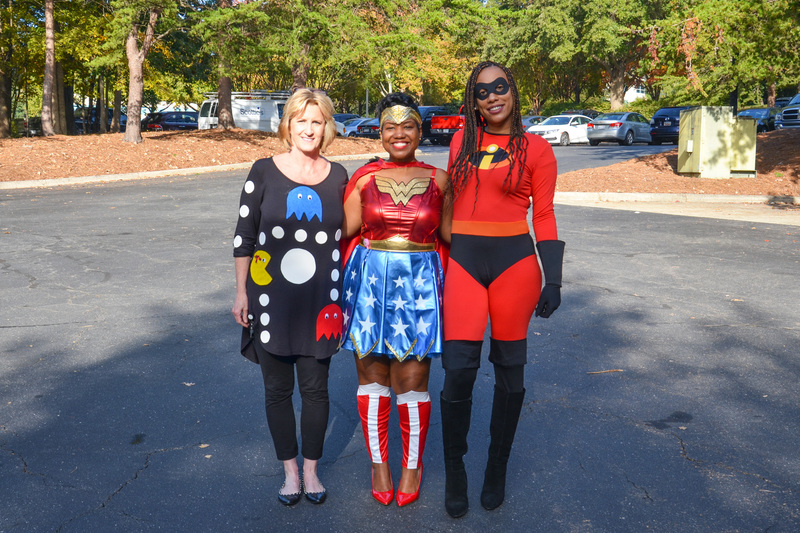 Our unique events include Book Fairs, Summer Block Party, Carolina Panthers Tailgate, Halloween Costume Contest, holiday socials, and more! 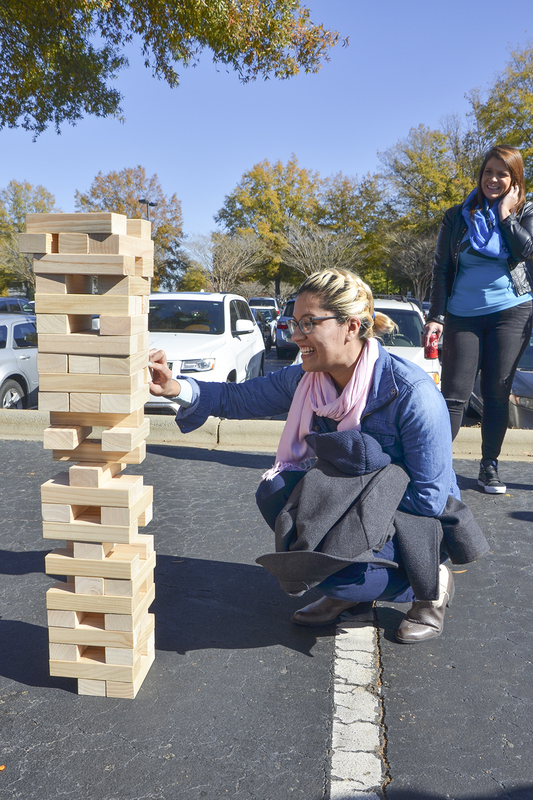 Make sure to keep an eye on our event calendar for all the latest information! 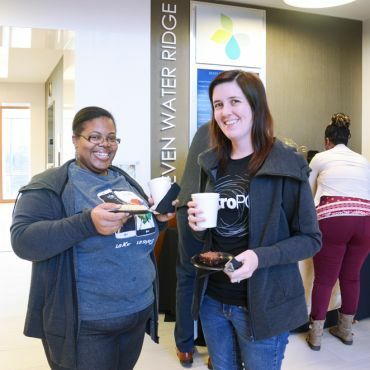 To thank you for being a part of Water Ridge, we've created a special Rewards program! 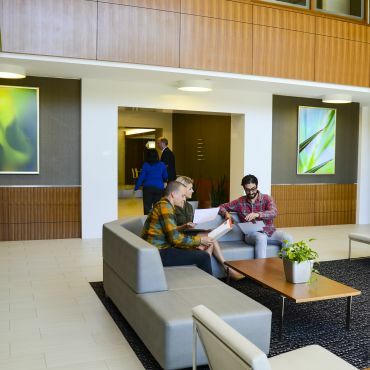 Tenants receive discounted rates at the Hyatt Place hotel on Tyvola Road, Bedder Bedder & Moore, Coffey Creek Cafe, Jocks & Jills Sports Grill, and Canteen Vending. 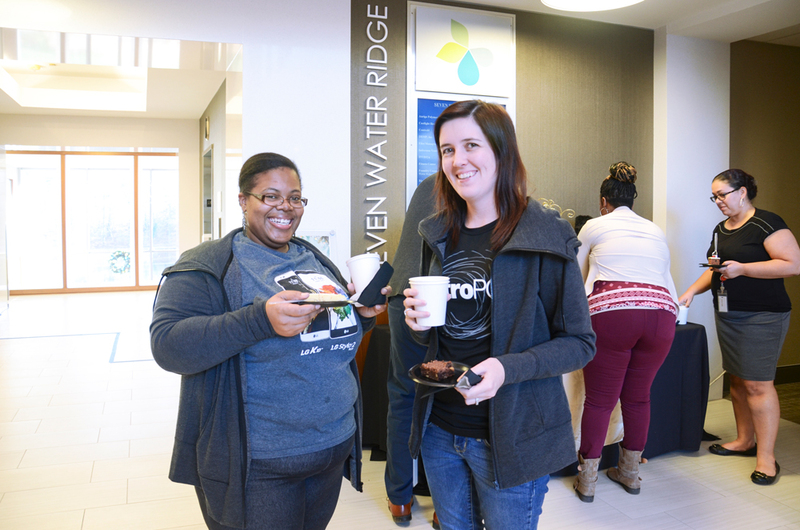 CityPark View Apartments is offering a Preferred Employee Program where Water Ridge tenants can get one month FREE rent! 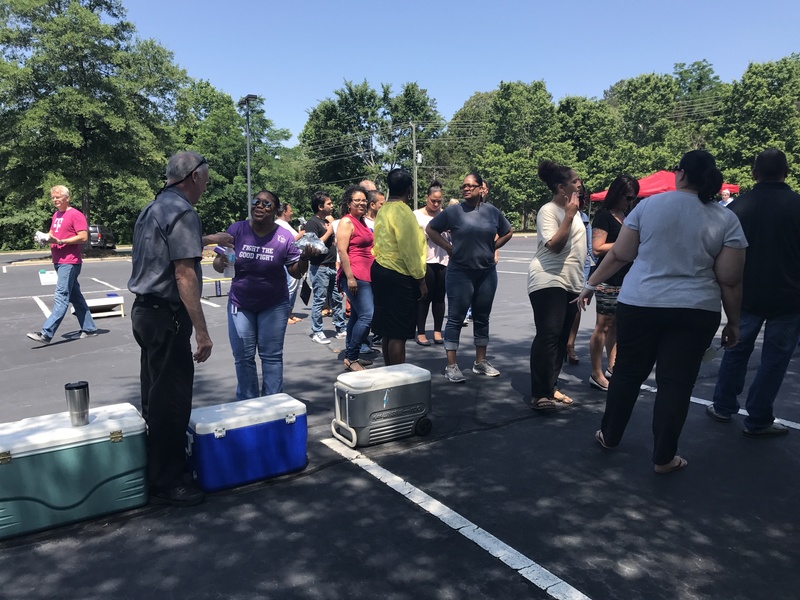 For more information, please contact Imrah Grippo at (704) 357-3335. 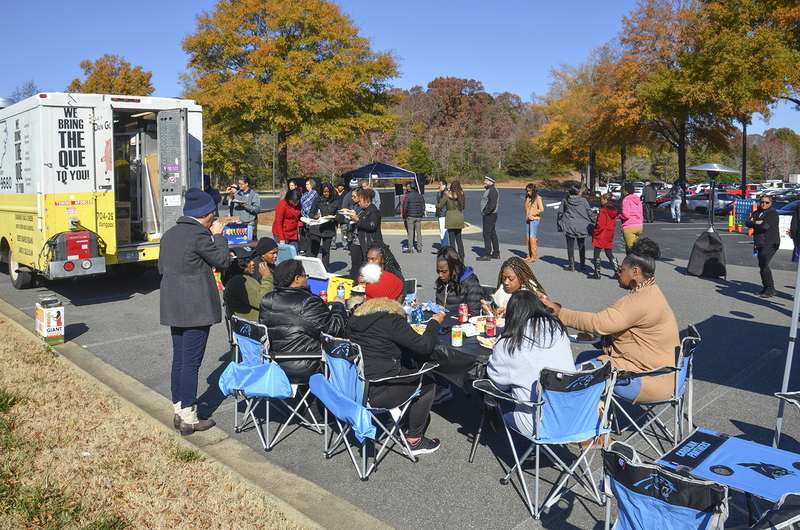 Spiffy Carwash is also on-site every Monday to provide a mobile carwash and detail service should your car need a little TLC. 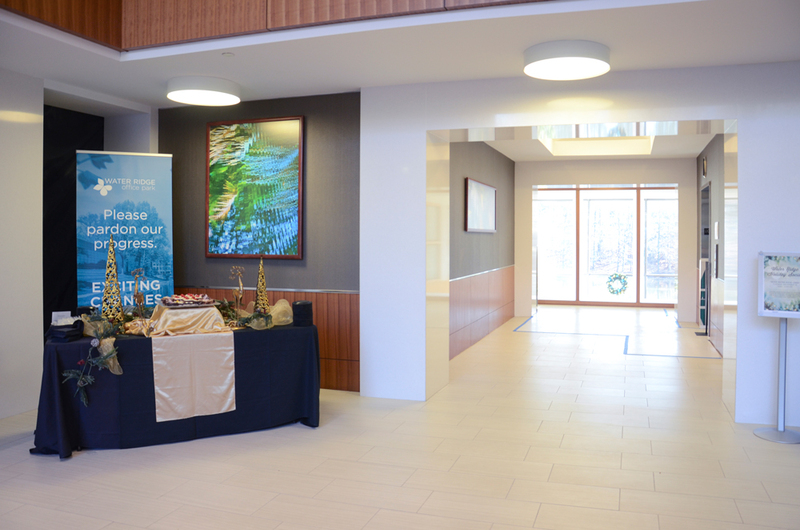 Now you can also drop off your dry cleaning on-site! 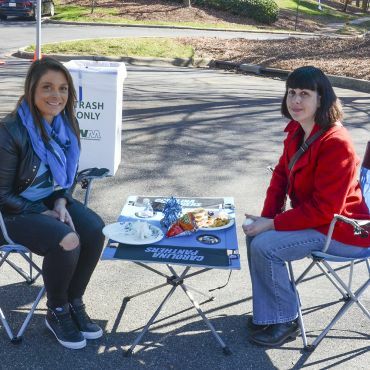 Cave Dwellers Dry Cleaning has dropboxes in 2 and 7 Water Ridge. 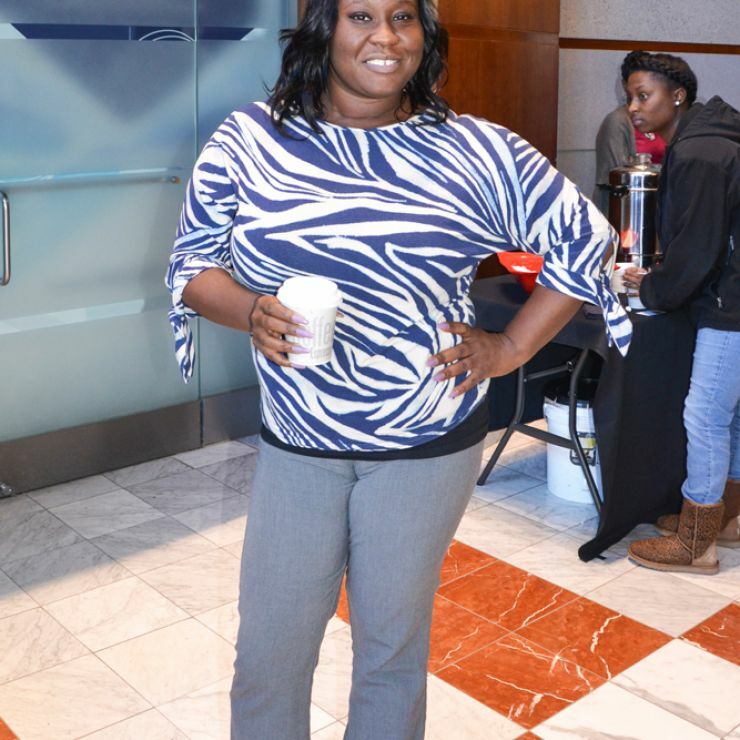 Simply fill out a form and leave your garments to be picked up. 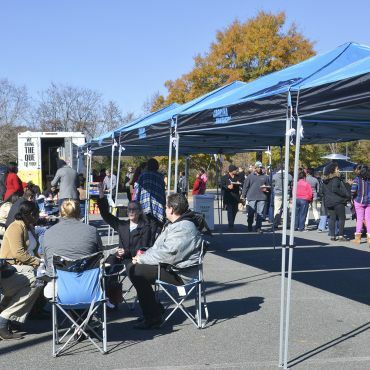 For more information, please call Cave Dwellers at (704) 588-8830.